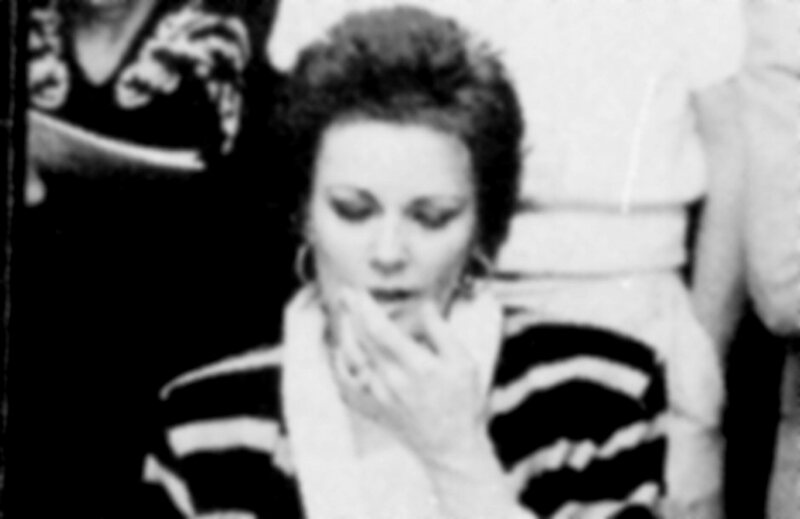 Already at the beginning of 1983 Frida started thinking about next album. 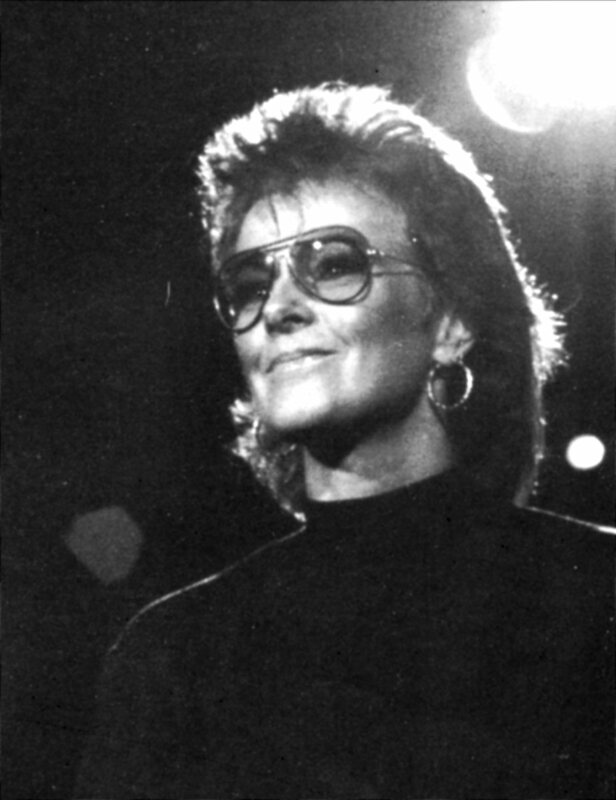 It was thought that Phil Collins would produce it as well. 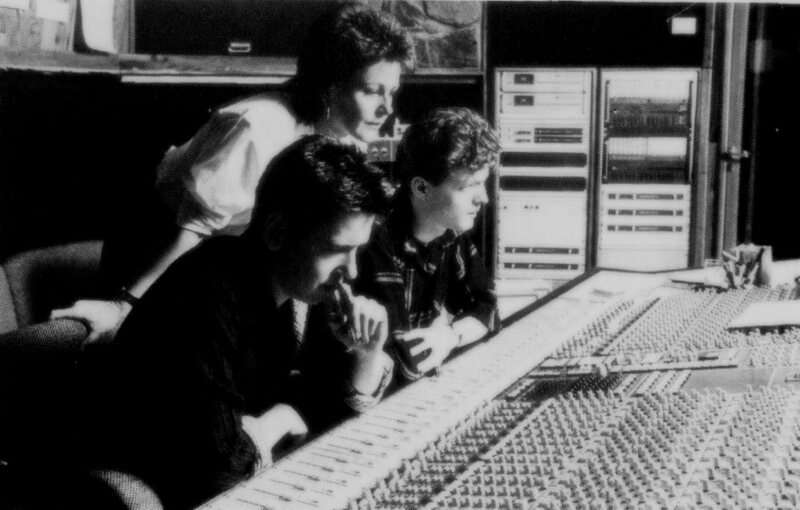 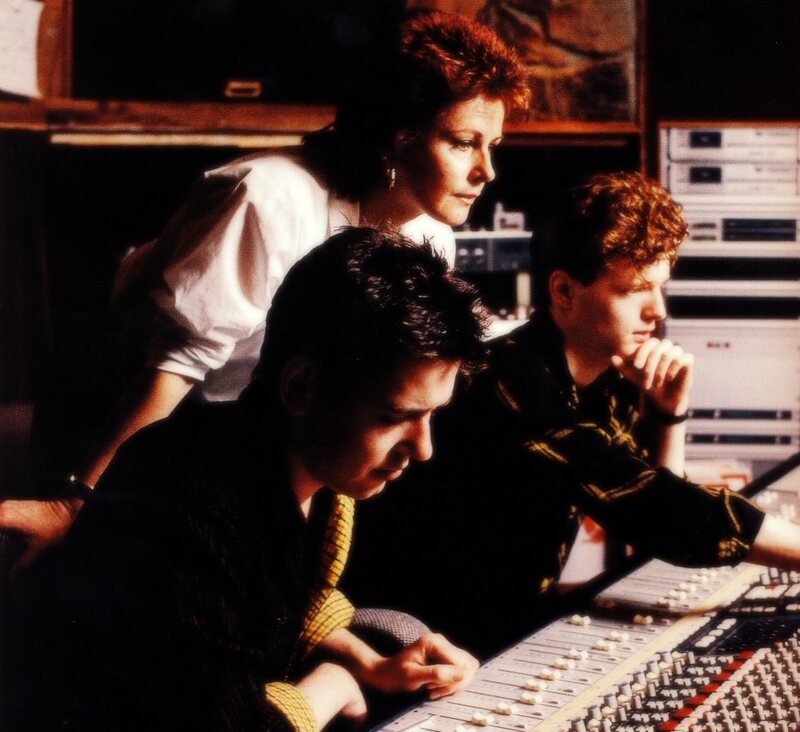 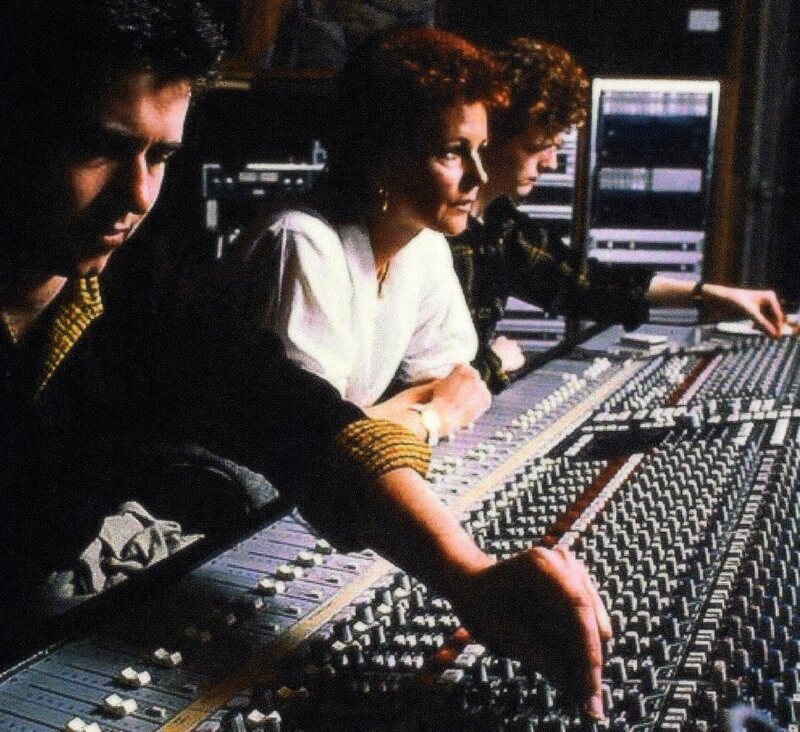 She wrote some songs by herself and recorded demos in Polar Studios but the real recording sessions started one more later in February 1984 in Paris. 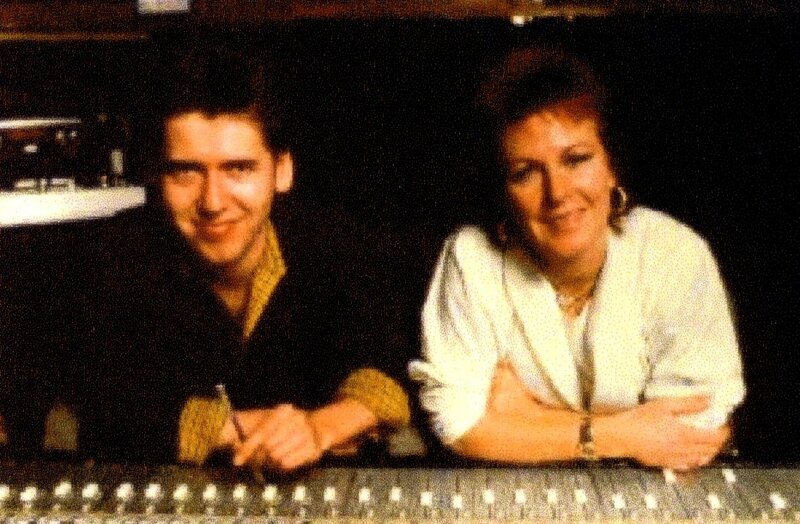 In the spring 1984 Frida recorded her new album in Paris with a new producer Steve Lillywhite. 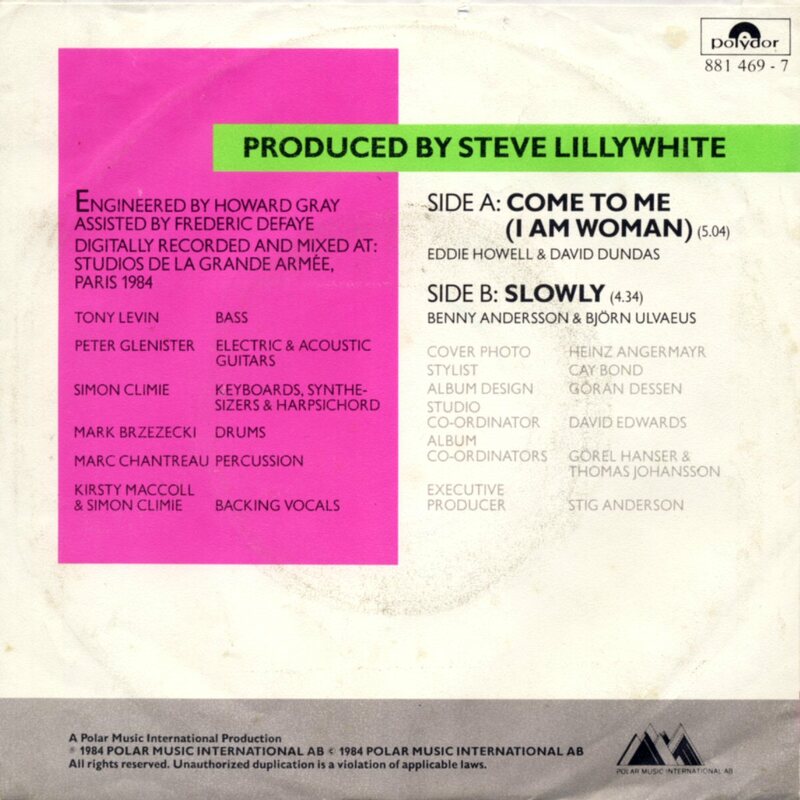 Lillywhite was mostly associated to modern rock acts as Ultravox, Peter Gabriel, U2, Simple Minds and Big Country - the groups and artists who were popular at the beginning of the 1980s.
" 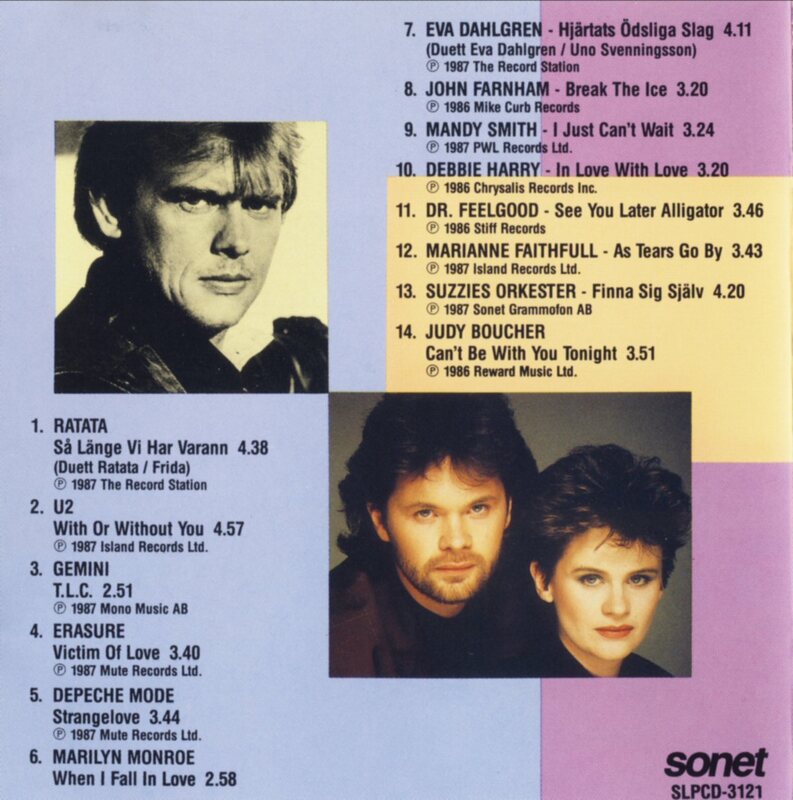 The song titles recorded so far are: "Twist In The Dark", "Come To Me", "One Little Lie", "The Face", "Heart of the Country", "I'm One of God's Children" (unreleased), "Can't Be Serious" (unreleased), "Don't Do It", "Slowly", "That's Tough", "When Love Turns to Lies" (unreleased) and "Comfort Me". 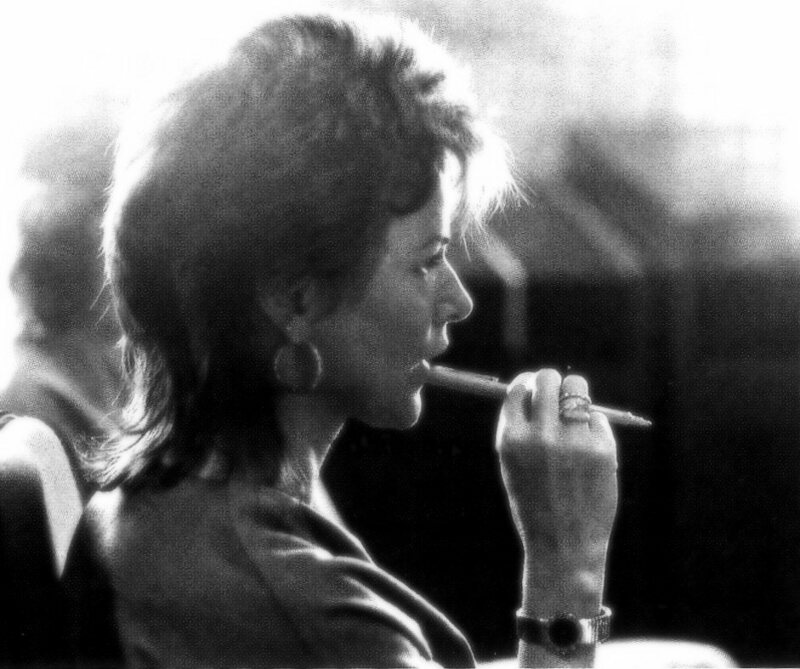 Frida is back in the studio right now laying down two "rockier" tracks (there are six ballads in the above list) and a selection will then be made for the album. /.../"
Frida gave a longer interview for SVT in April. 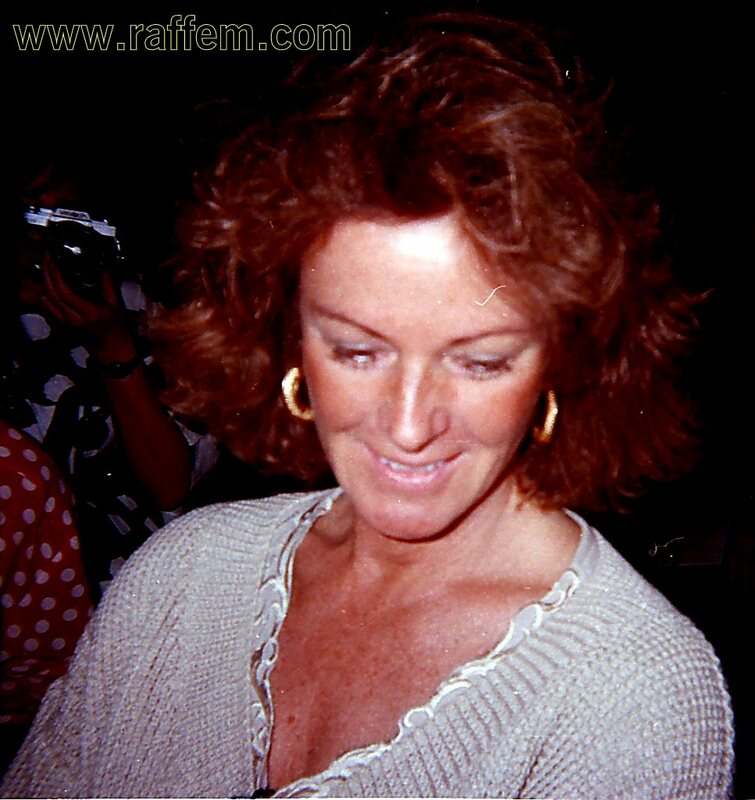 She was talking about the forthcoming album and a possible future for ABBA. 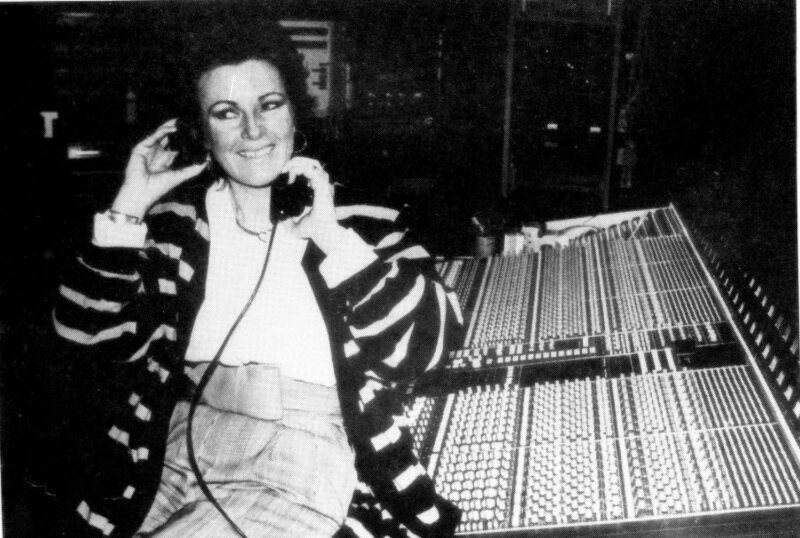 She was ready to record one more album with the group, as she said in the interview. 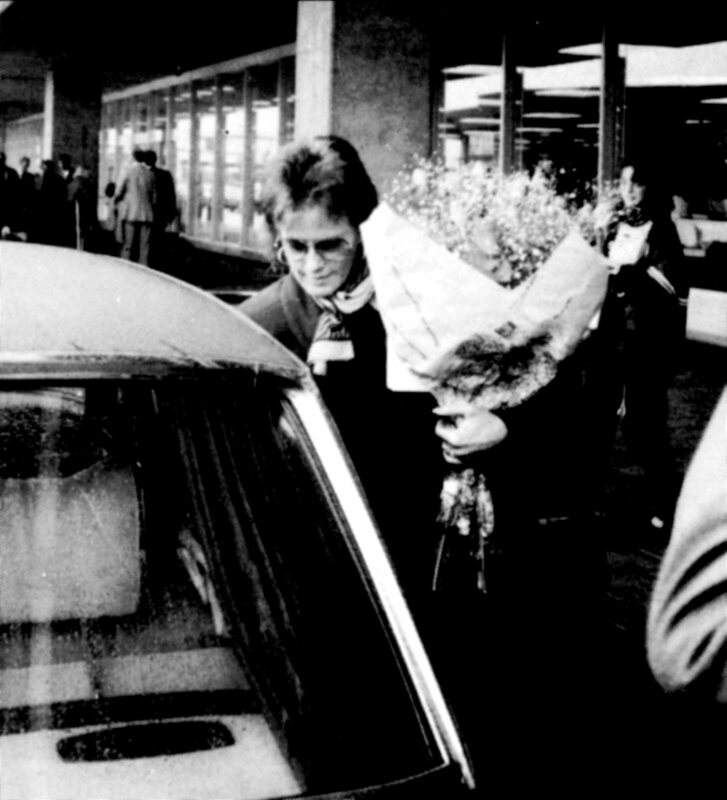 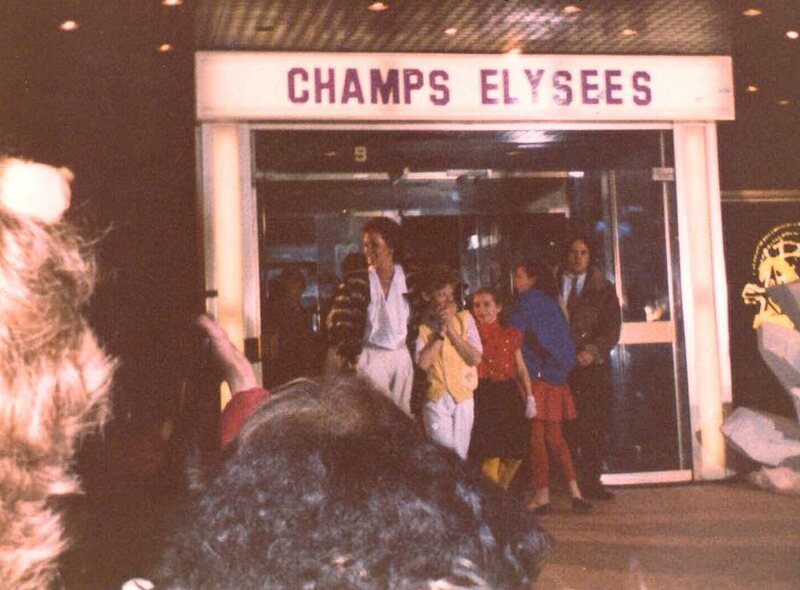 On April 7th, 1984 Frida, Björn and Benny arrived in Paris. 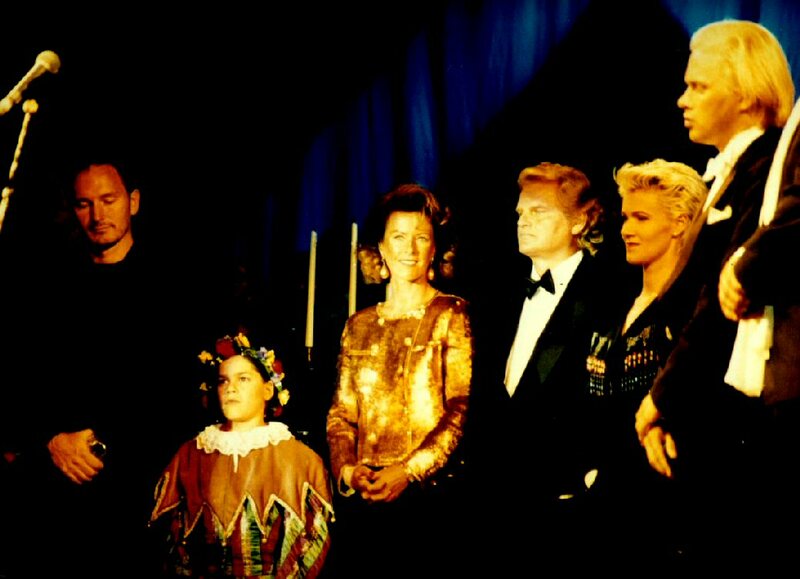 They appeared on French TV and promoted their solo projects - Frida the musical ABBAcadabra, Björn & Benny the musical Chess. 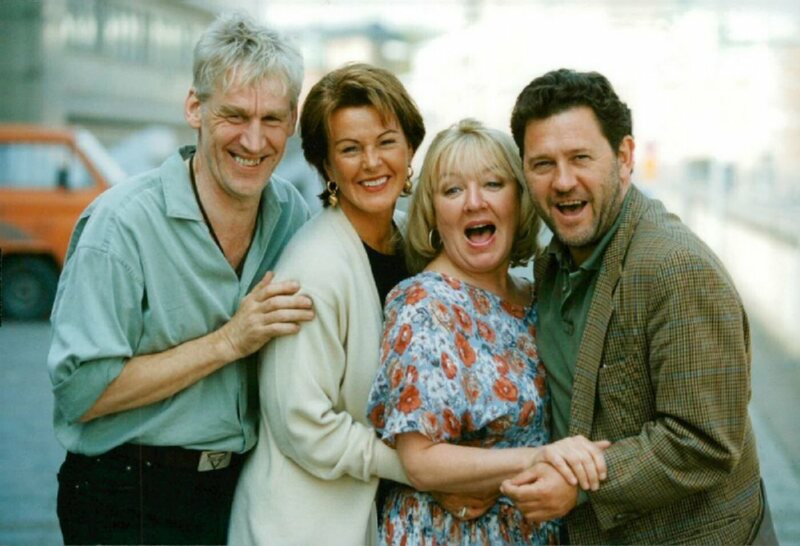 Even the ABBAcadabra cast performed two songs from the musical: Fernando and Waterloo in French language versions. 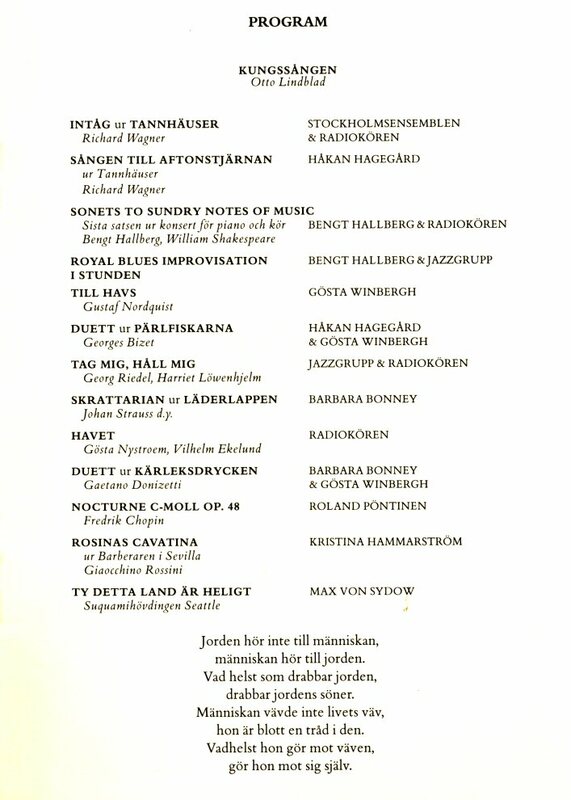 Frida performed "I Have A Dream" and "I Know There's Something Going On" on the United Nations Gala at the end of May. 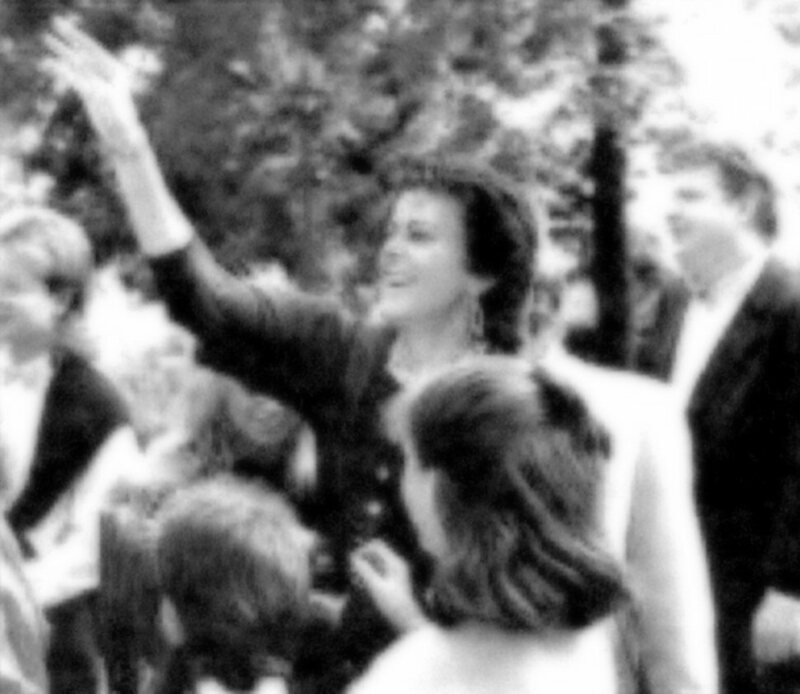 She sang live together with a children choir. 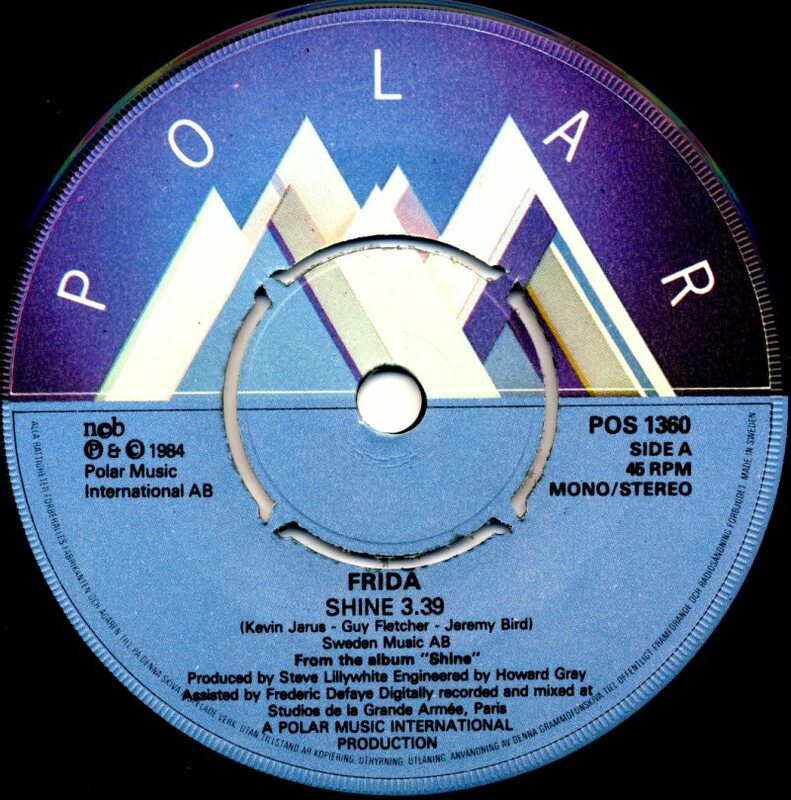 The first single from the forthcoming new album was the title song: "Shine" and it was released in early autumn of 1984. 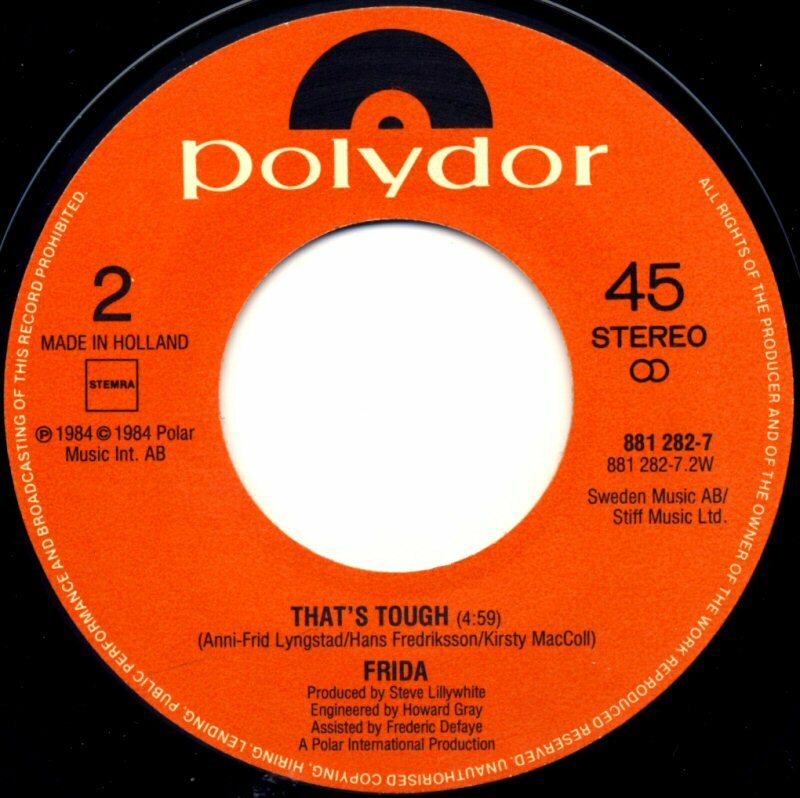 It contained Frida's composition "That's Tough" on the B-side, a song which was not included on the album. 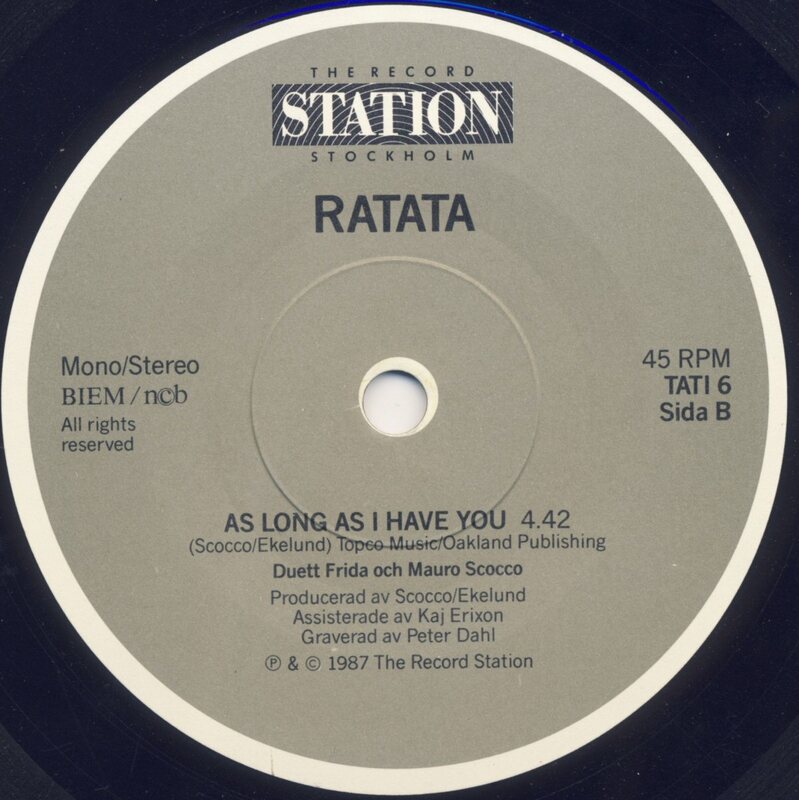 The single was released in Sweden as both 7" and 12". 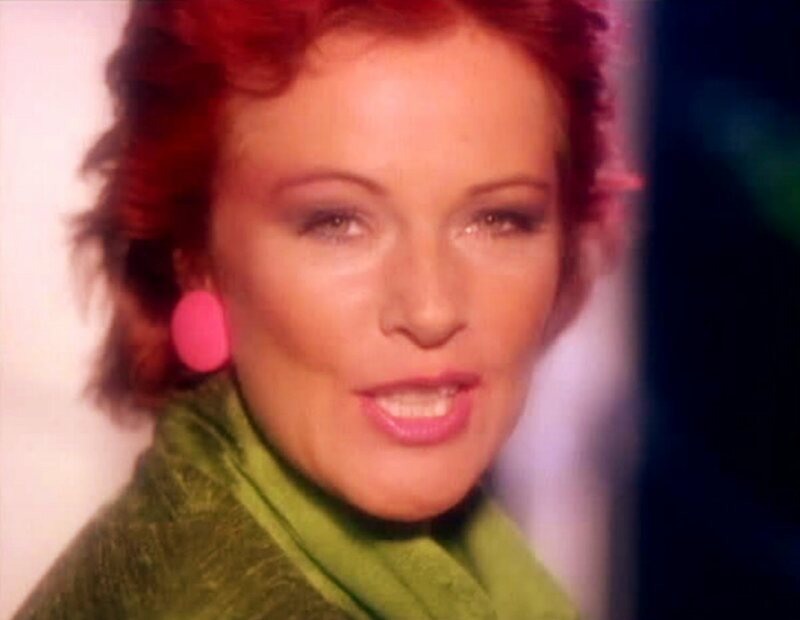 In Sweden "Shine" entered the chart on August 31st, 1984 and stayed there for 10 weeks reaching #6. 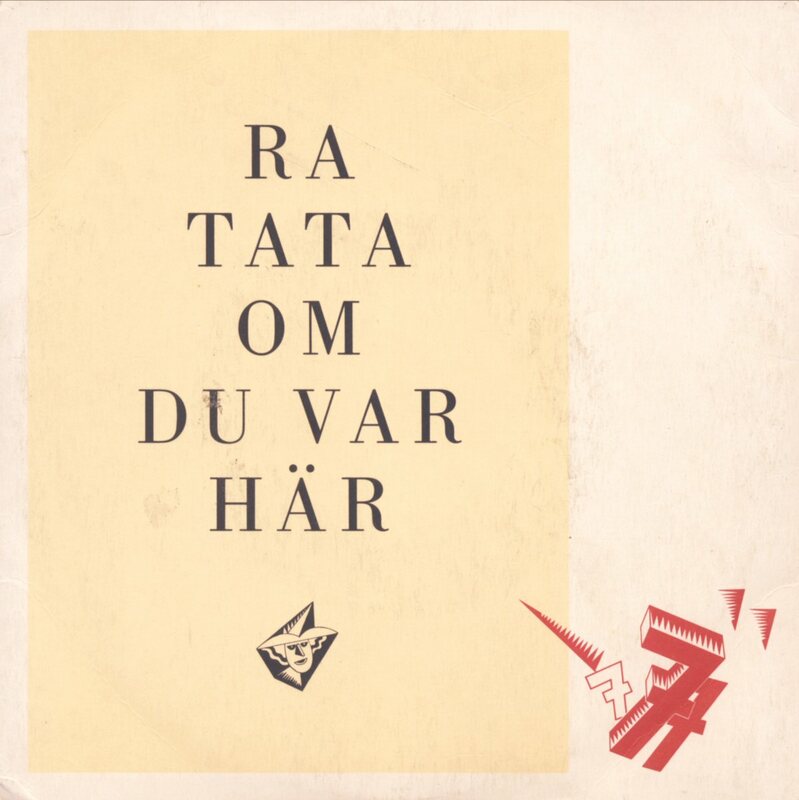 Polar in Sweden released maxi single "Shine" in white vinyl. 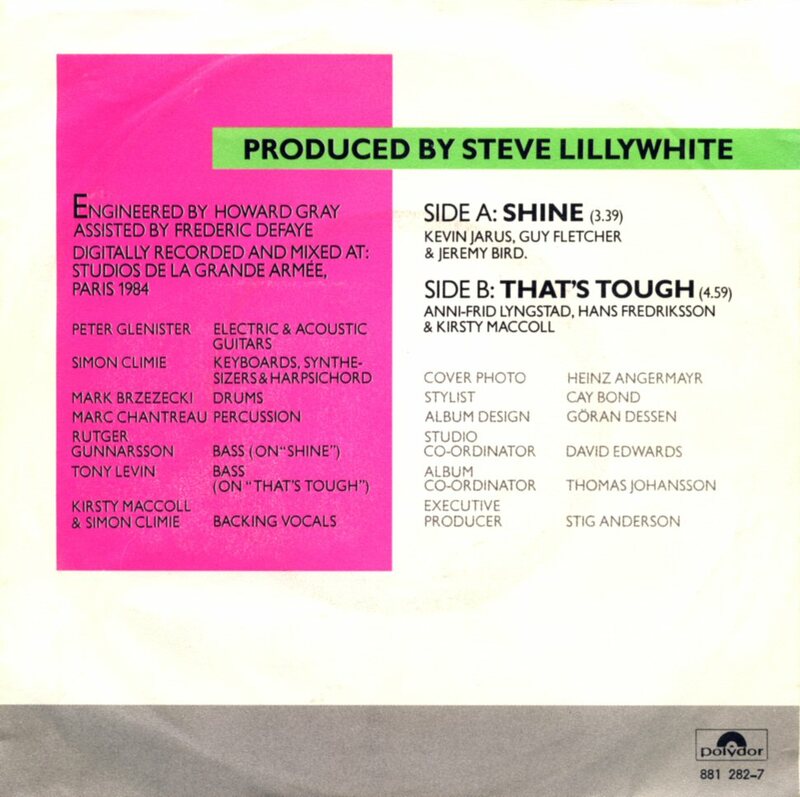 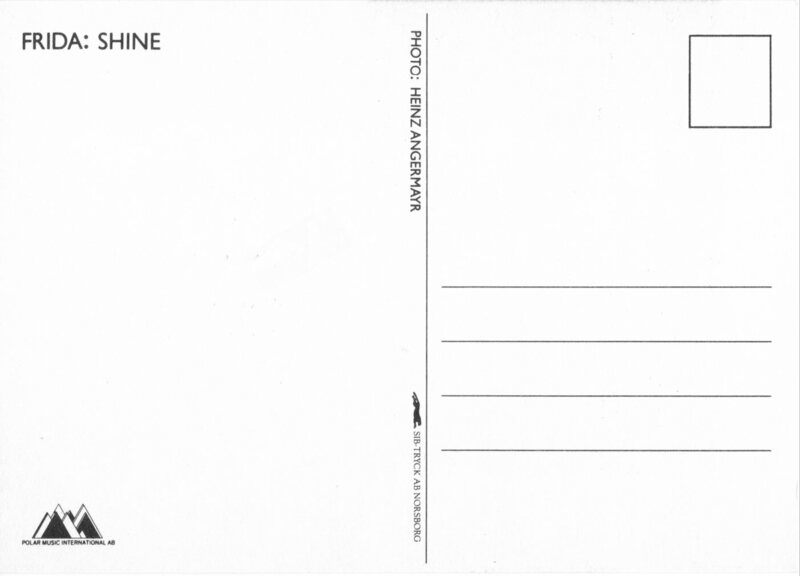 Side A featured a maxi version of Shine with length of 6.27 - the same mix was released in all European maxi singles.. 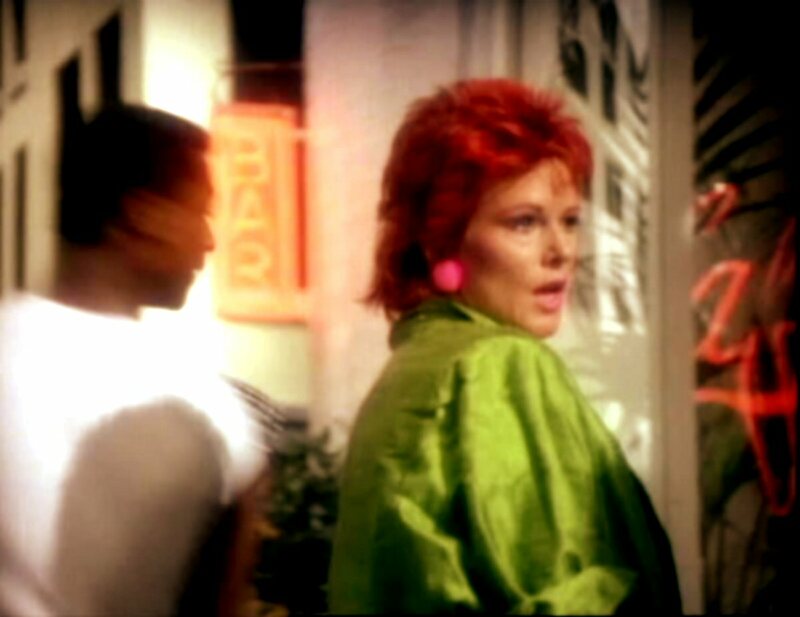 In the UK "Shine" stayed on the chart for 3 weeks reaching #82 in September 84. 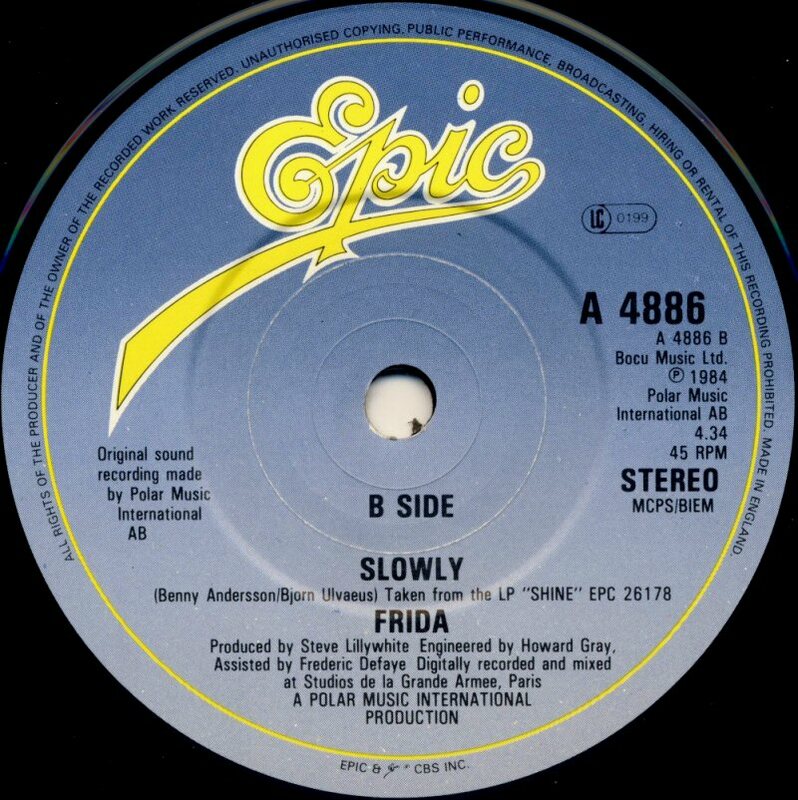 Even in the UK Epic released the single as 7" and as 12". 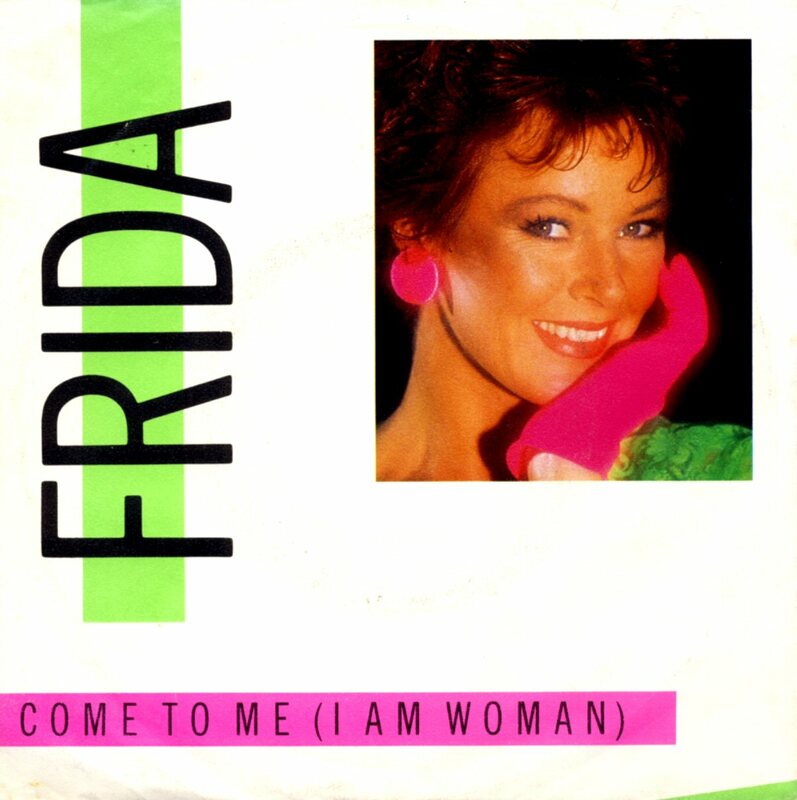 In West Germany the single entered the chart on September 2nd, 1984 and stayed there for 4 weeks peaking at #51. 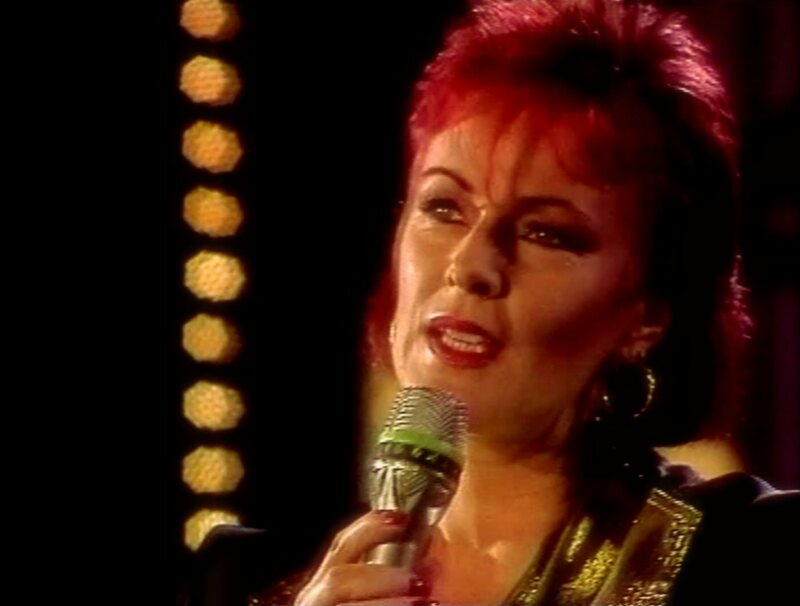 In Belgium "Shine" stayed on the chart for 6 weeks peaking at #9 and in Holland for 4 weeks peaking at #19. 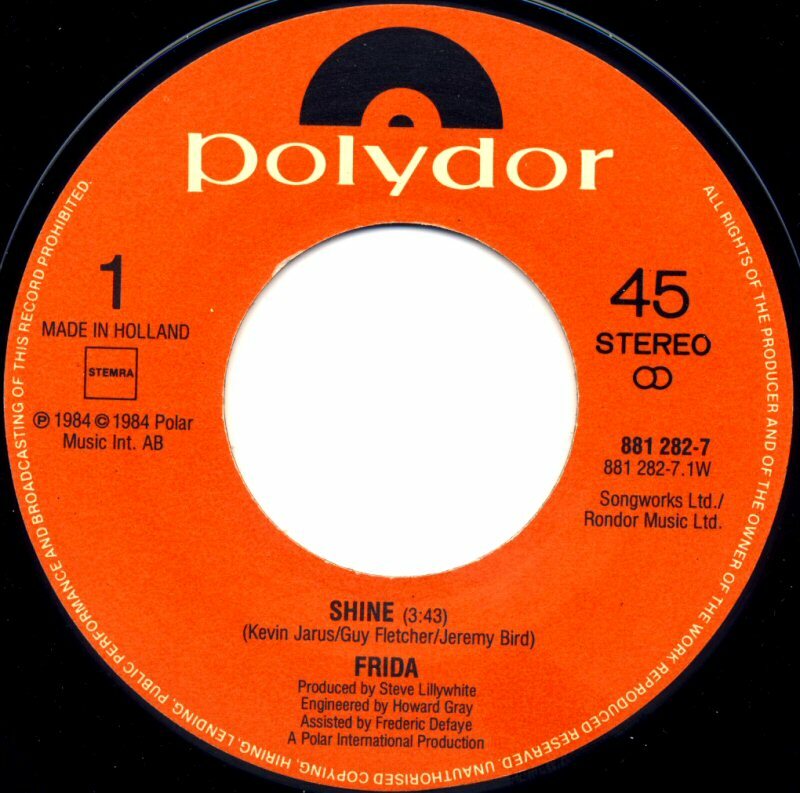 In Poland "Shine" entered the chart on October 13th, 1984 and stayed there for 6 weeks reaching #17. 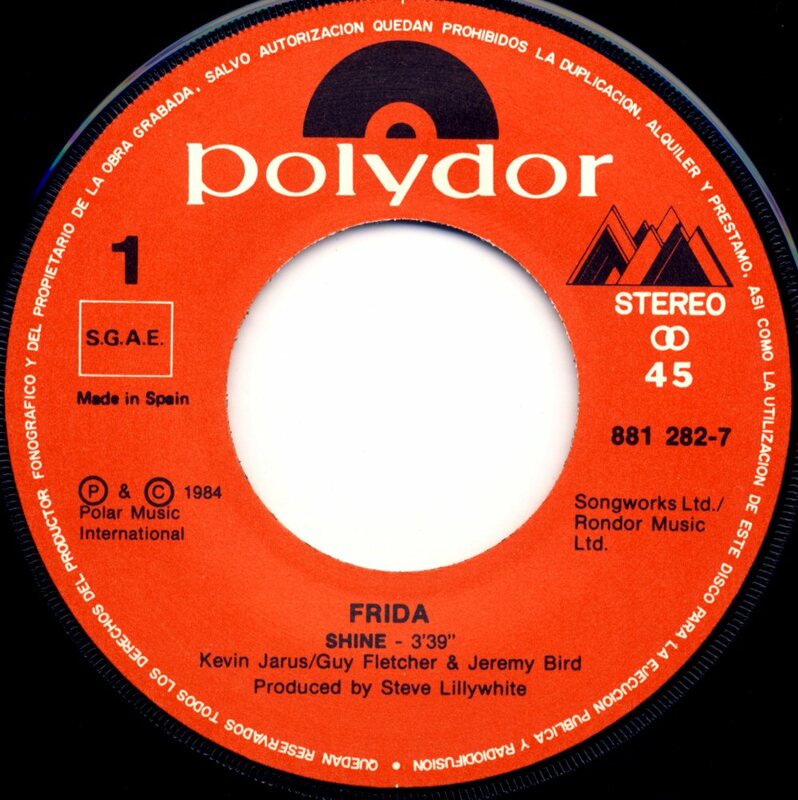 In Spain "Shine" was renamed to "Brilla" on the front cover of the single. 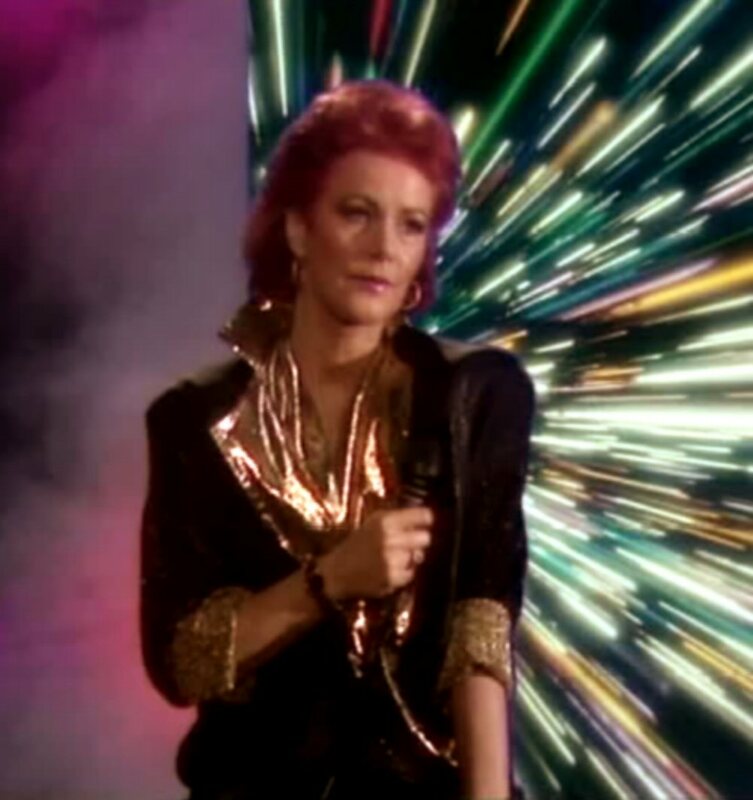 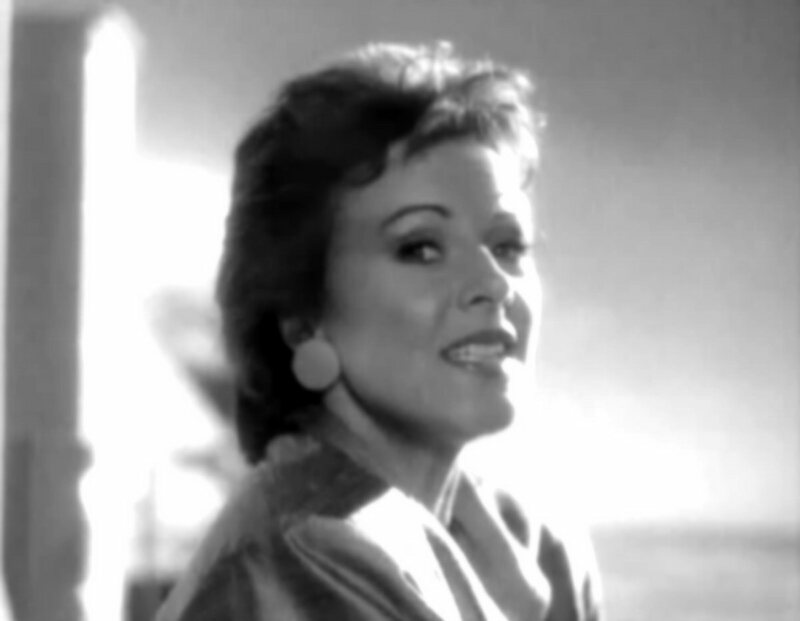 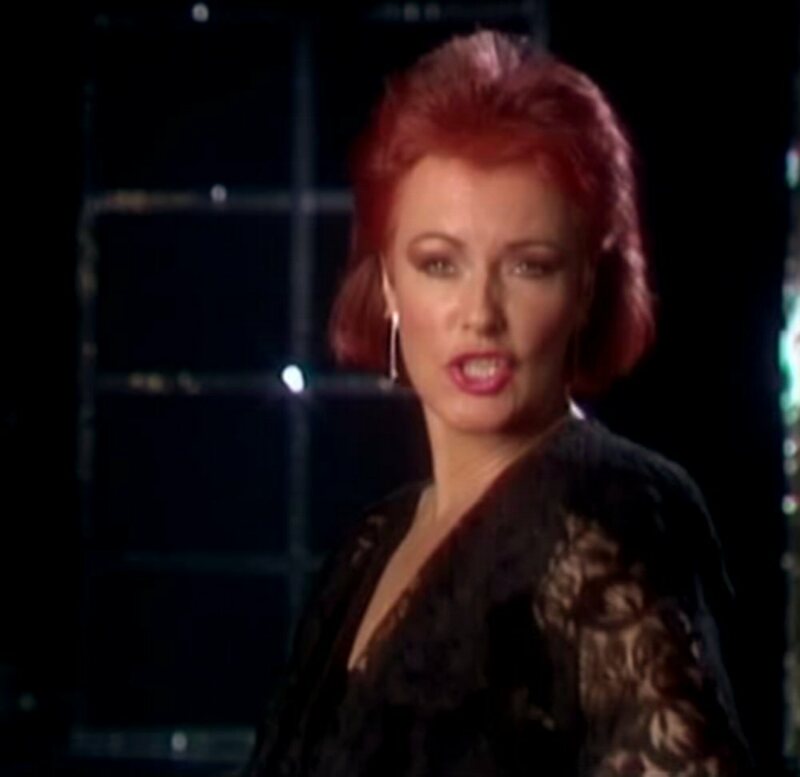 Frida filmed two official videos for the promotion of the album. 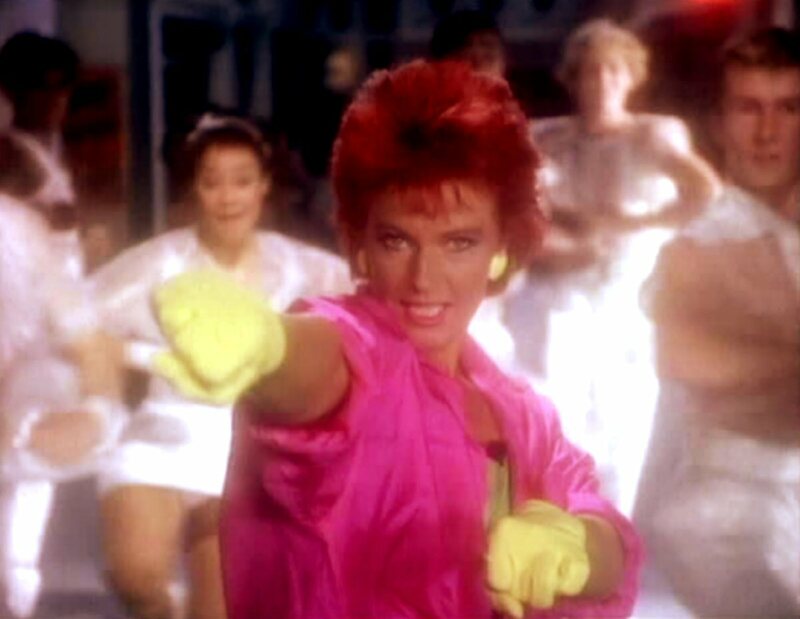 The videos were: "Shine" and "Twist in the Dark". 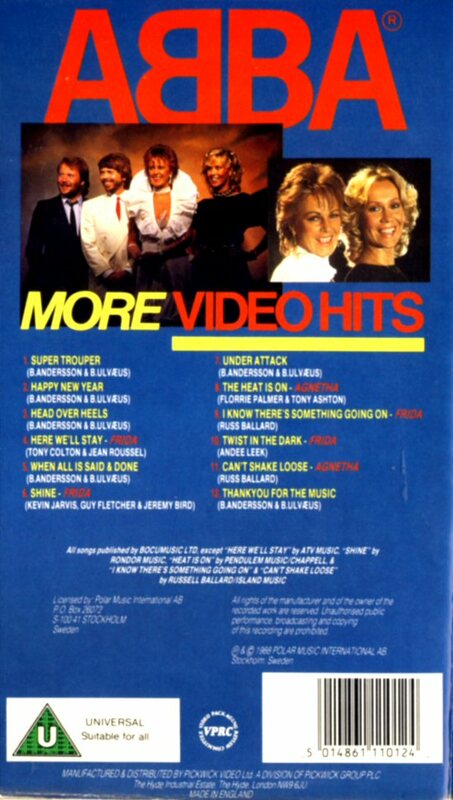 They were released in 1988 on the VHS "More ABBA Hits". 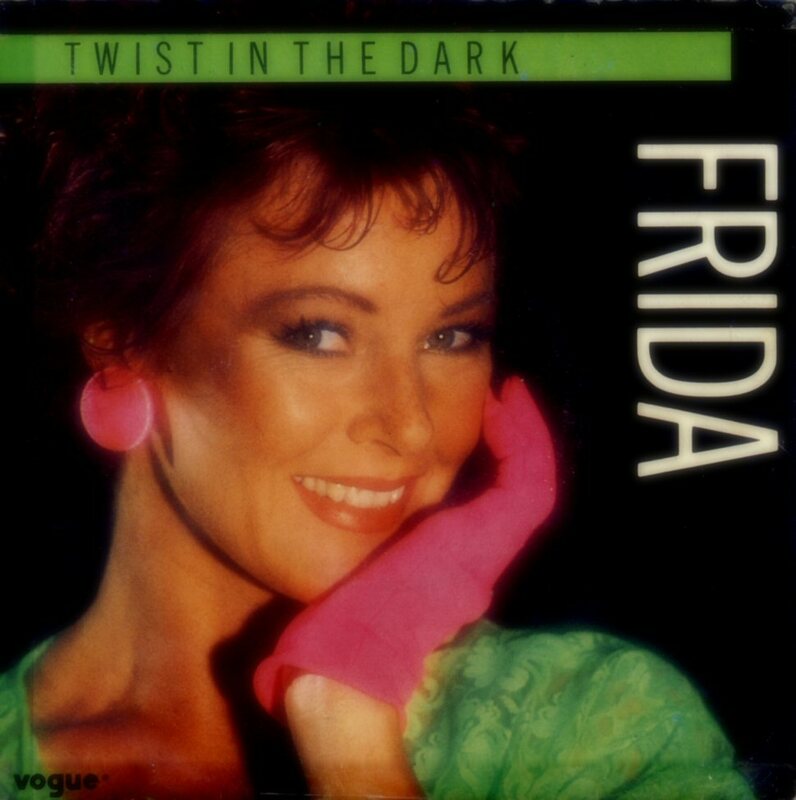 "Shine" is included on the 2005 Frida DVD but suprisingly not "Twist in the Dark". 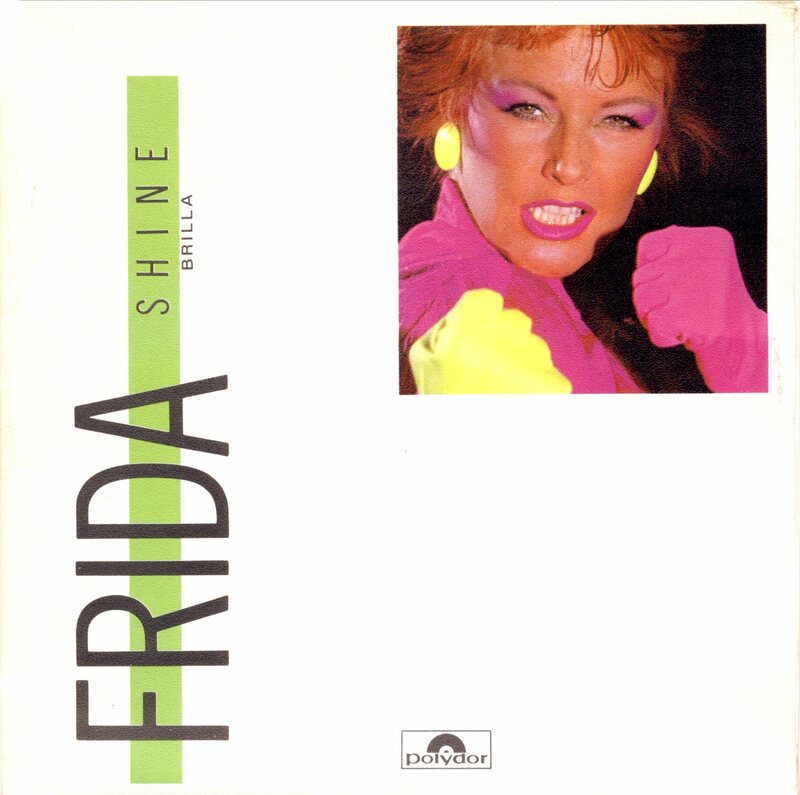 The album "Shine" was released in Sweden in September 1984. 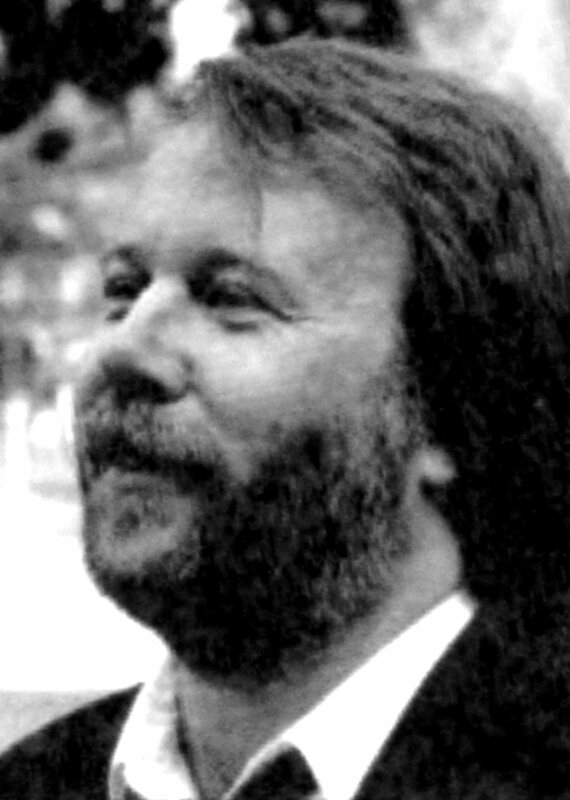 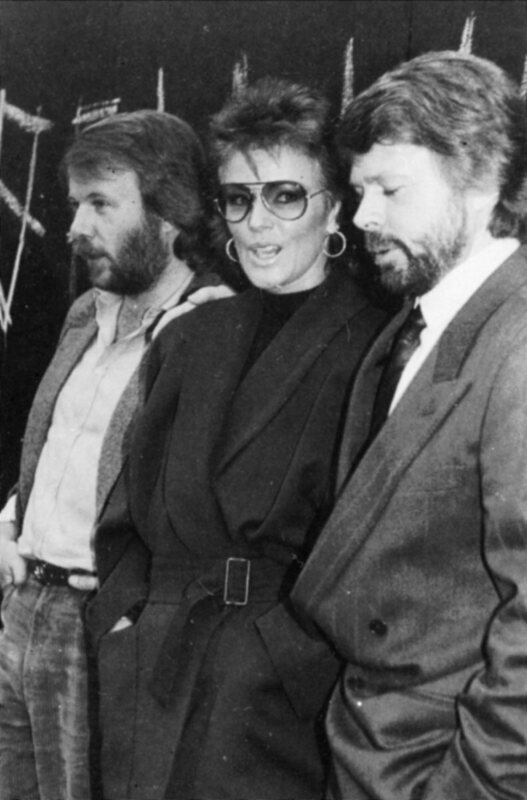 It contained 10 songs including two real rarities: the song "Slowly" written by Benny Andersson and Björn Ulvaeus as well as Frida's own composition "Don't Do It". 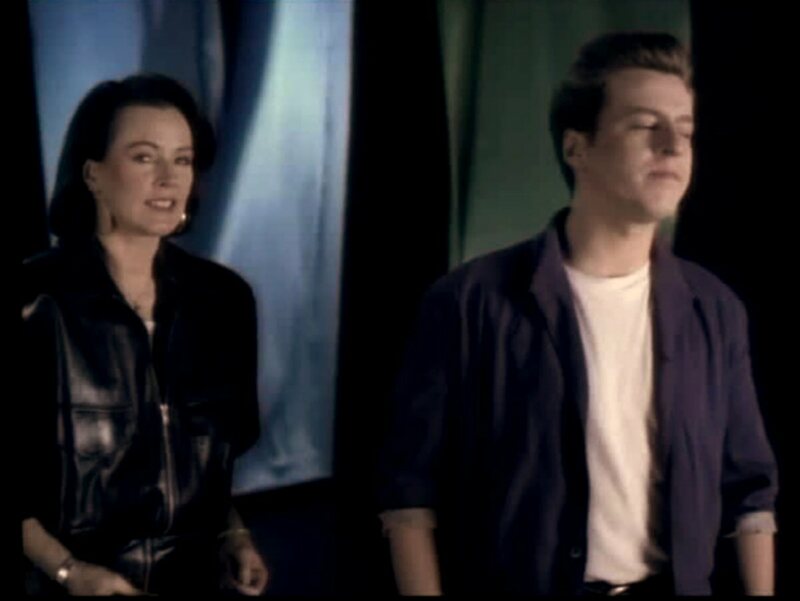 Even the French singer and composer Daniel Balavoine (who had performed together with Frida the ABBAcadabra duet "Belle" in 1983) contributed with one song "The Face". 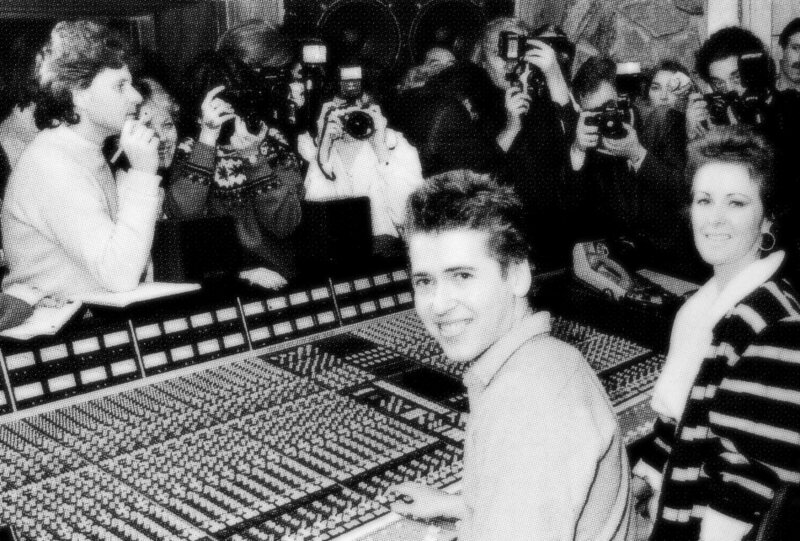 The album was produced by Steve Lillywhite and his studio musicians played almost all instruments. 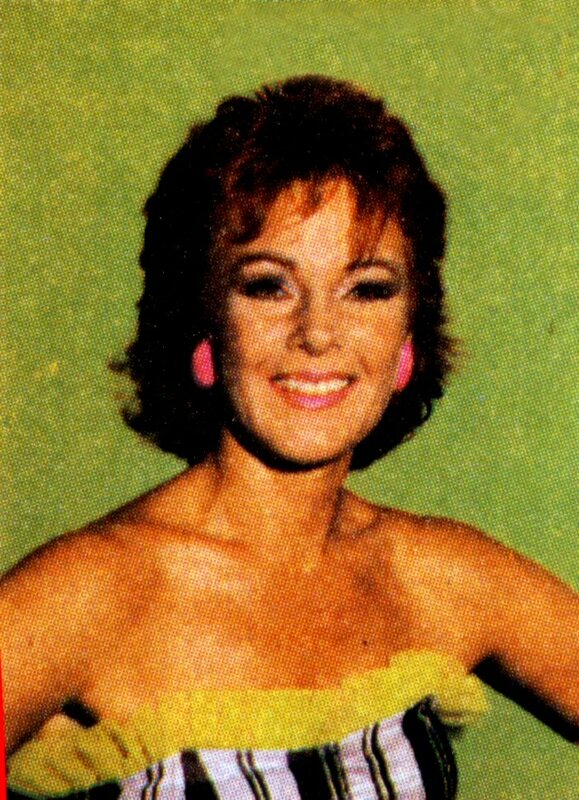 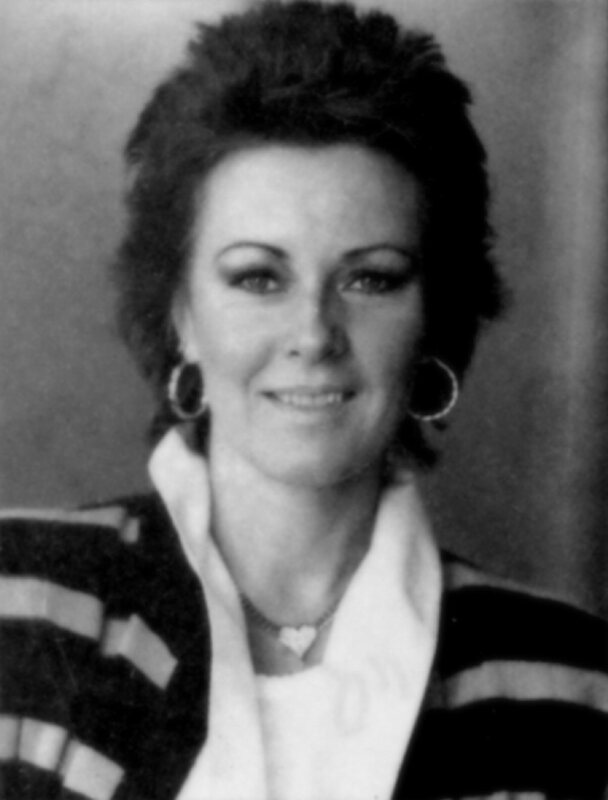 The only musician from the ABBA family was Ruger Gunnarsson who played bass on the title song and "Chemistry Tonight". 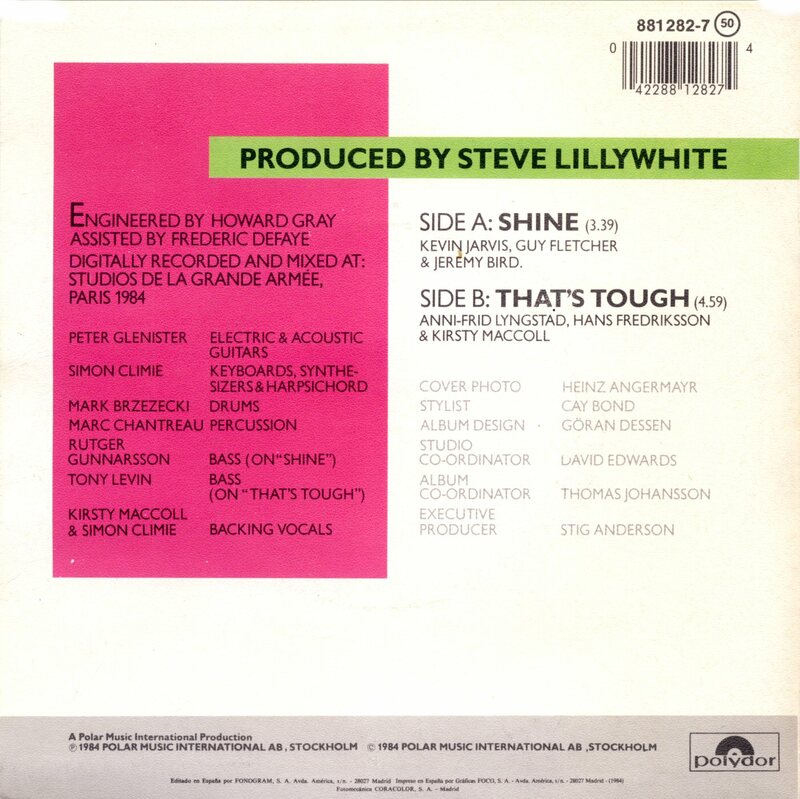 The album contained both modern up-tempo songs as "Shine" , "One Little Lie" and "Chemistry Tonight" and some beautiful ballads: "Come To Me", "Slowly", "Don't Do It" or "Comfort Me" which can be maybe called for "Shine's" "Like An Angel Passing Through My Room" - a very different song with a very special sound and interpretation which suits Frida very good. 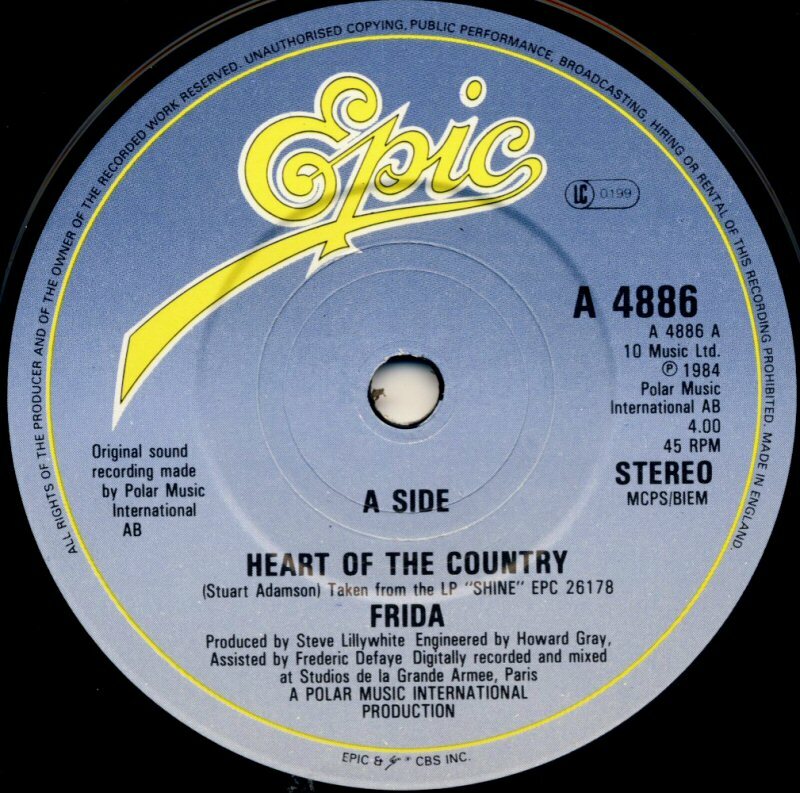 Two songs which are quite difficult to understand musically are "Twist in the Dark" and "Heart of the Country" - two interesting compositions but definitely wrong choice for single releases. 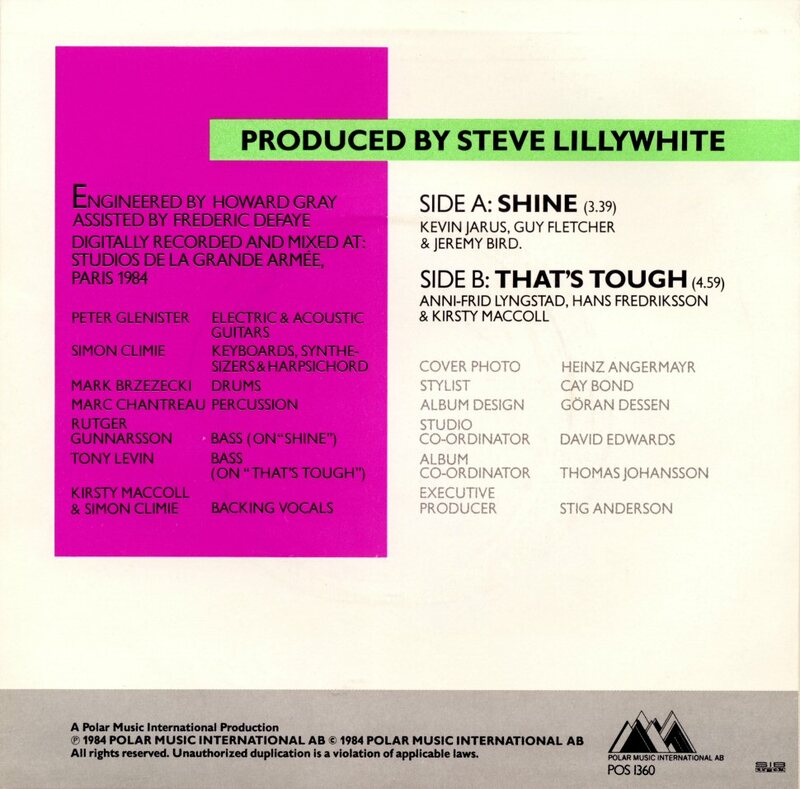 In Sweden the album "Shine" entered the chart on September 28th, 1984 and stayed there for 10 weeks peaking at #6. 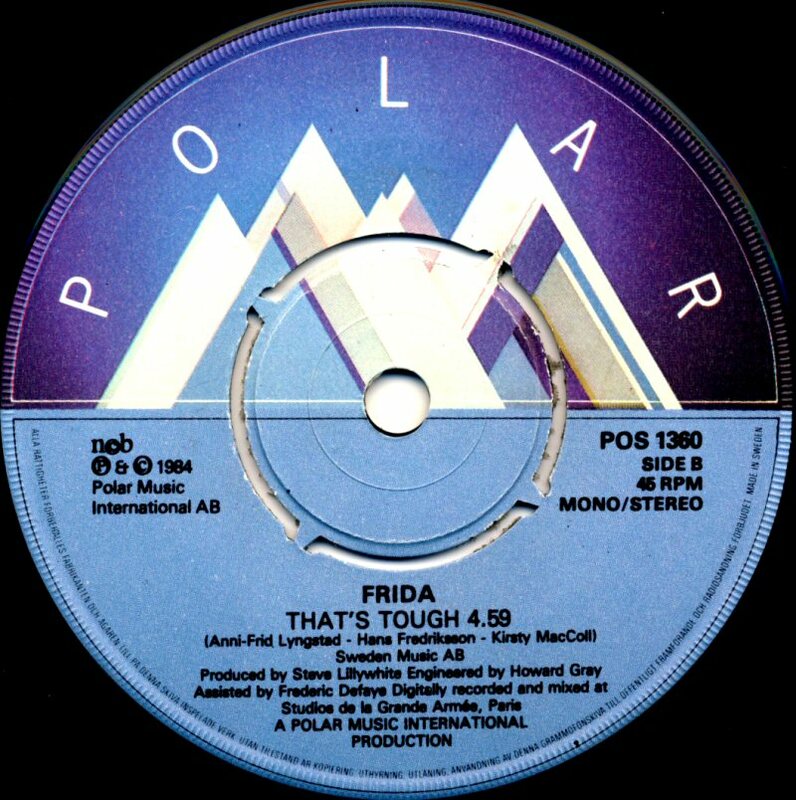 Frida made a big promotional work for the album but it was not shining on the charts anyway. 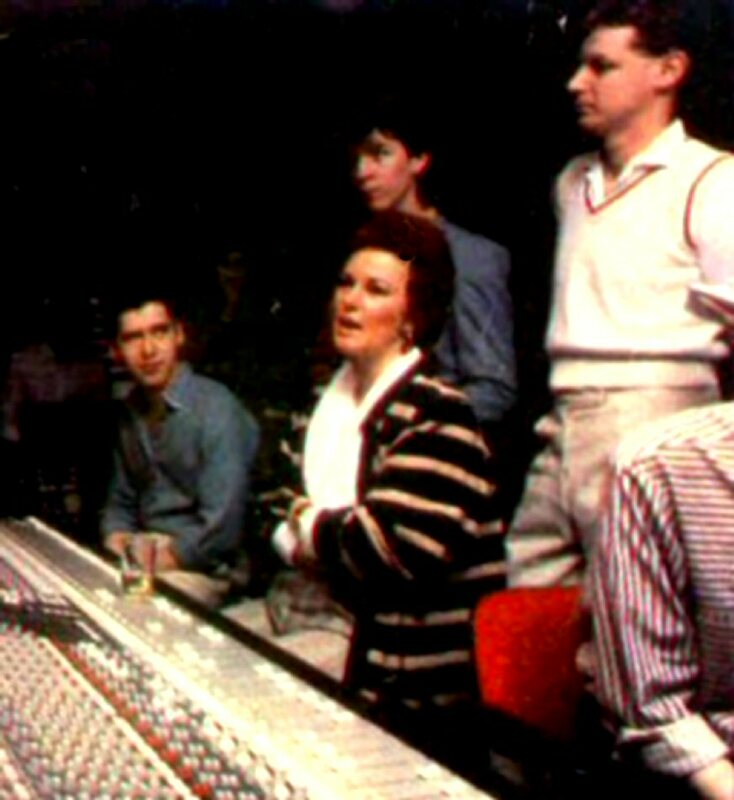 It appeared shortly on the British album chart (1 week) where it reached number 67. Very bad promotion work done by Frida's record company in Great Britain was probably the main reason to the flop. 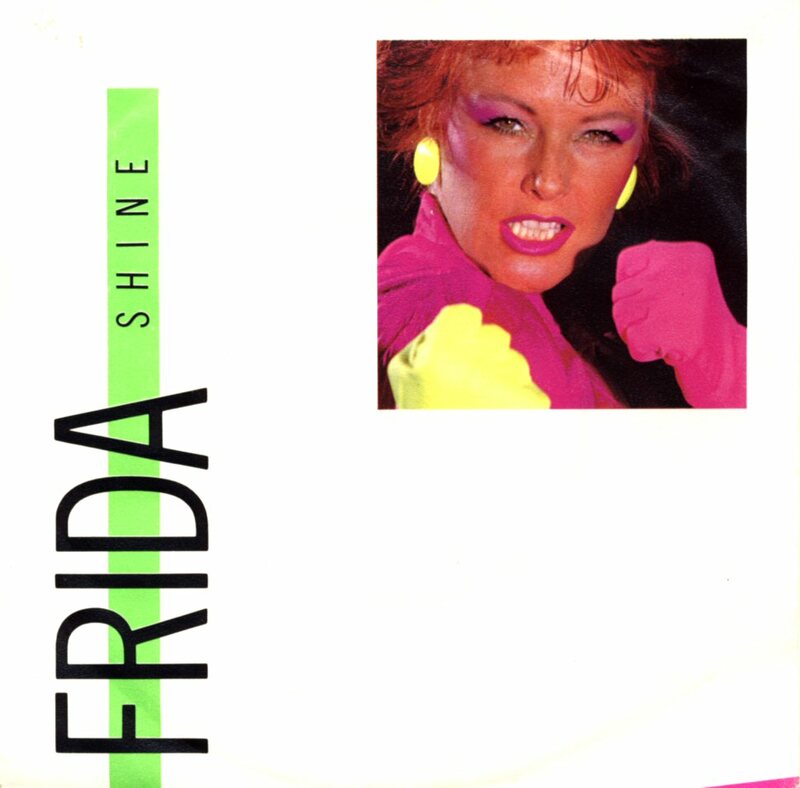 In France "Shine" entered the chart in October 1984 but it did not appear in the Top 75. 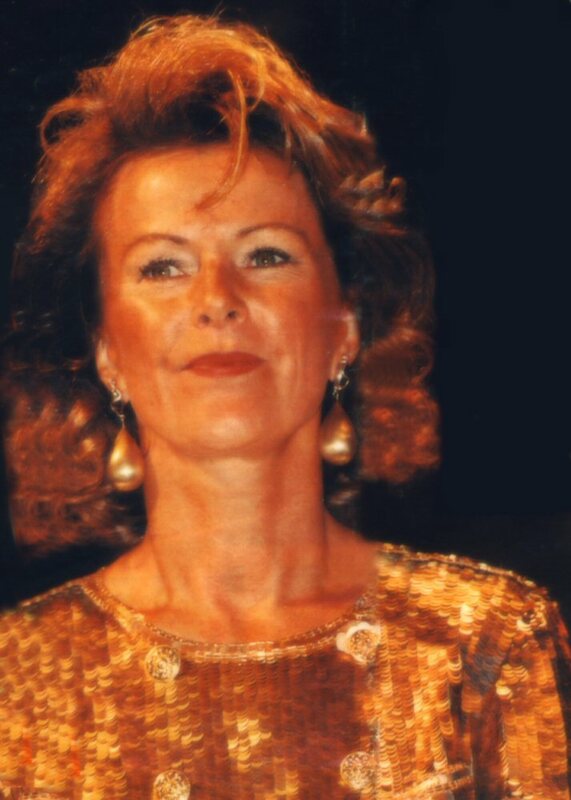 Comparing to other European countries "Shine" was very successful in the Netherlands . 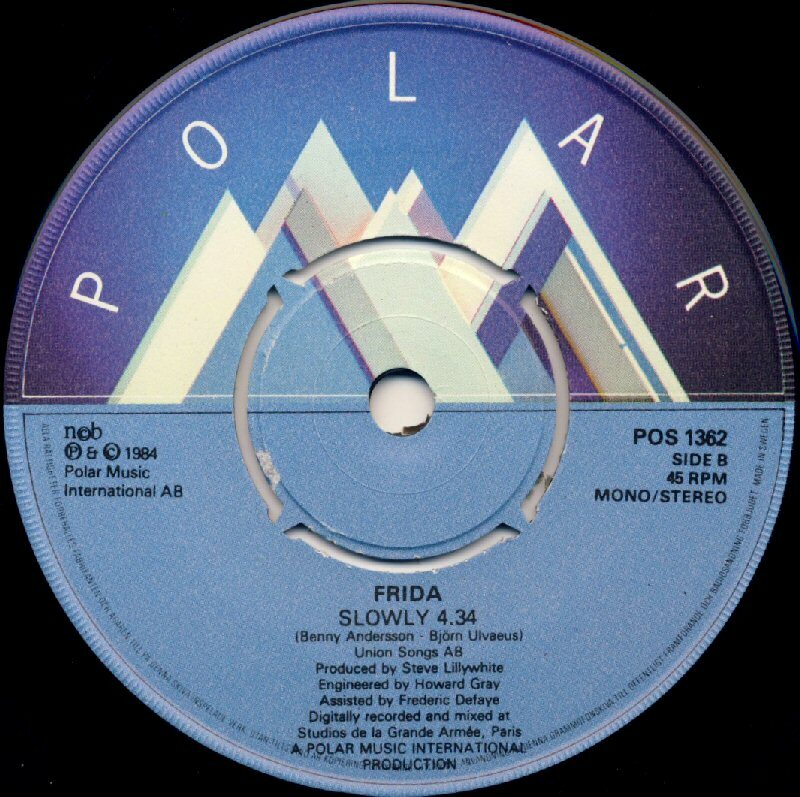 The album entered the chart on September 22nd, 1984 and stayed there for 7 weeks peaking at #18. 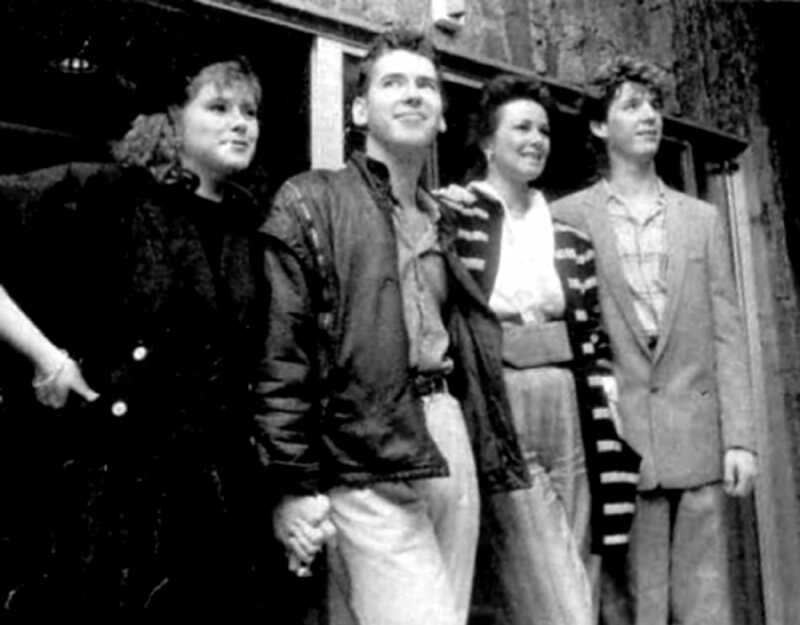 Lots of wonderful photos were taken during the photo sessions for "Shine". 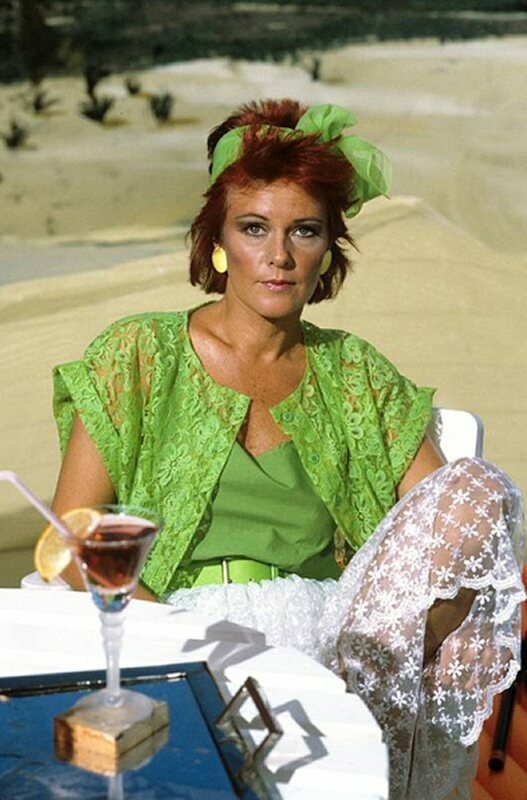 Frida wore various outfits with two dominating colours: green and purple. 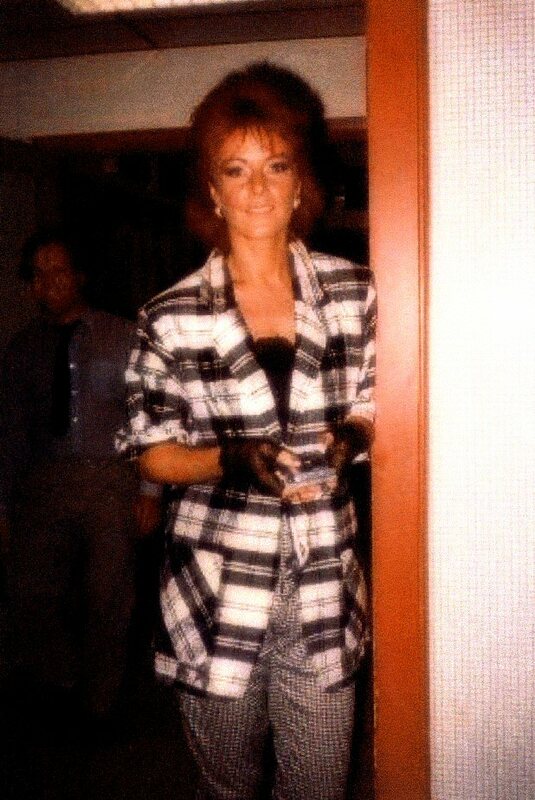 Frida came for promotion of her album "Shine" to Holland on August 30th and stayed there for 2 days meeting press and performing "Shine" in the TV show "Countdown". 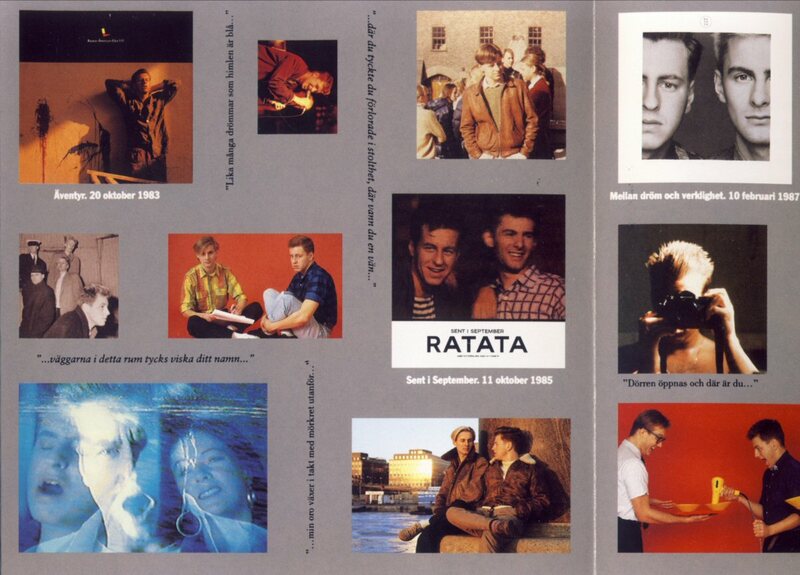 The international promotion of "Shine" started in Europe. 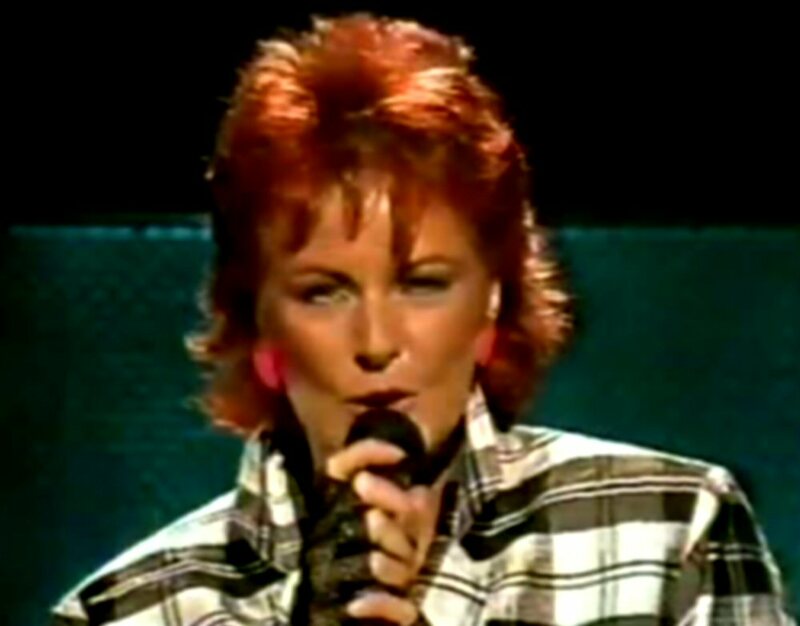 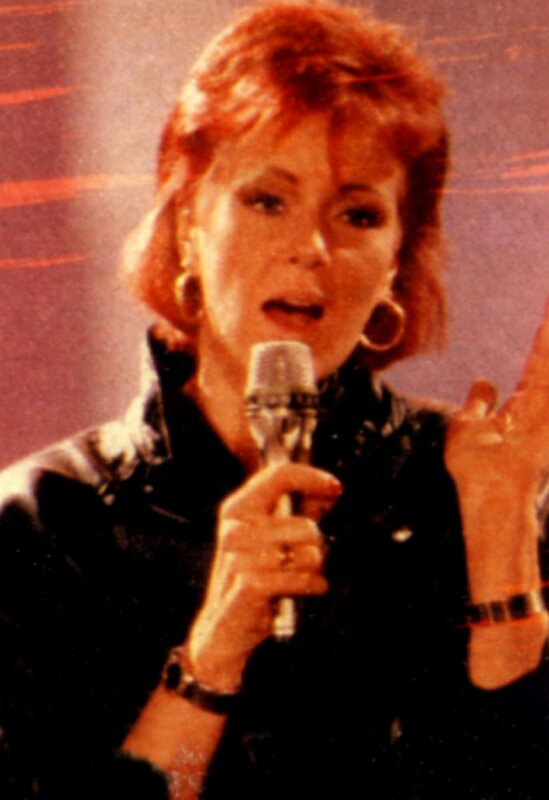 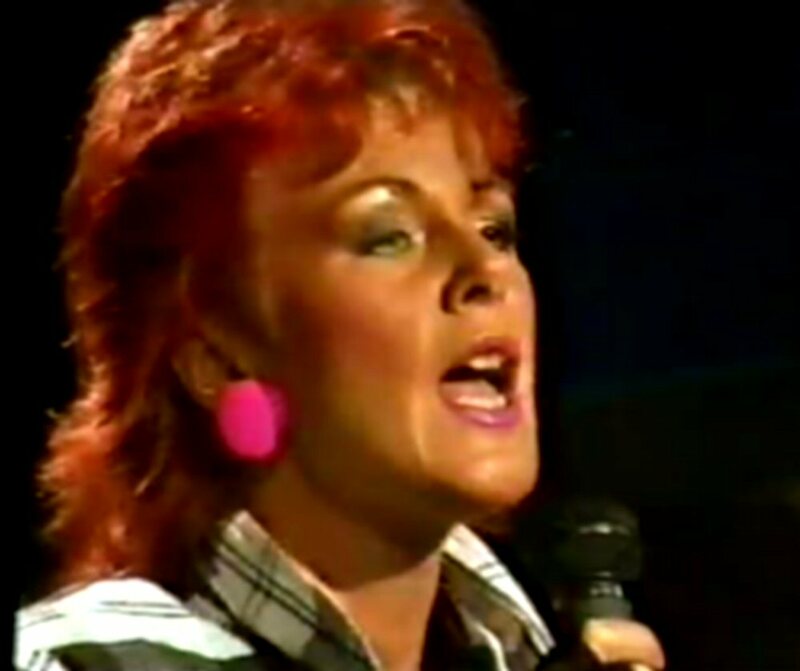 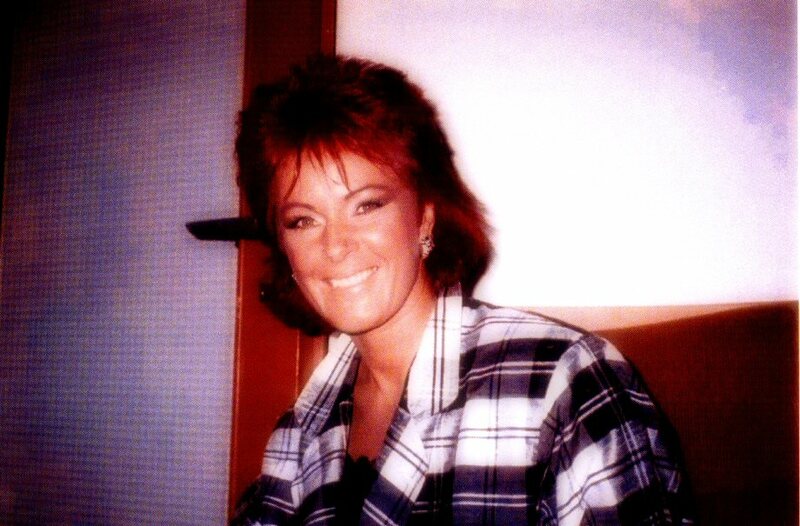 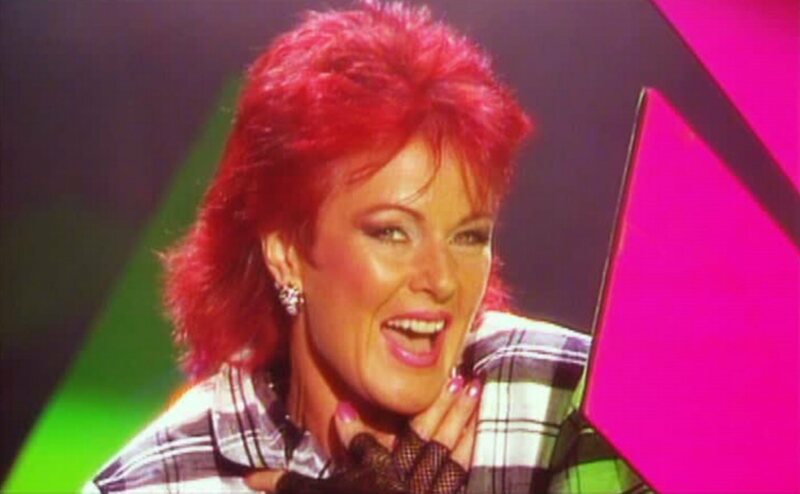 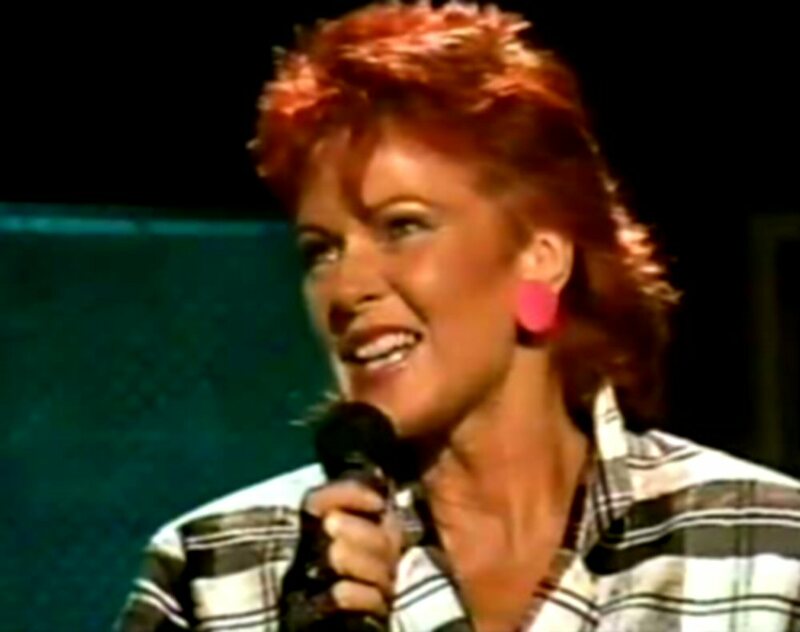 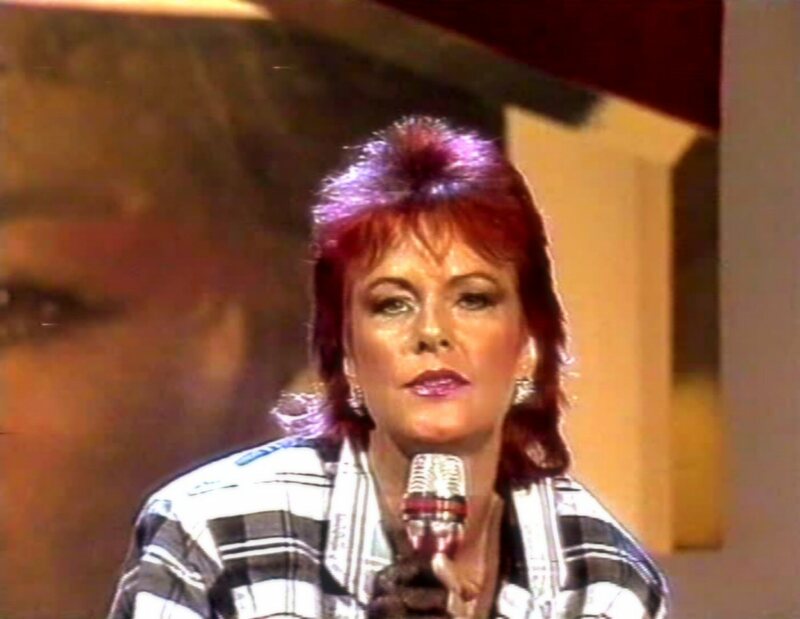 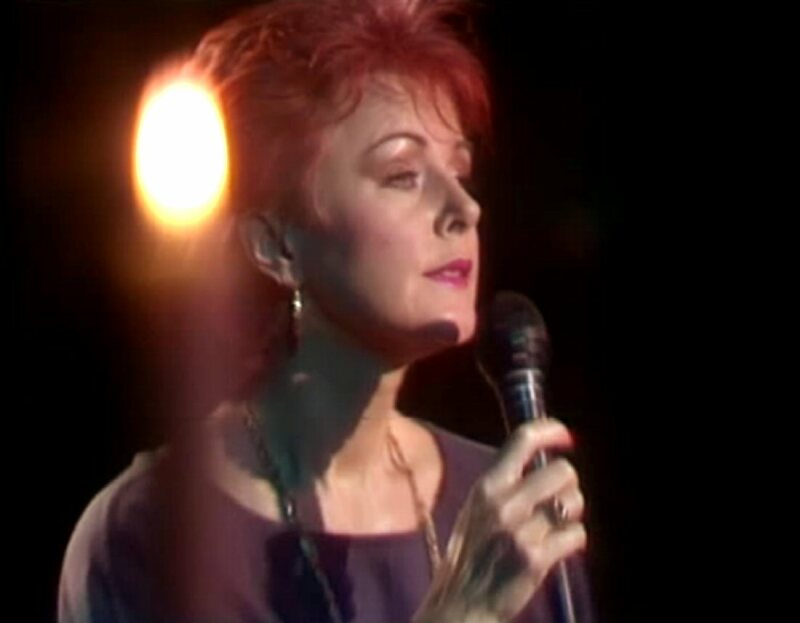 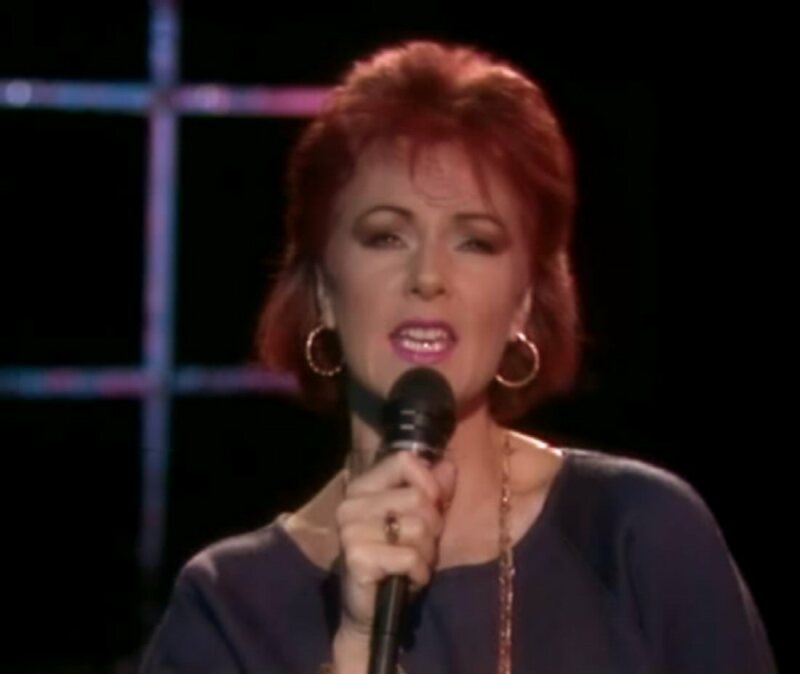 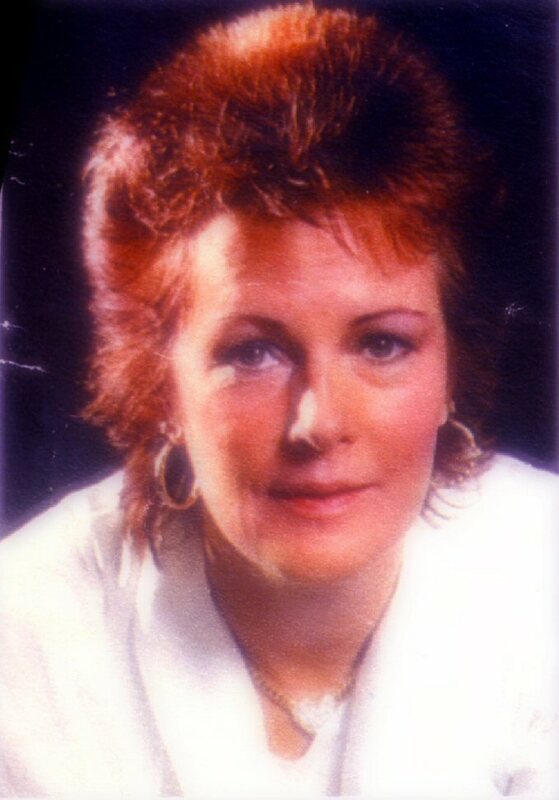 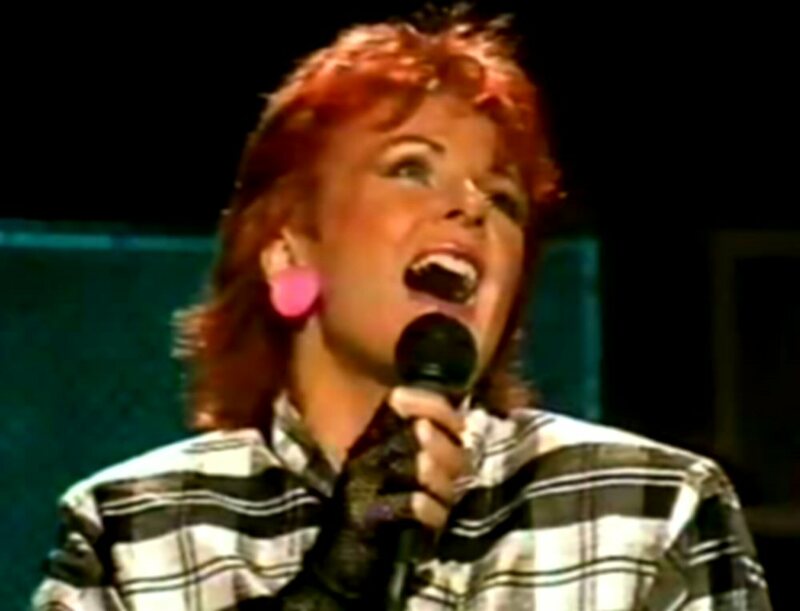 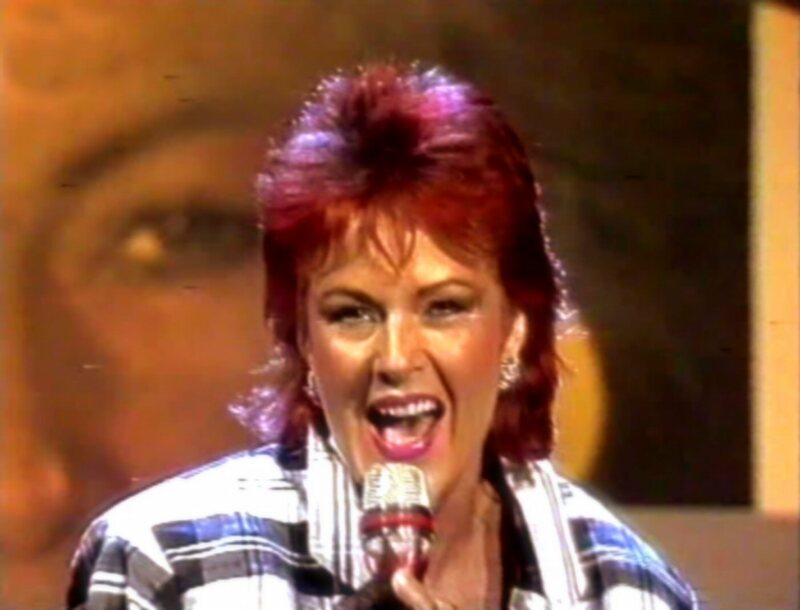 On September 20th, 1984 Frida appeared on TV was West Germany in the show "Musikladen" where she performed "Shine". 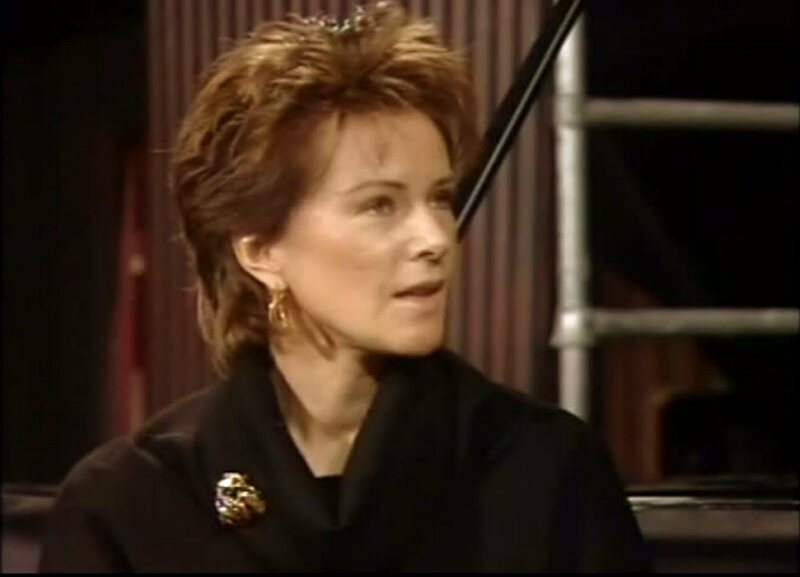 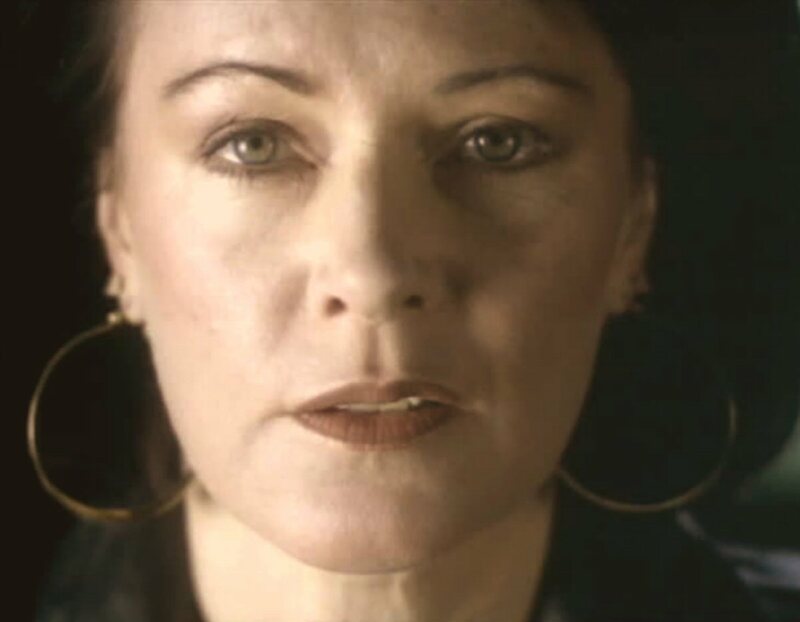 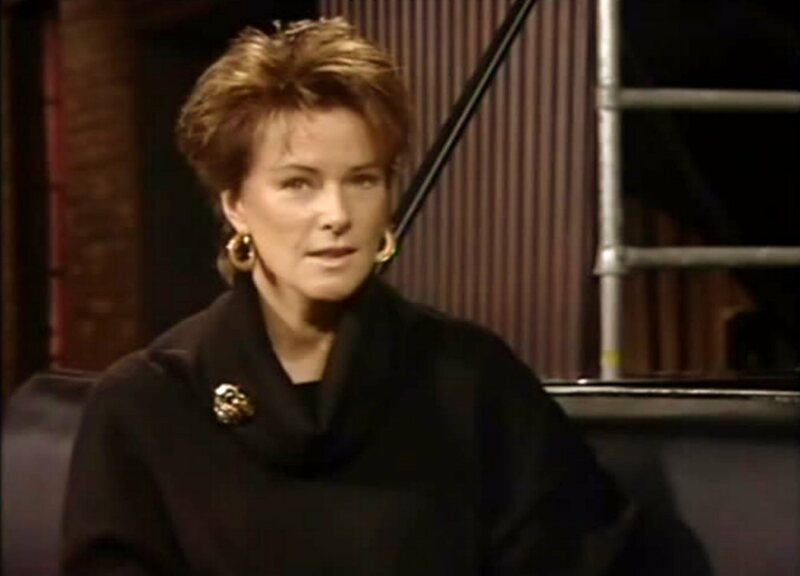 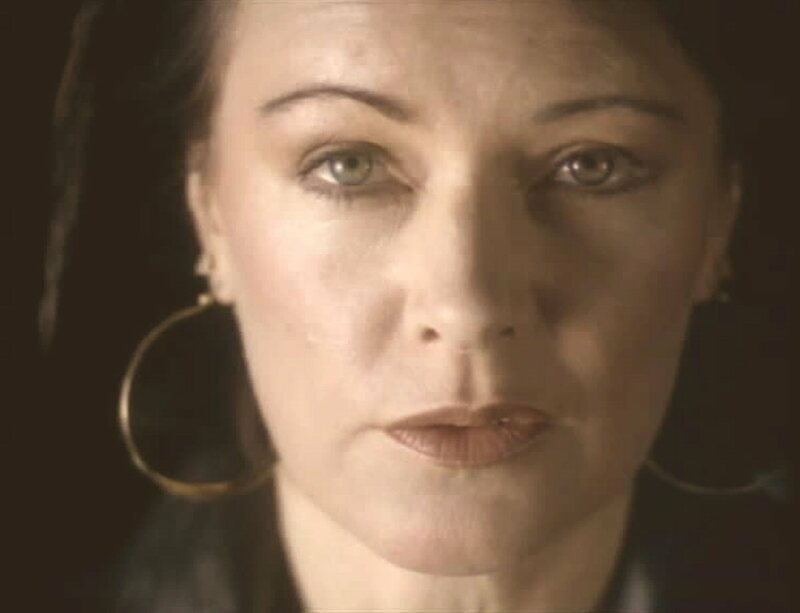 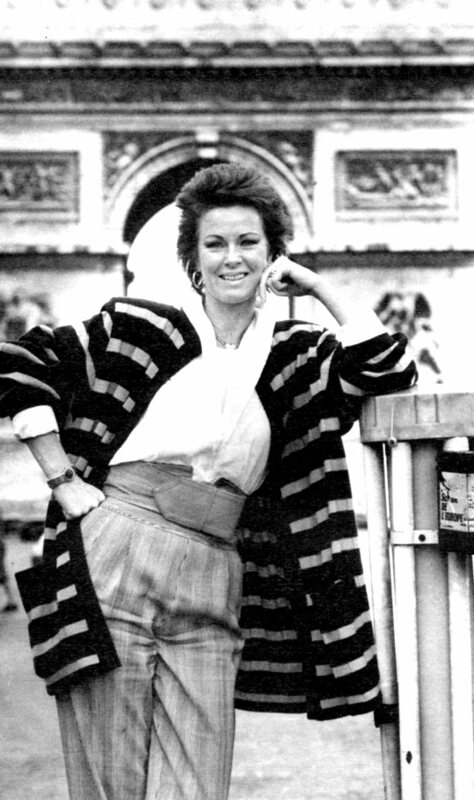 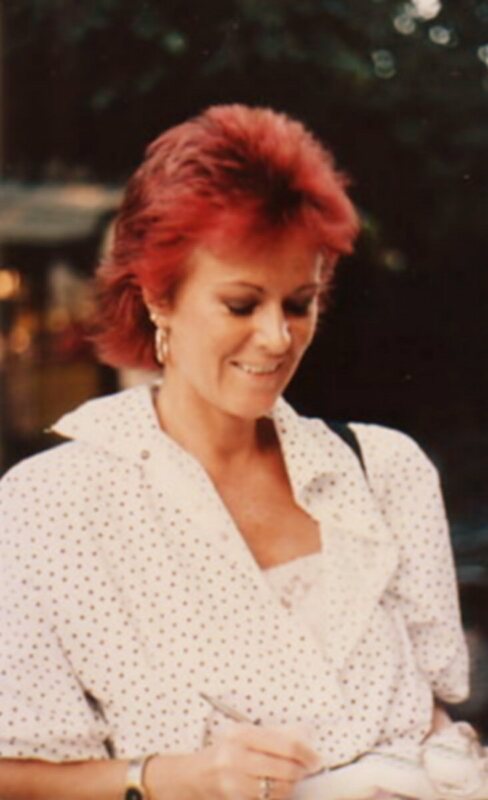 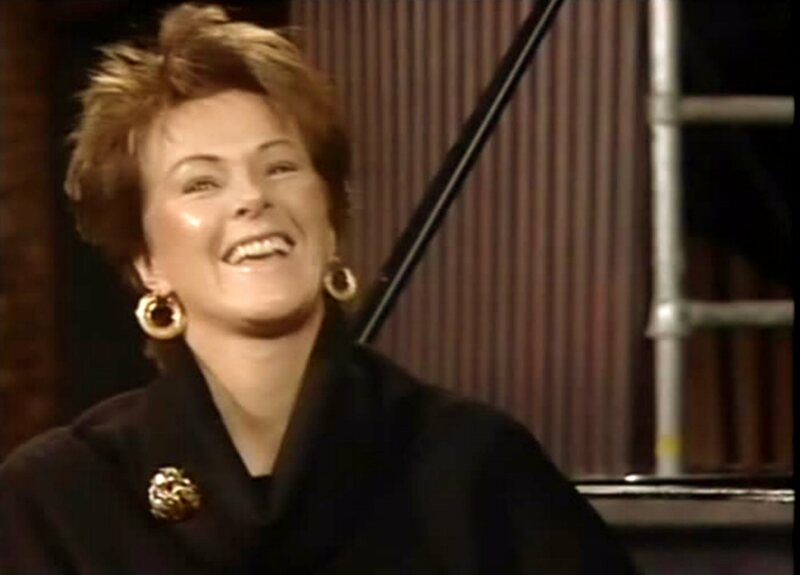 Frida went to Copenhagen in September 1984 and made a TV promotion for the new album featuring an interview in Danish/Swedish. 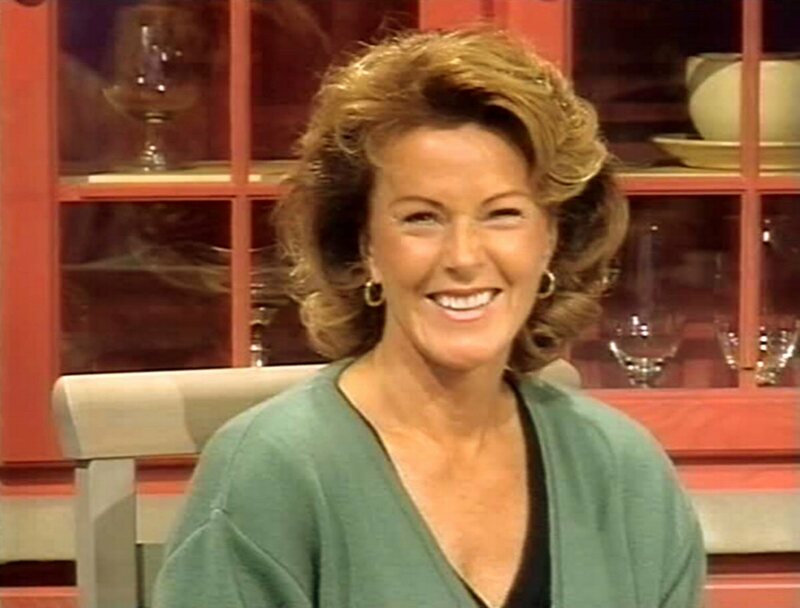 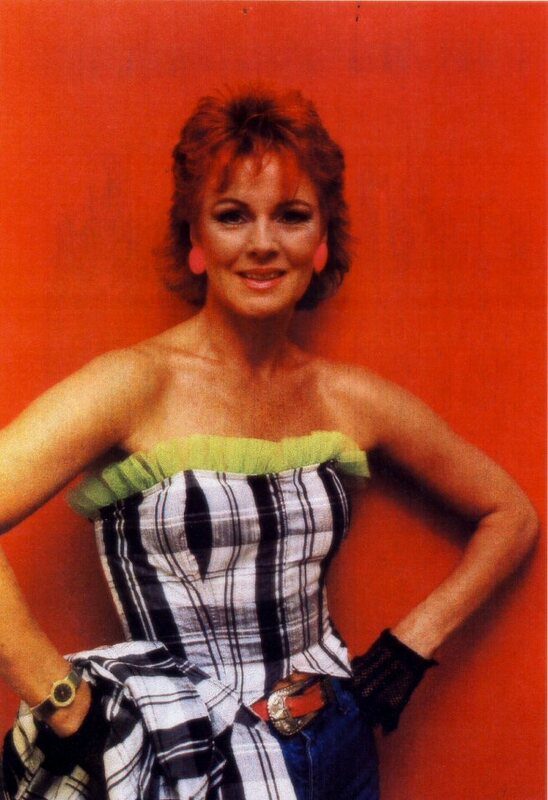 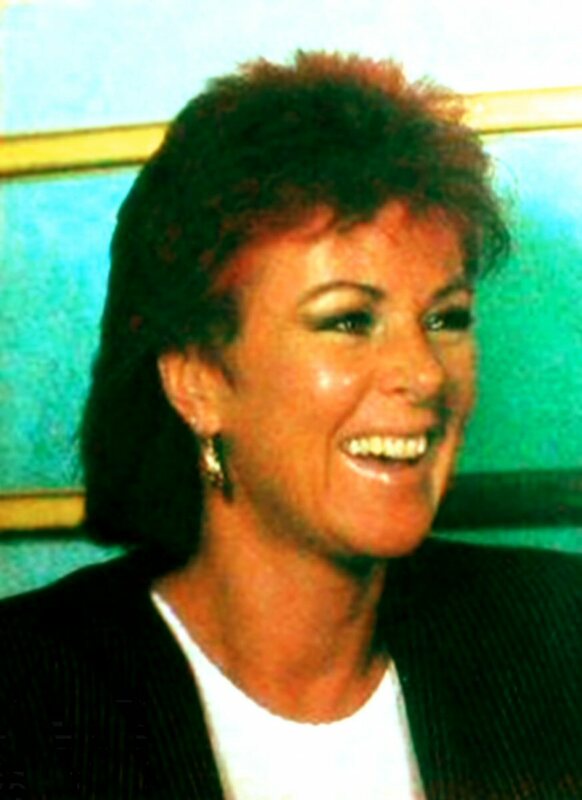 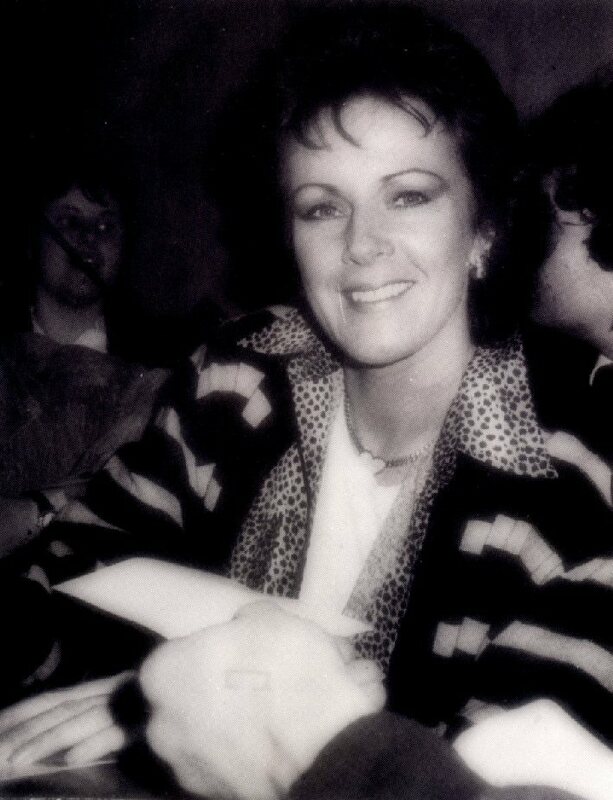 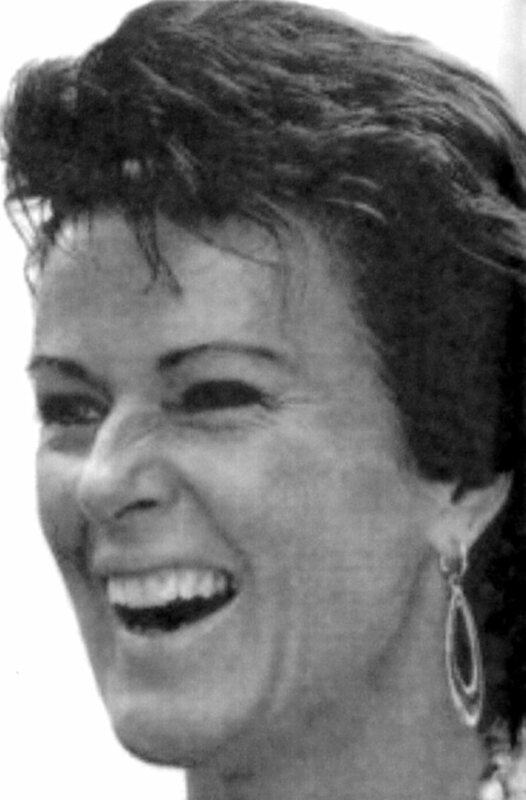 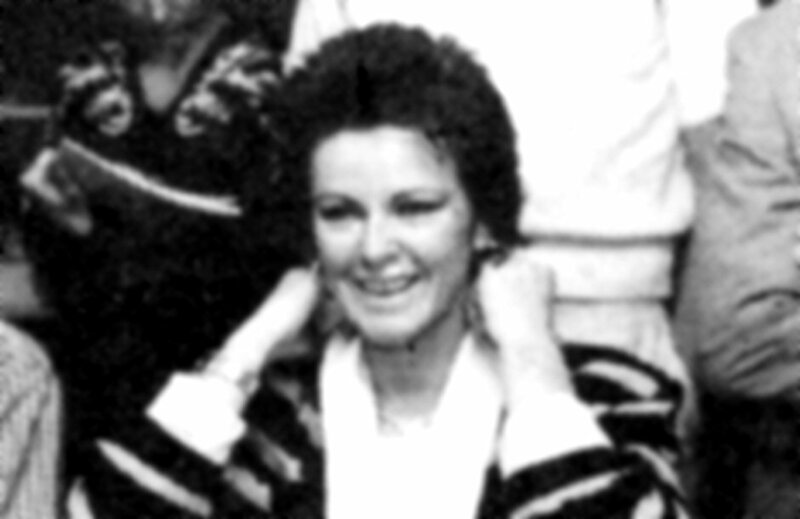 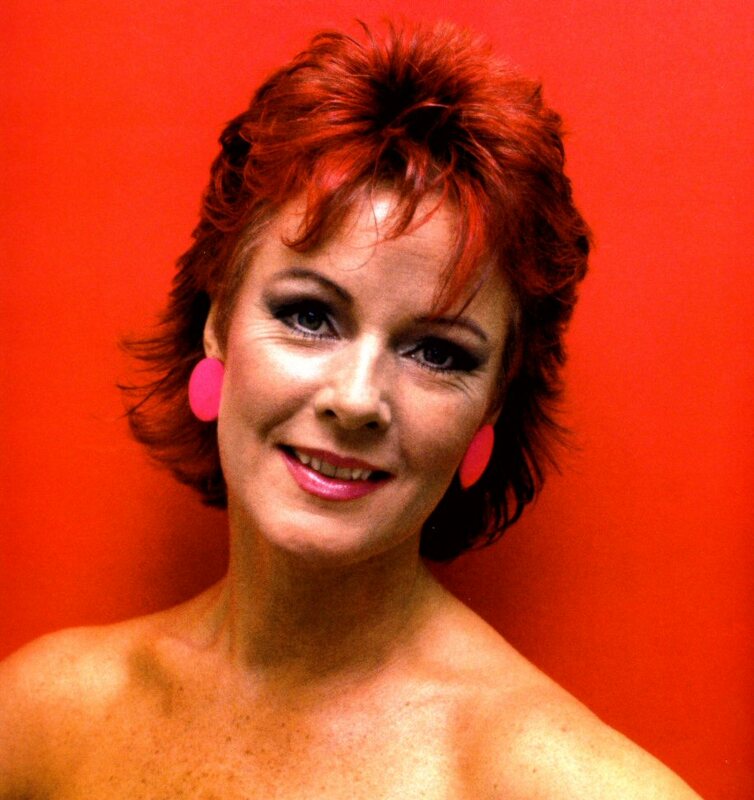 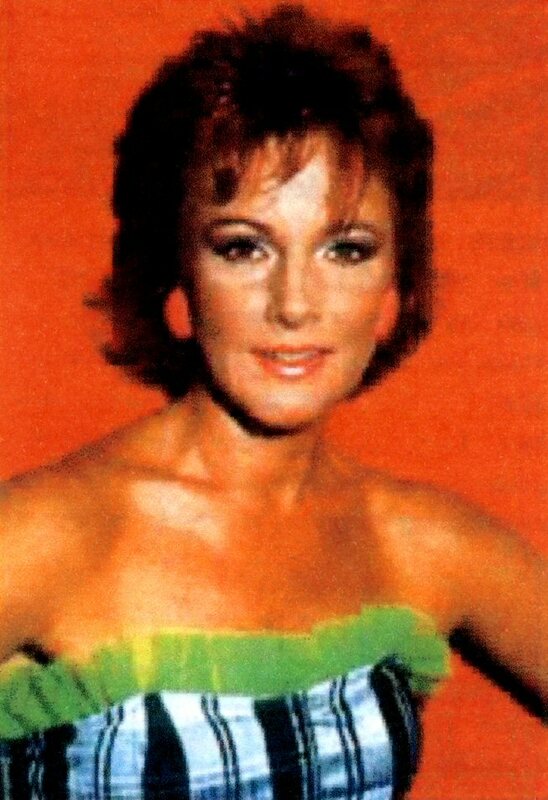 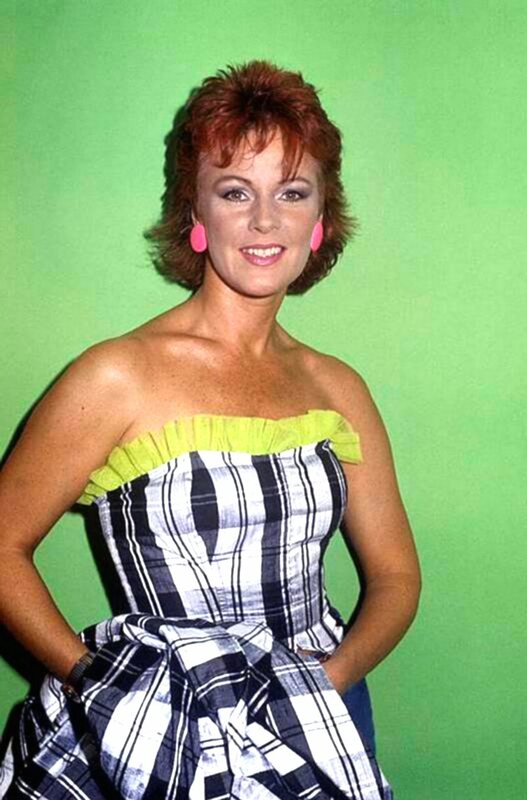 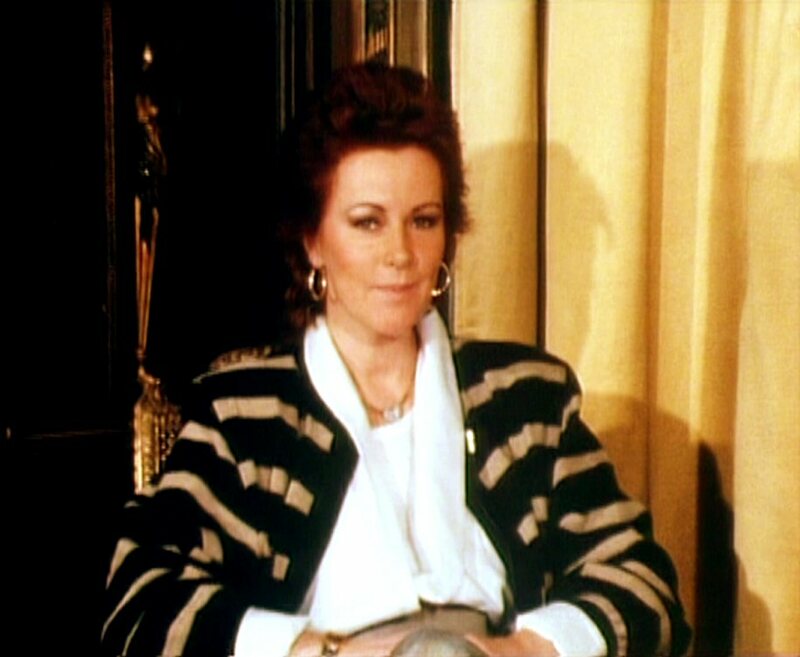 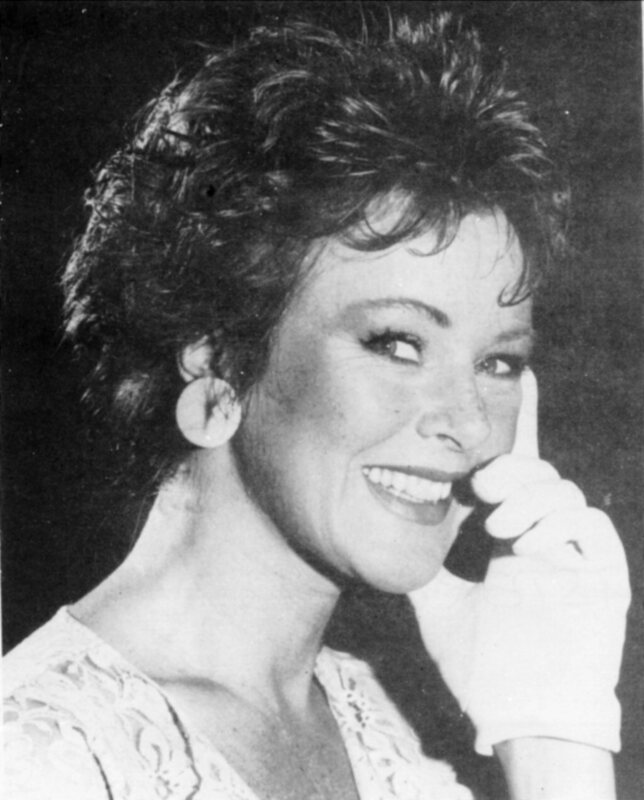 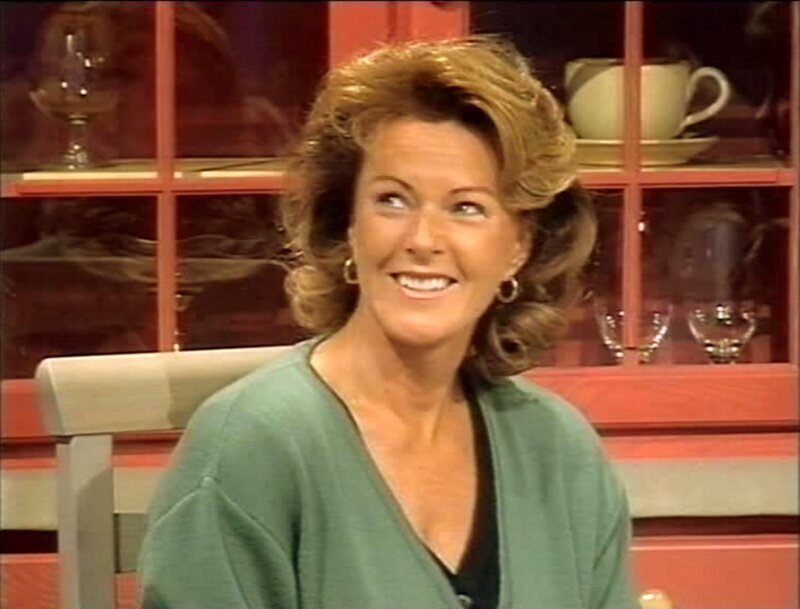 Frida appeared on the TV special "Glädjehuset" on September 28th, 1984. 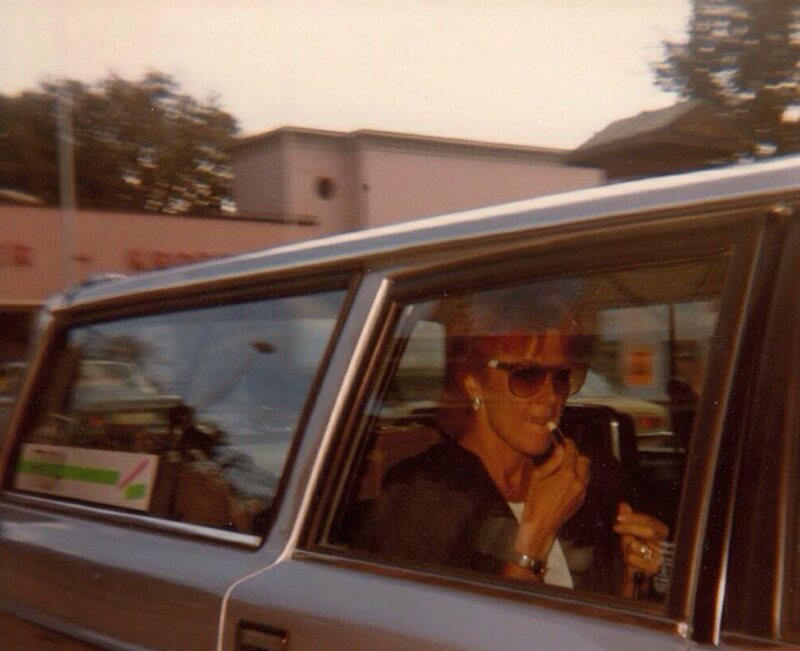 She was talking about the new album and her plans for a new LP one year later. 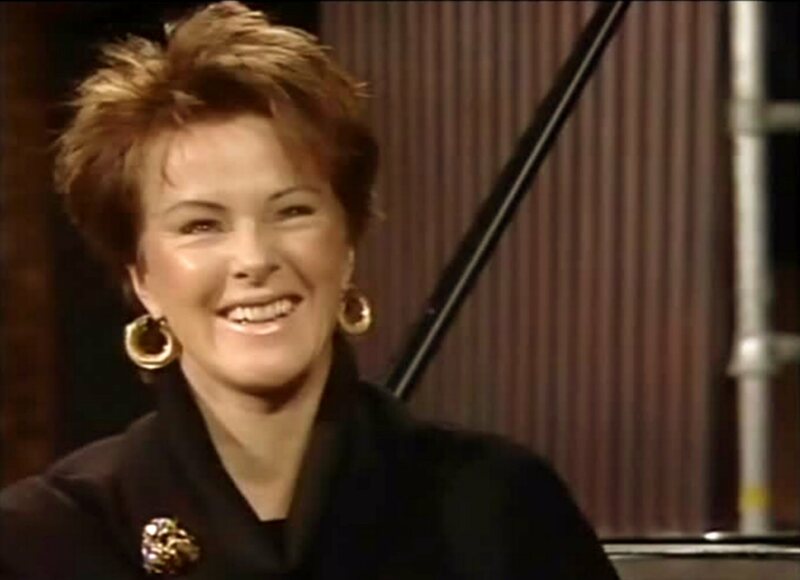 She was absolutely self-confident and happy about the new album. 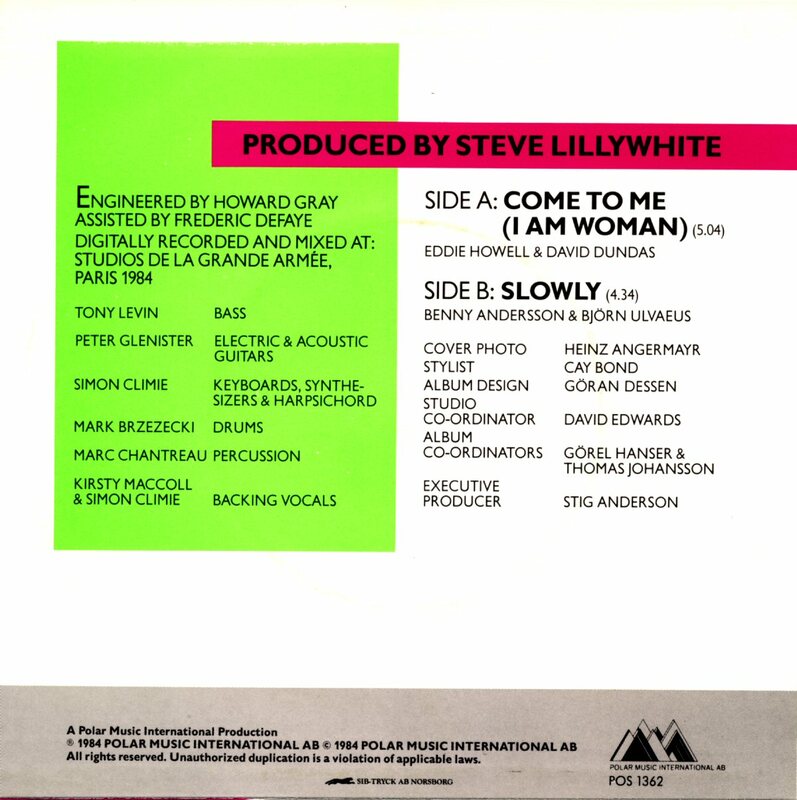 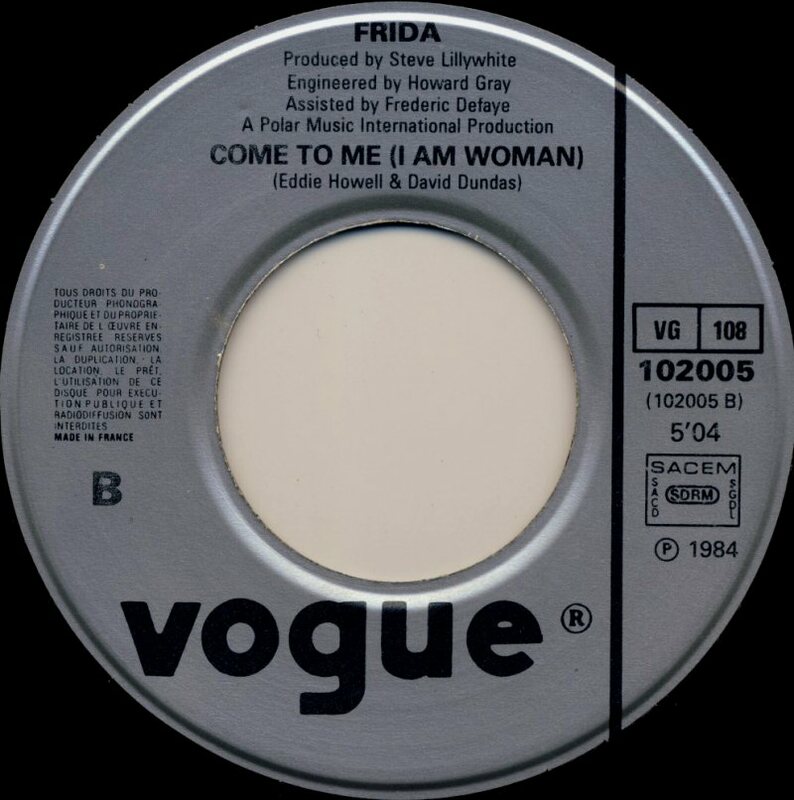 The second single released in Sweden, West Germany, Holland and some other countries was "Come to Me (I am Woman) in late autumn 1984. 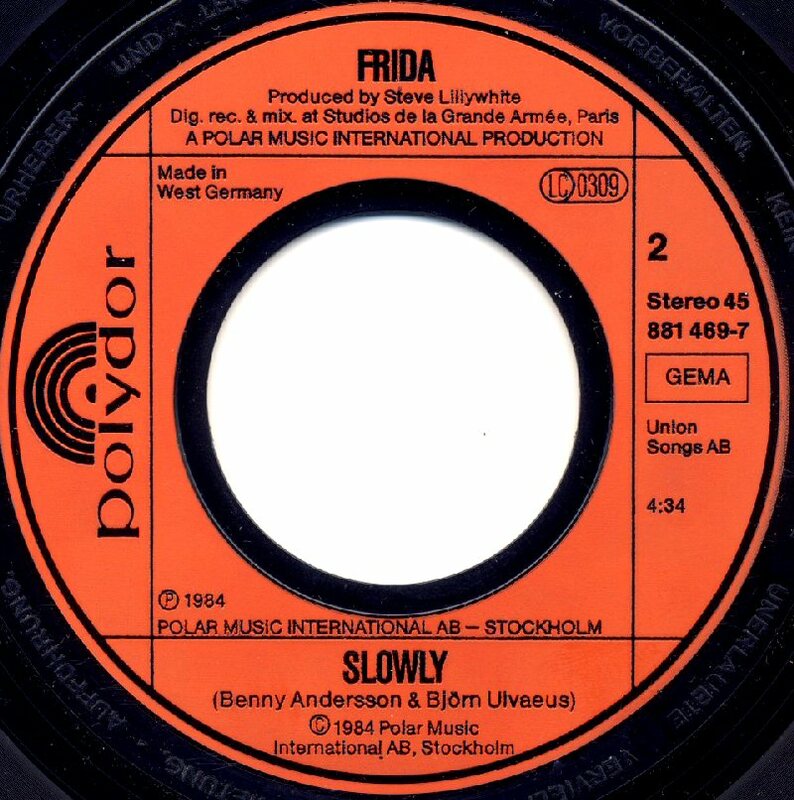 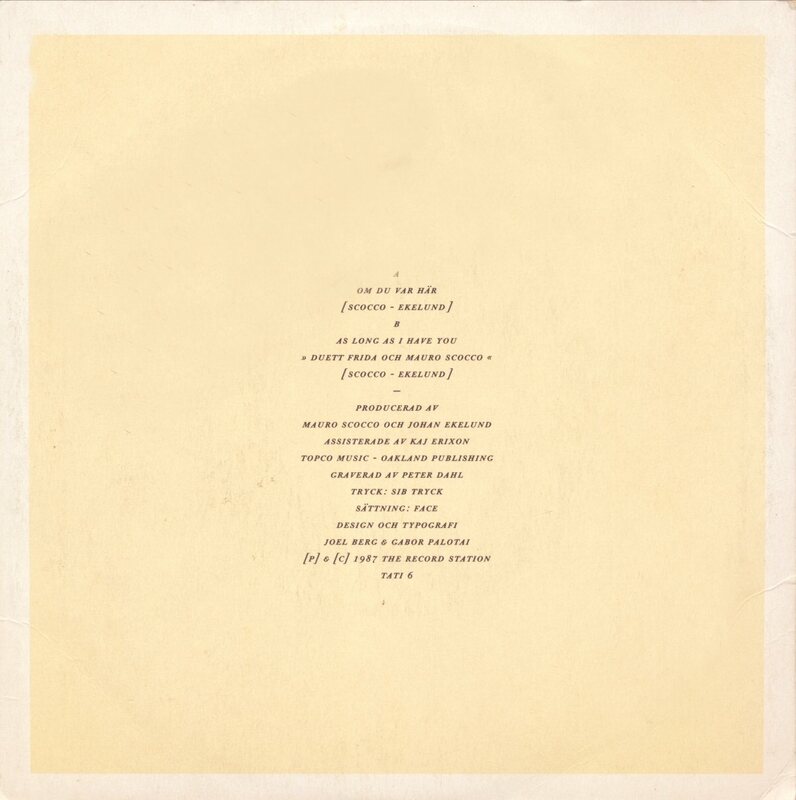 On the B-side there was Benny and Björn's composition "Slowly". 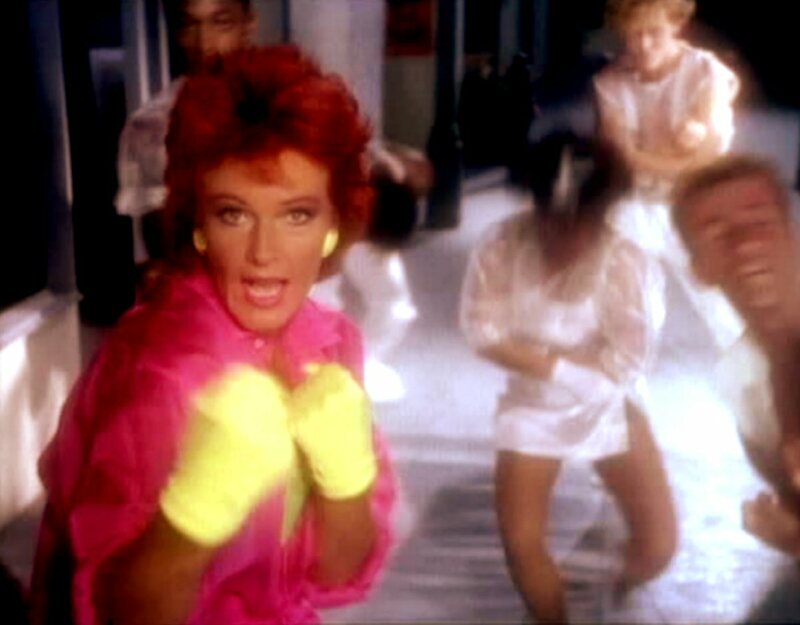 The German release featured shorter mix of "Come To Me" with length of 4.24. 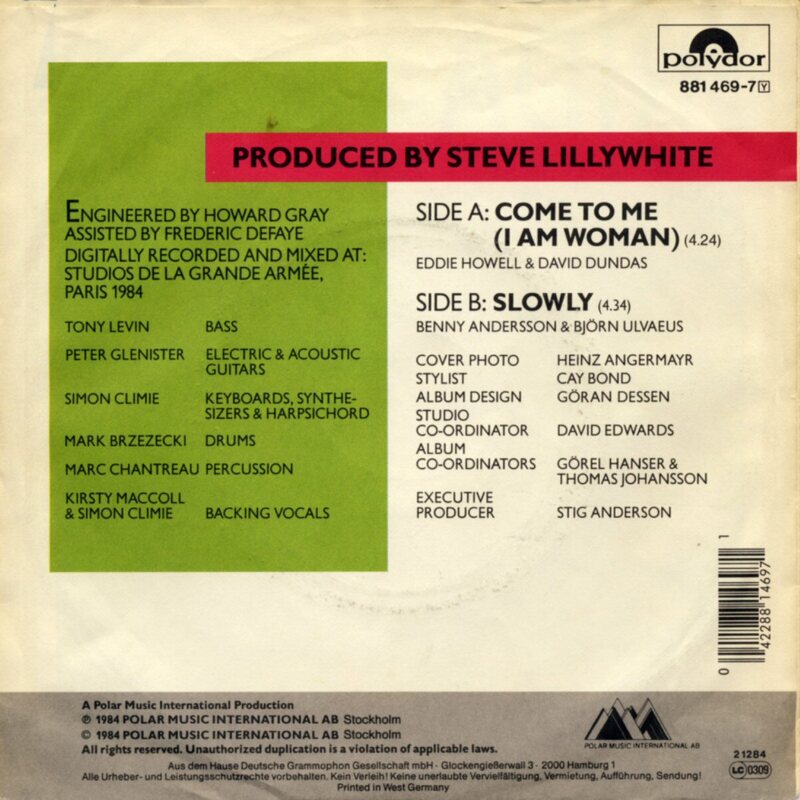 The Dutch release of the single featured the full-length version of "Come To Me"
"Heart of the Country" was chosen exclusively for the UK release as the second single from "Shine" b/w "Slowly". 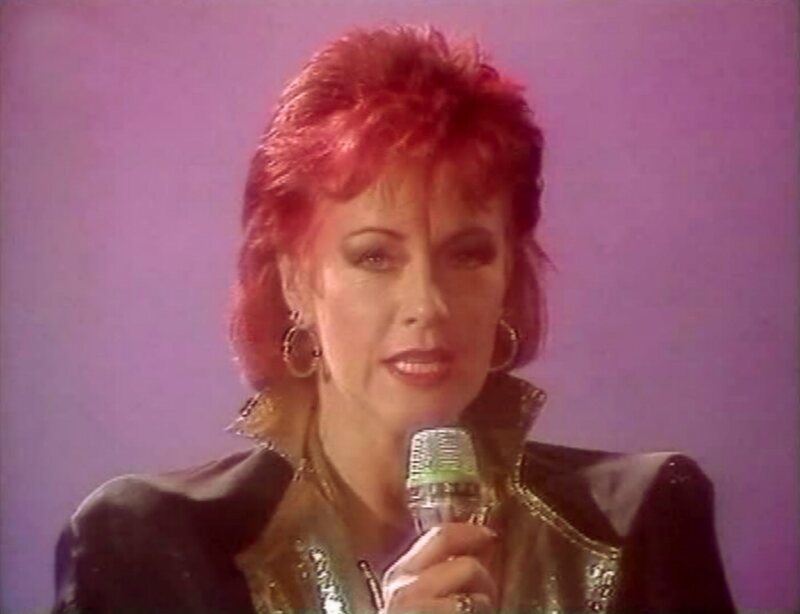 It was a wrong choice as the single did not even enter the UK hit list. 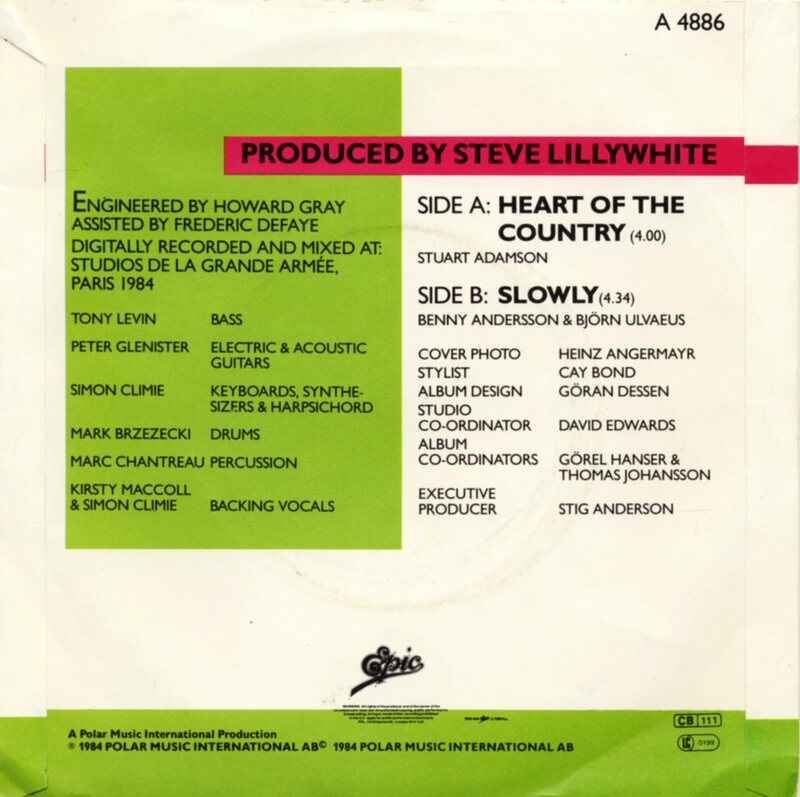 The single version of "Heart of the Country" was shortened from 4.38 (the LP version) to 4.00. 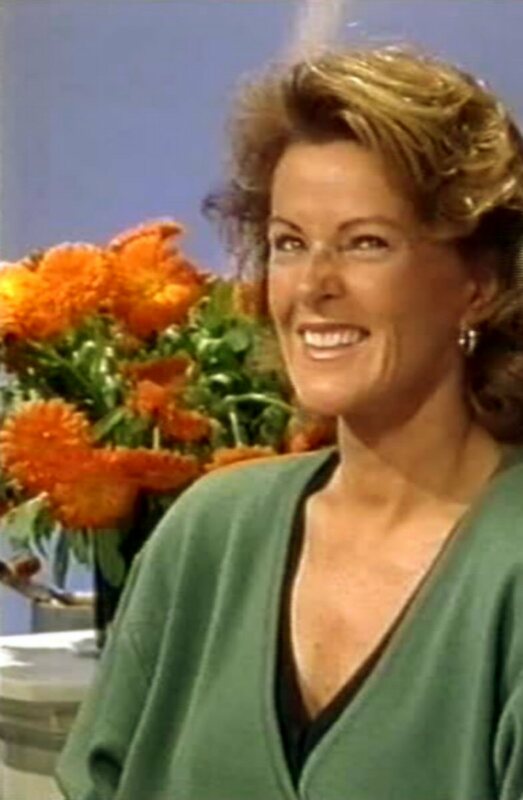 Frida made an appearance in the Belgian talk-show "Mike". 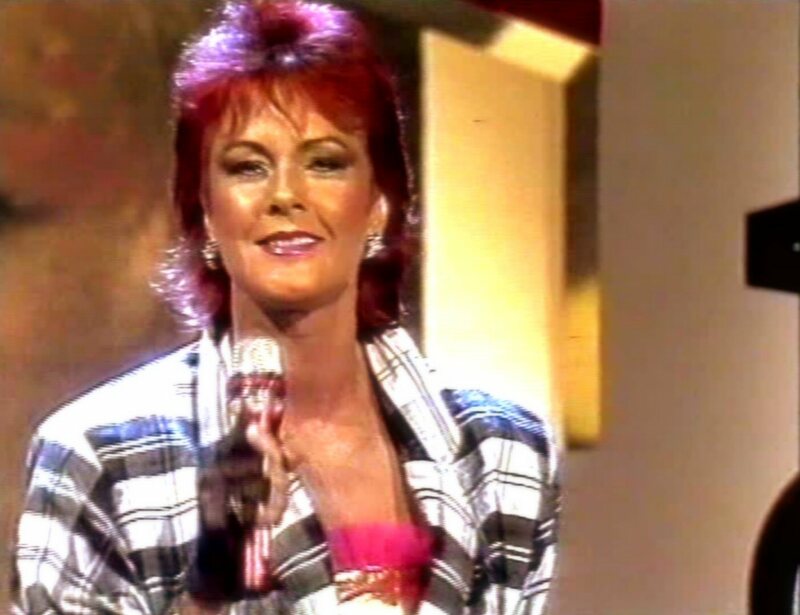 She performed "Come To Me" and "Shine" and talked with the show host about song festivals and ABBA's (no)future. 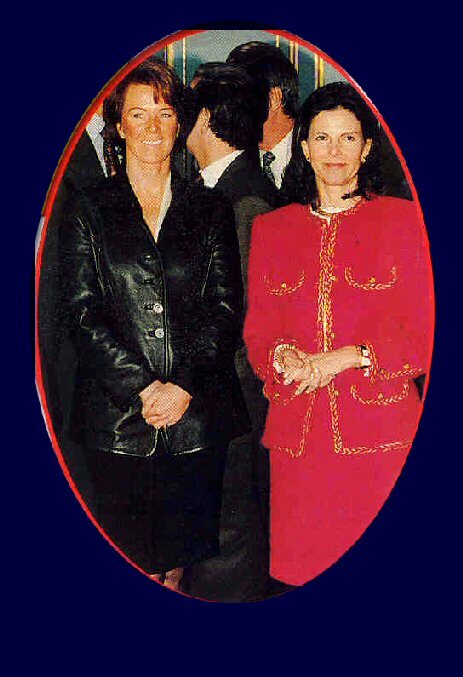 For the second time this year Frida paid visit in Holland on October 9-11. 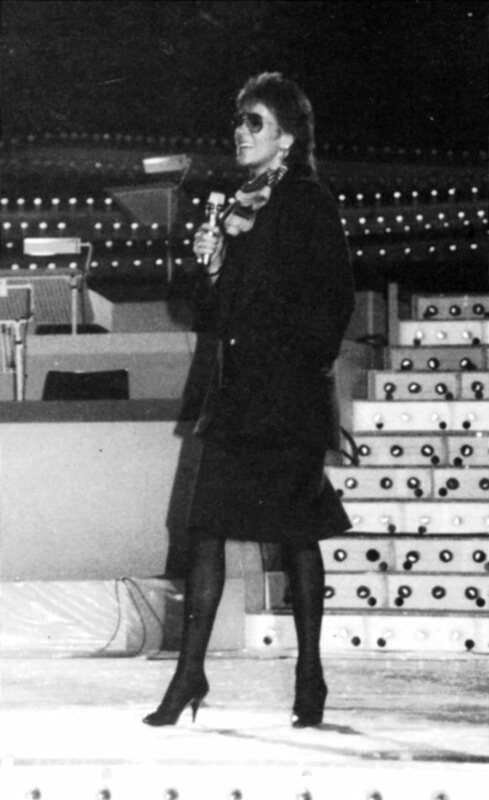 She performed at the Avro Platen gala and was extremely warmly welcome by the fans. 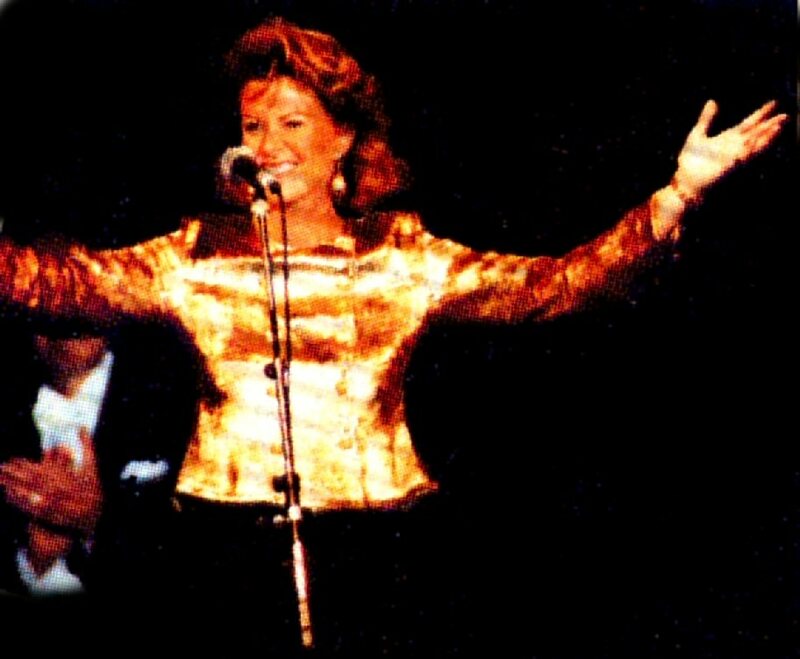 It was one of the best performances promoting the album "Shine". 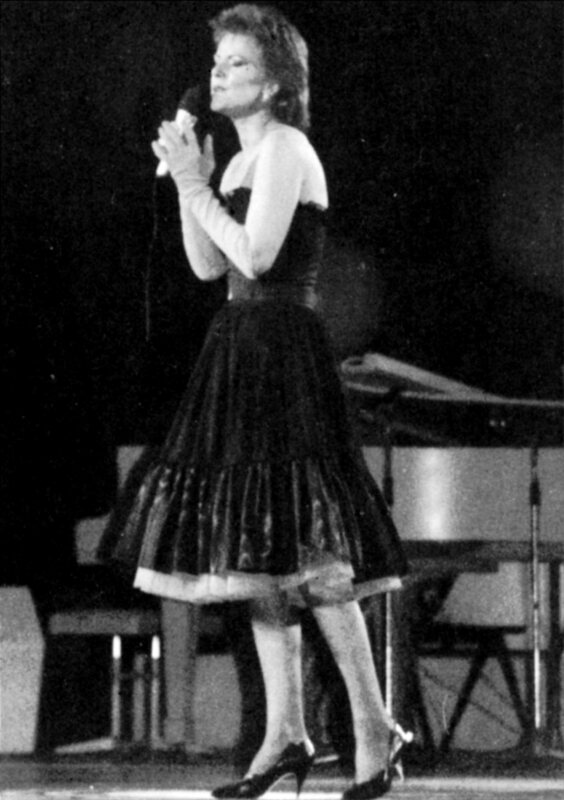 She performed first "Shine" and then "Come to me" in the second part of the show. 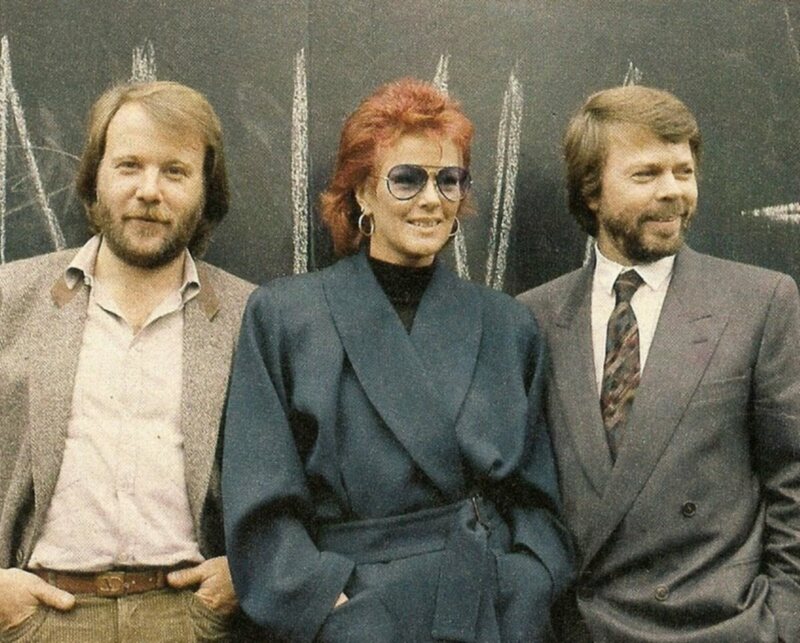 She even met Björn and Benny who promoted their new musical "Chess". 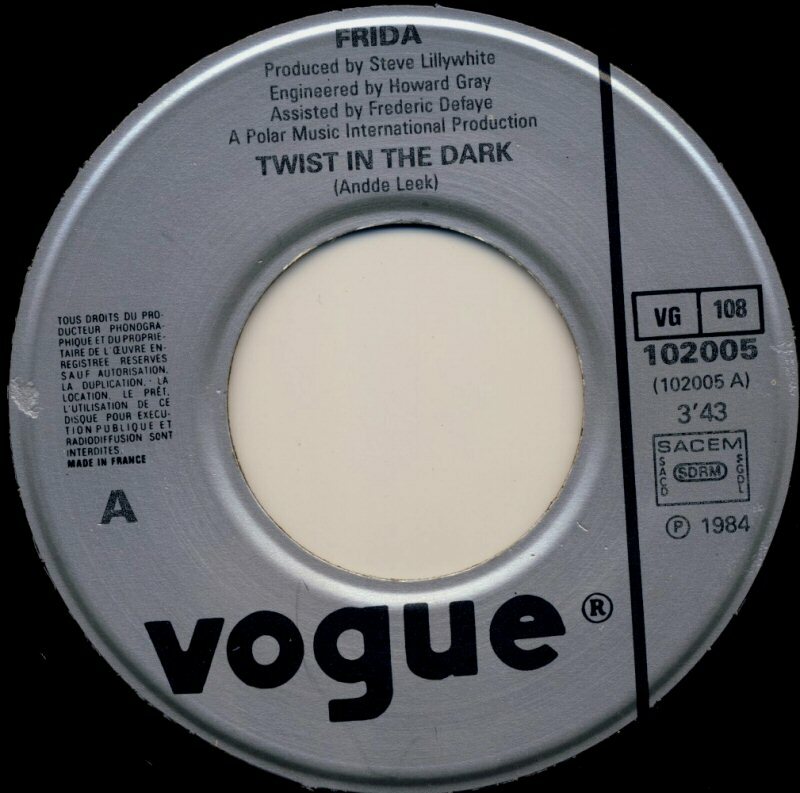 The French record company "Vogue" decided to release "Twist in the Dark" as the second single from "Shine" with "Come To Me" on the flipside in November 1984. 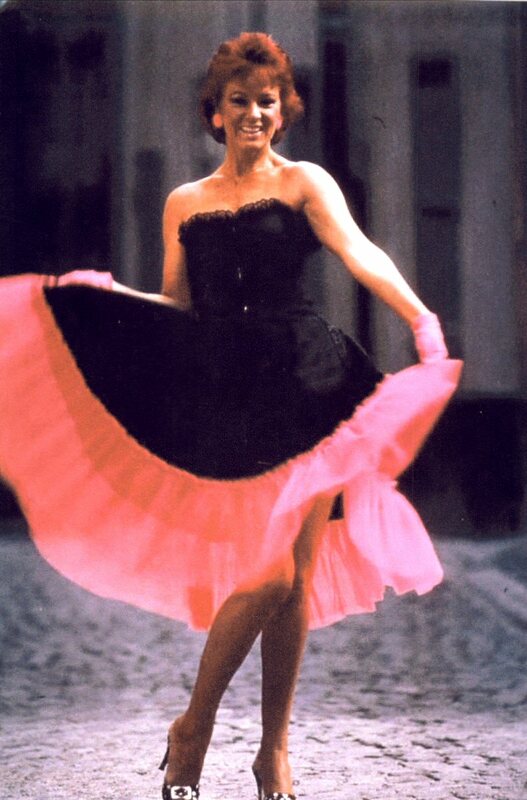 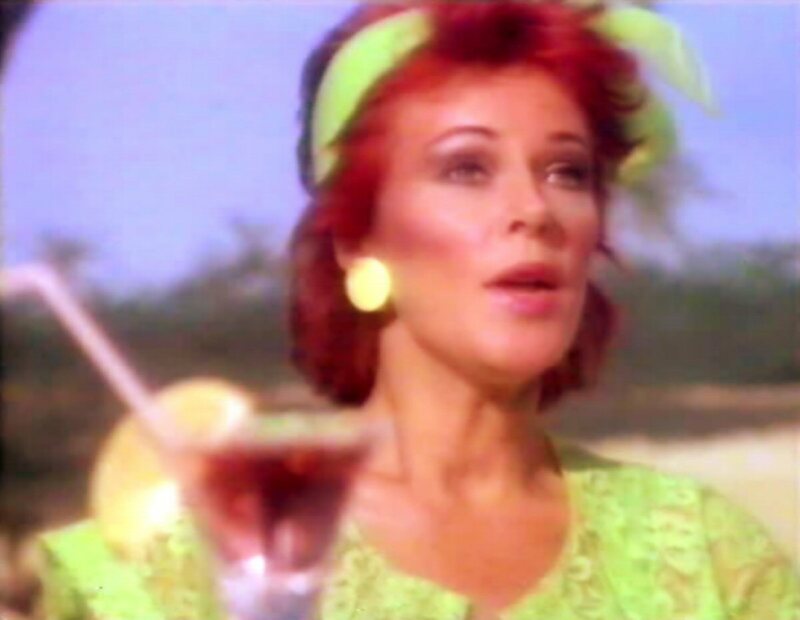 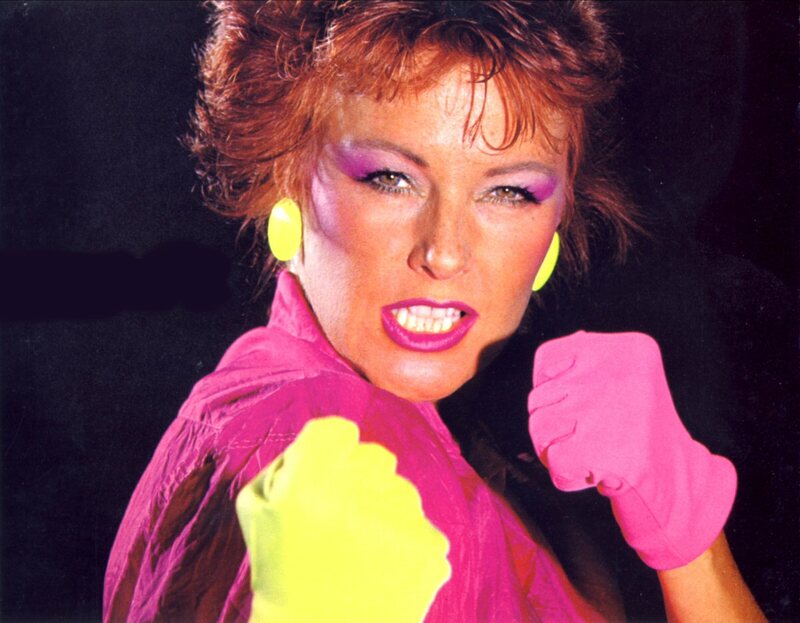 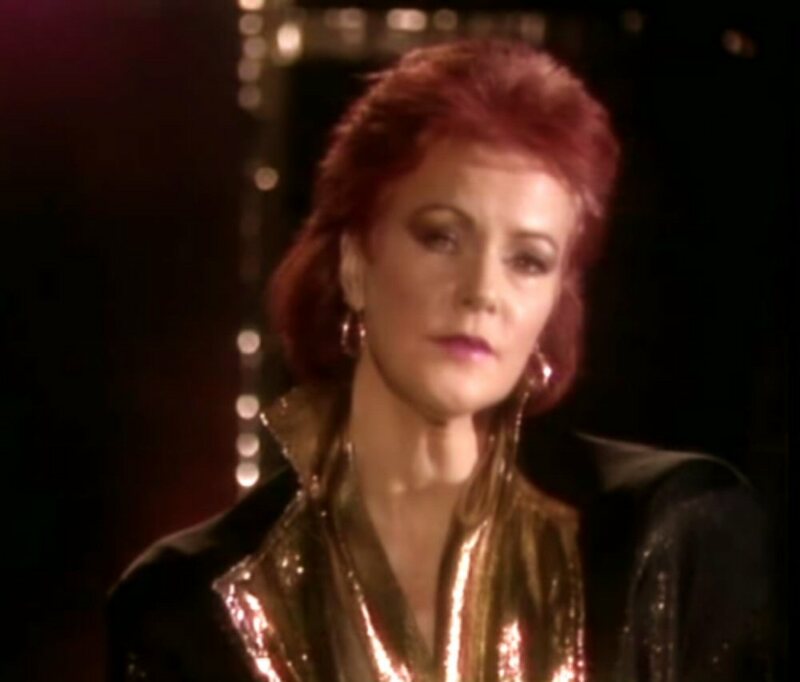 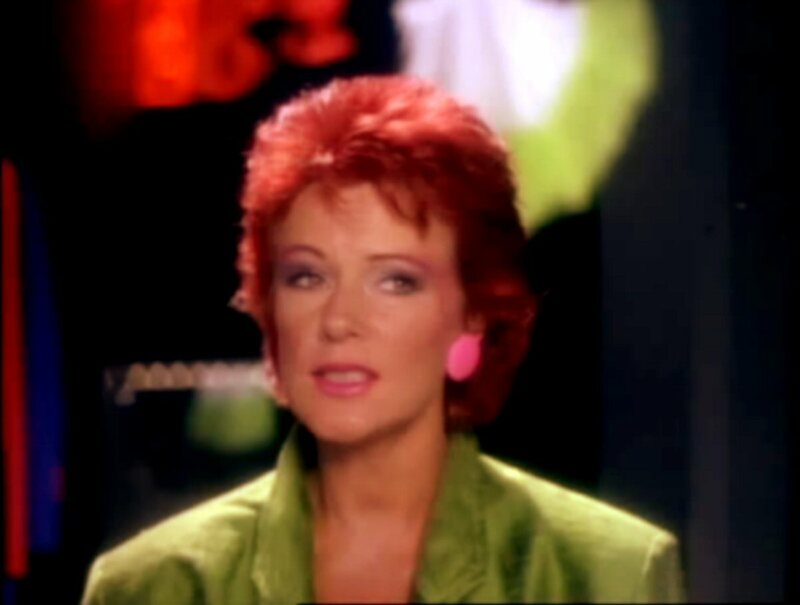 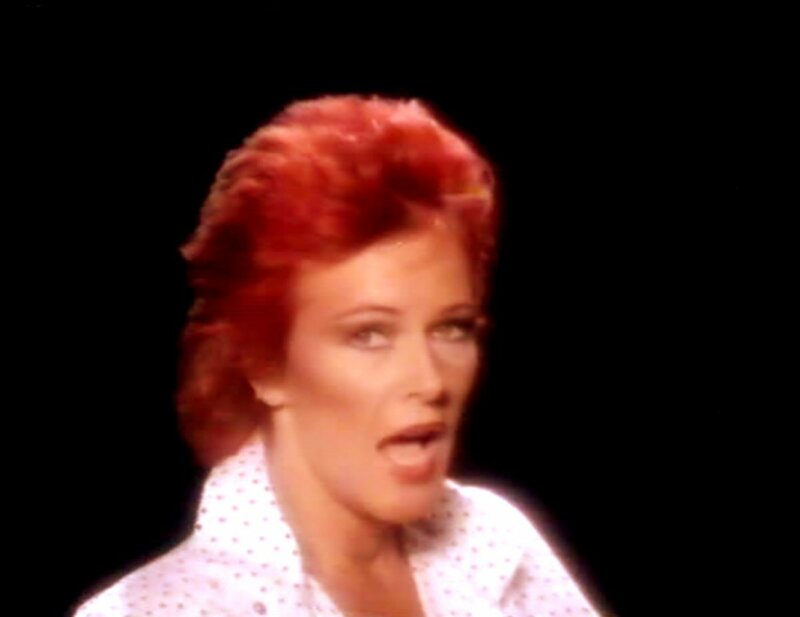 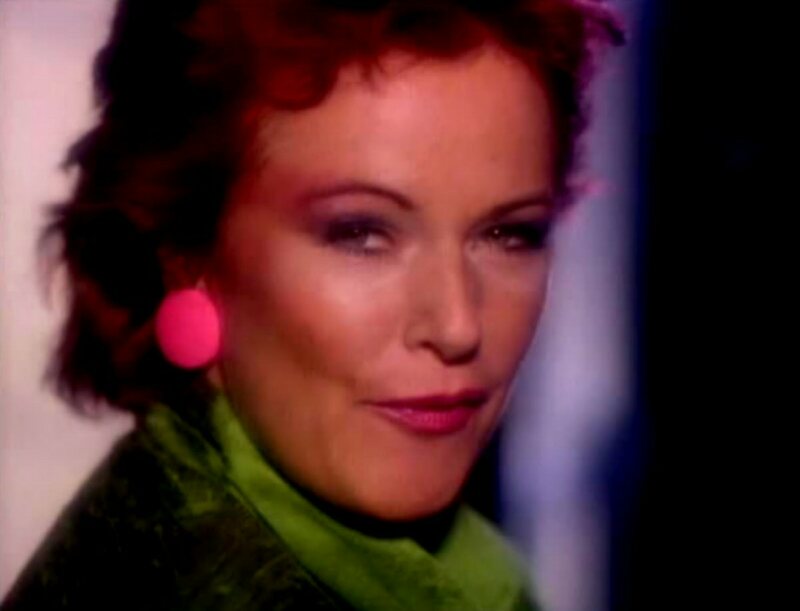 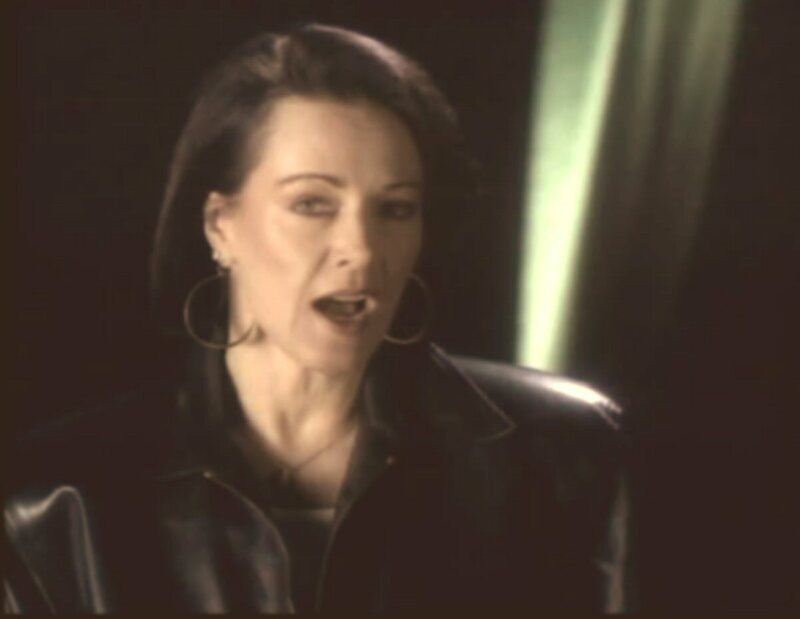 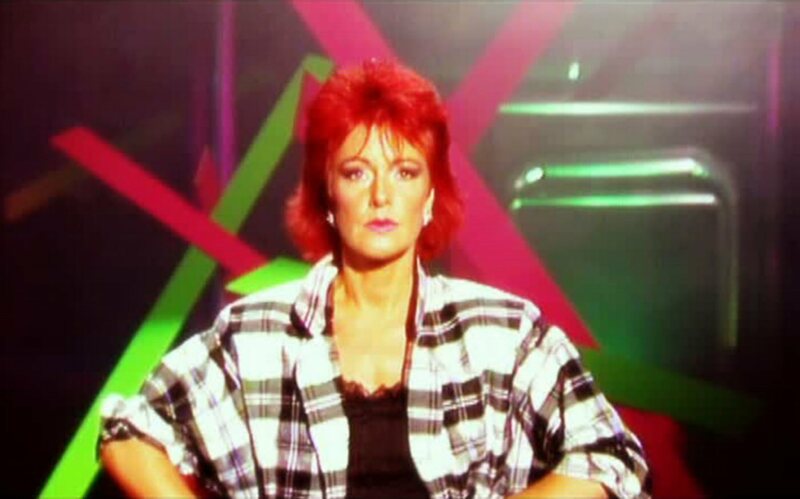 Frida promoted the new single on French TV in the show Cadence 3 on November 21st, 1984 . 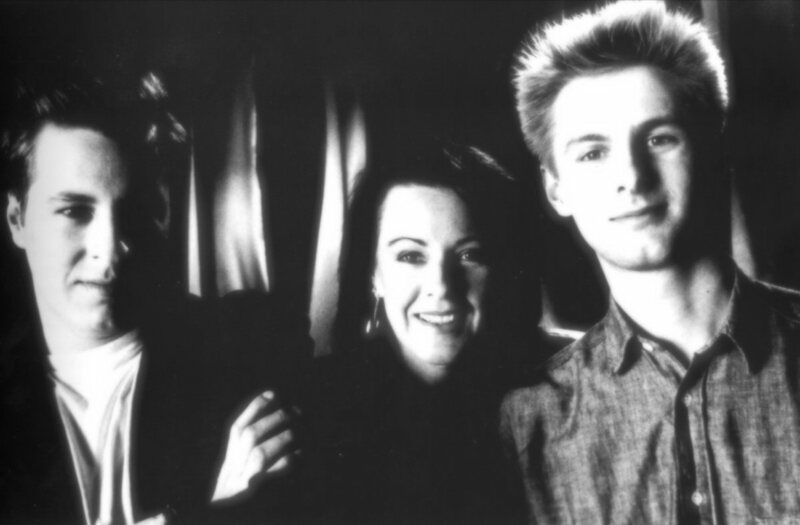 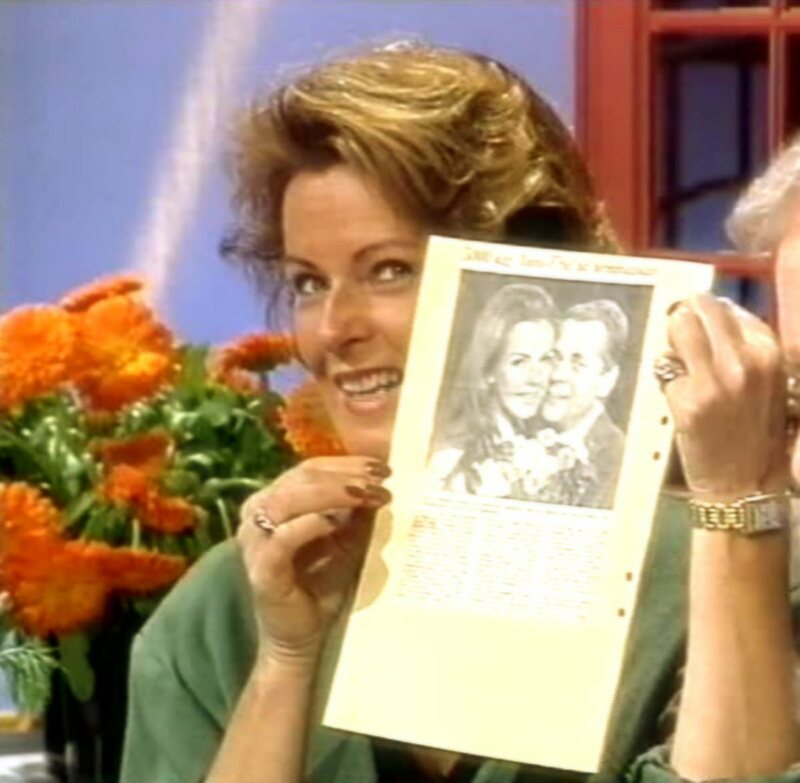 On November 29, 1984 Frida, Björn & Benny participated in the TV show "Na sowas - Extra" aired by German TV. 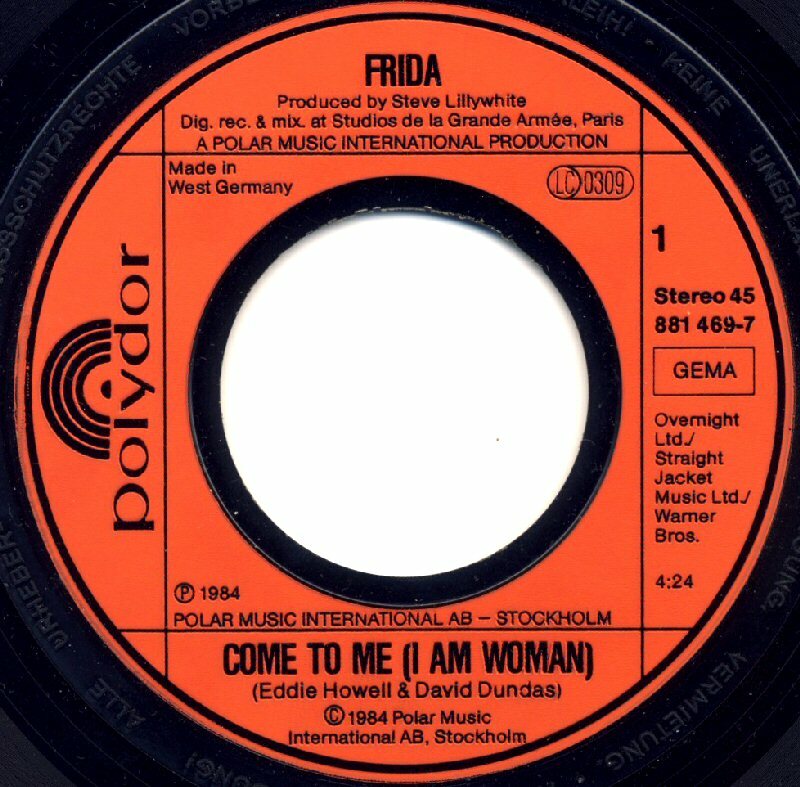 Frida promoted her latest single "Come To Me" and together with Björn and Benny sang choir in "One Night in Bangkok". 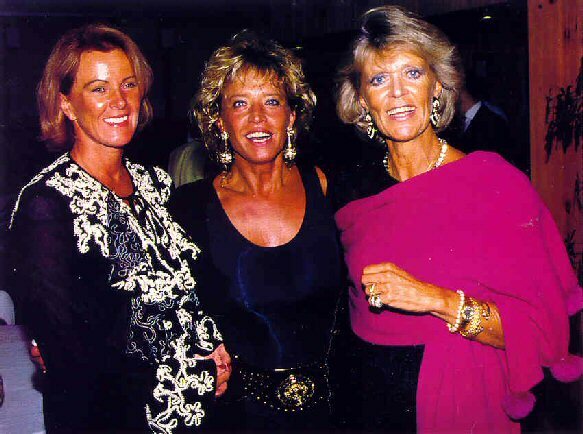 Both performances were though playback and there is no recording of "One Night in Bangkok" with the three members of ABBA singing background vocals. 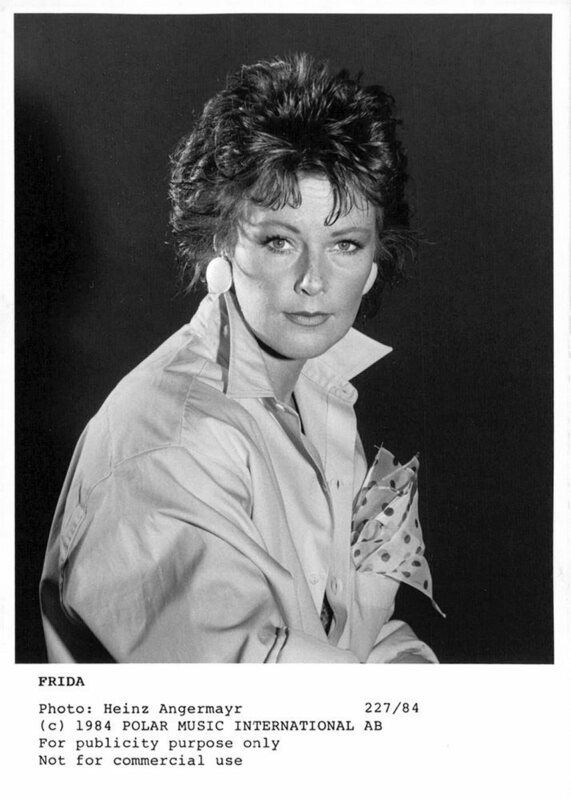 Frida came to Finland on November 30th, 1984 and she appeared in the show "Vikonloppu" where she performed "Shine" and "Come To Me". 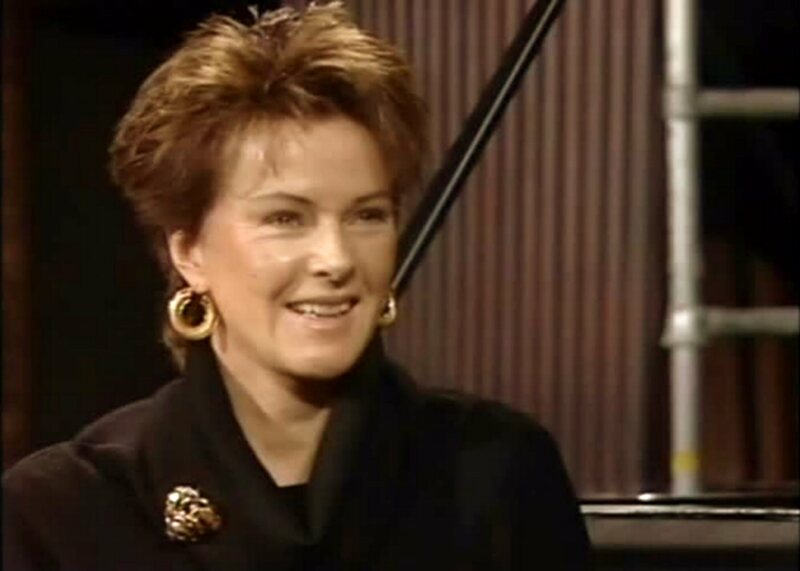 She was also interviewed about the new album. 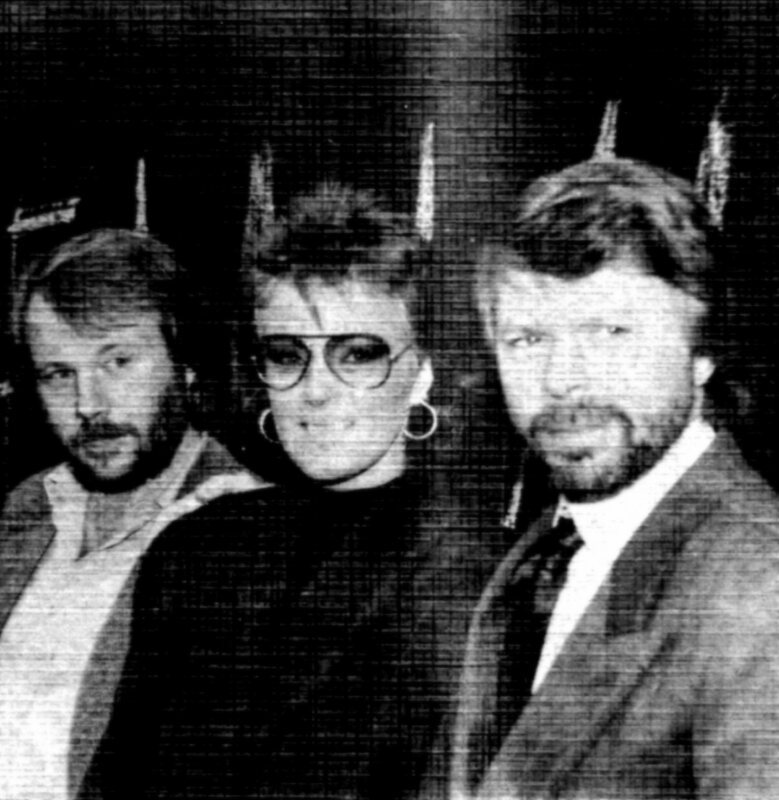 Of course it was difficult to avoid questions about ABBA and the group's future. 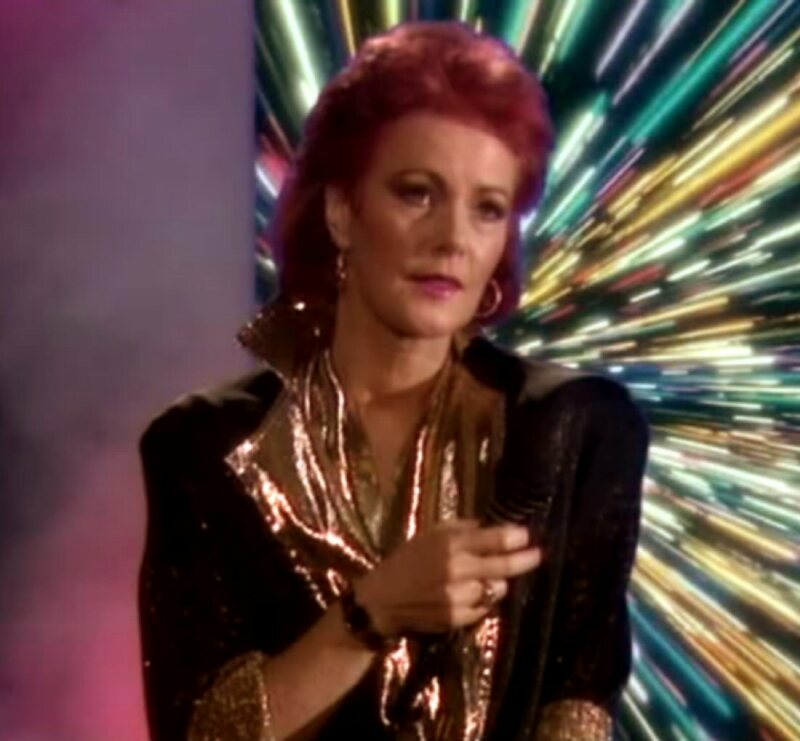 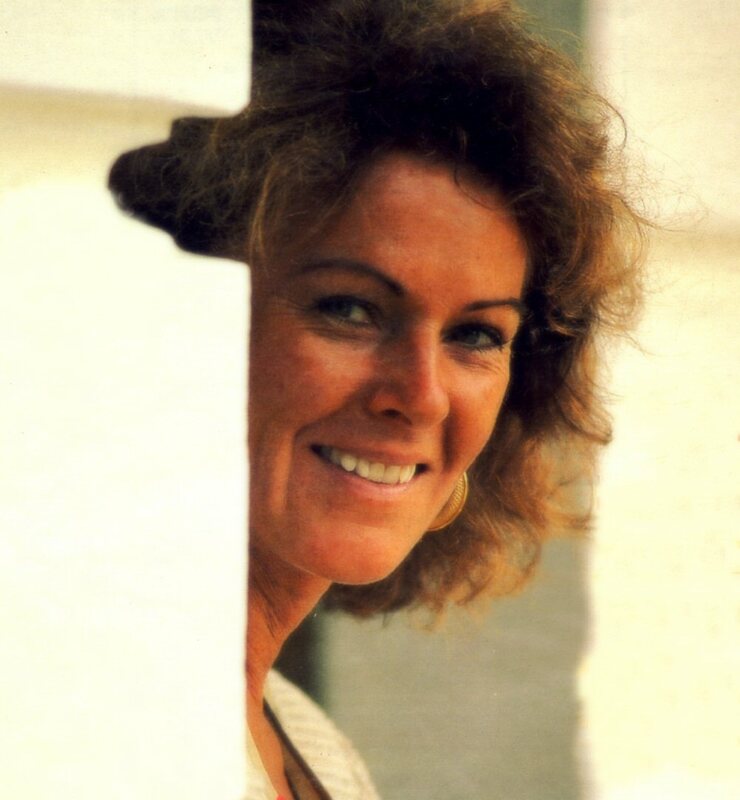 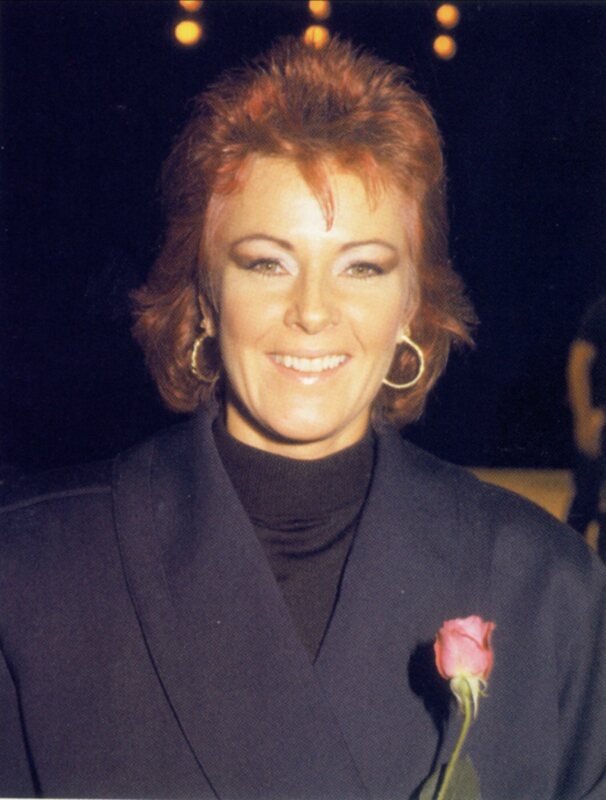 Frida said: "ABBA had its time and now it's another time. 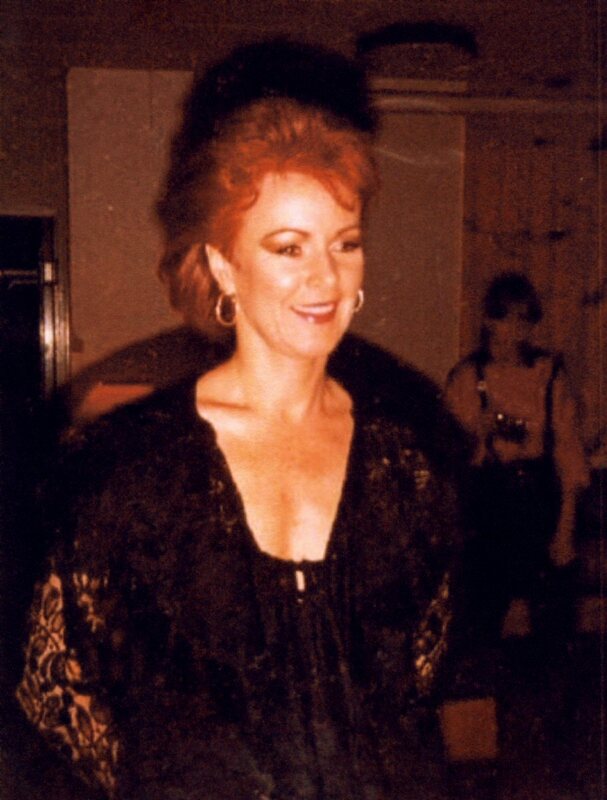 It was wonderful to be one in the group and I do not regret anything. 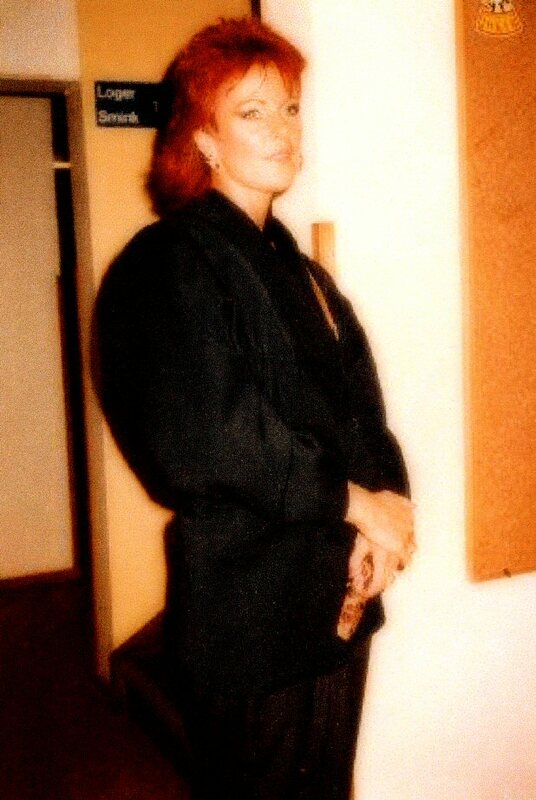 But I love to work on my own as well. 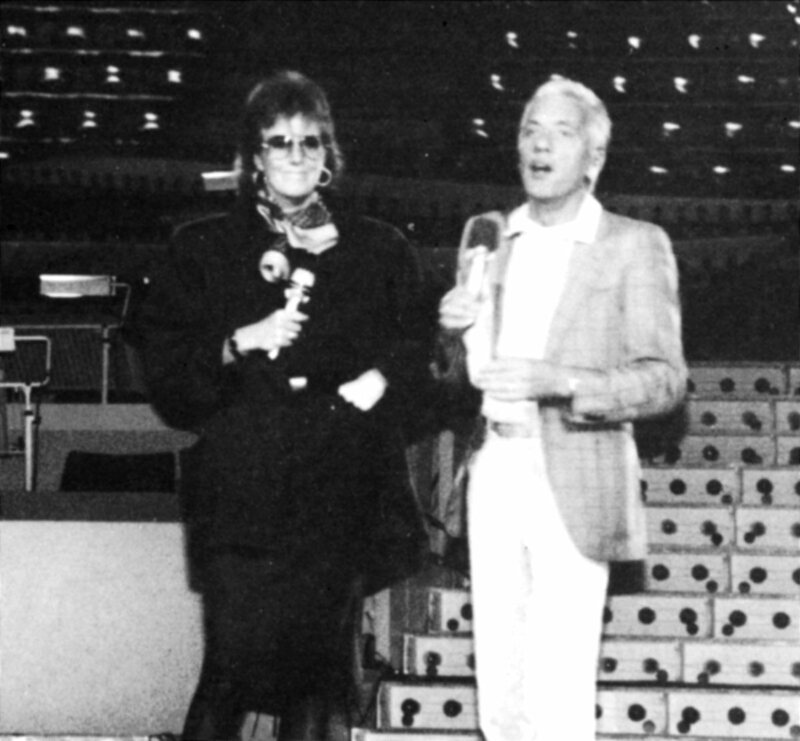 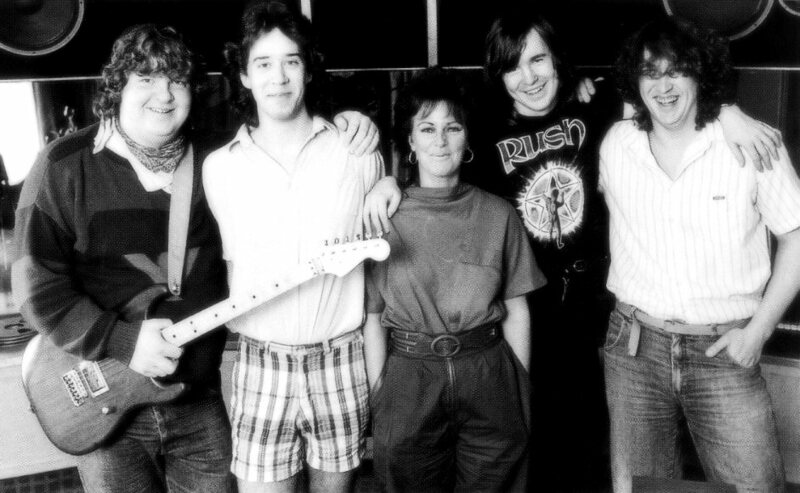 Sure, it would be nice to get together again and maybe make one more record in the future." 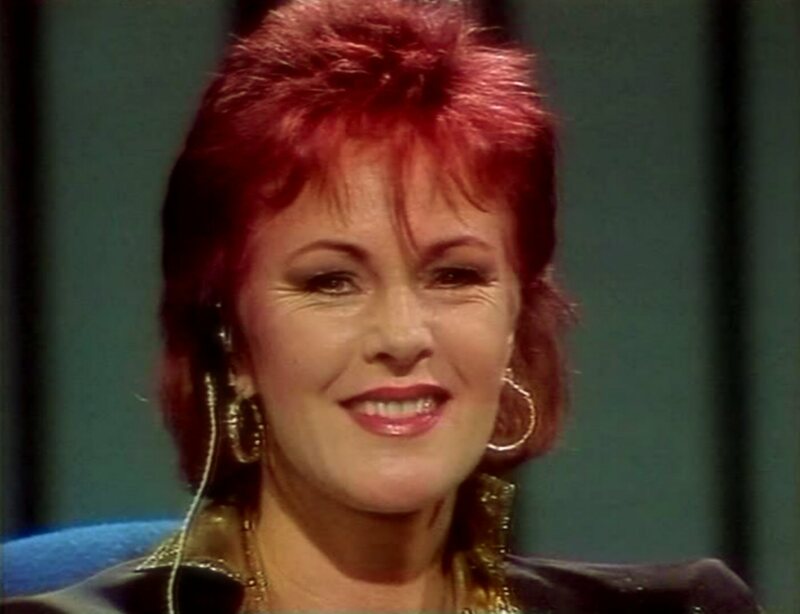 The participation in the Swedish TV special "Razzel" on December 7th, 1984 was one of the last promotional performances for "Shine". 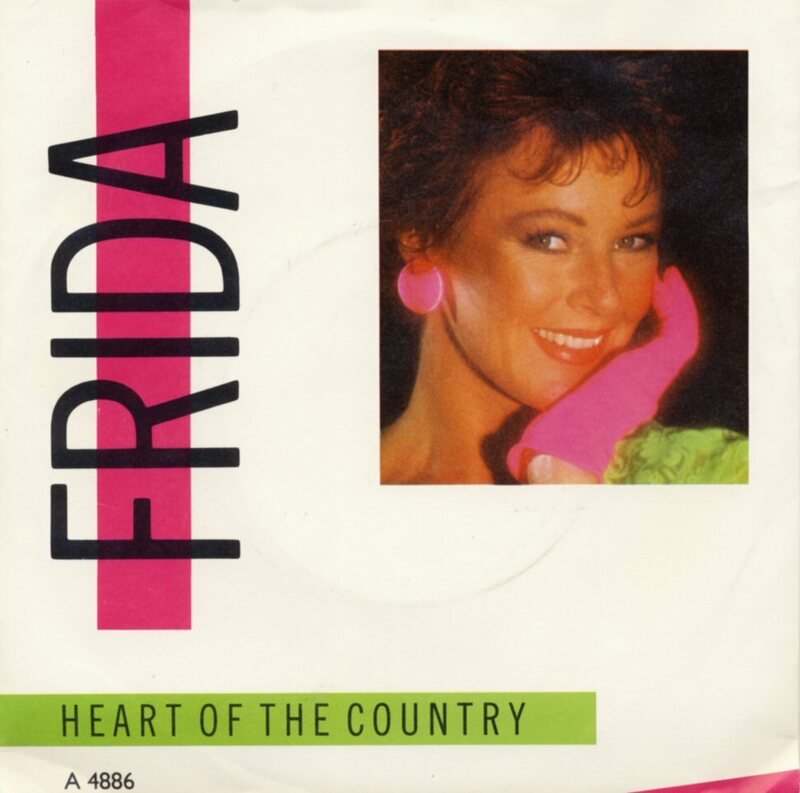 Frida sang three songs from her latest album: "Heart of the Country", "Come To Me" and "Twist in the Dark". 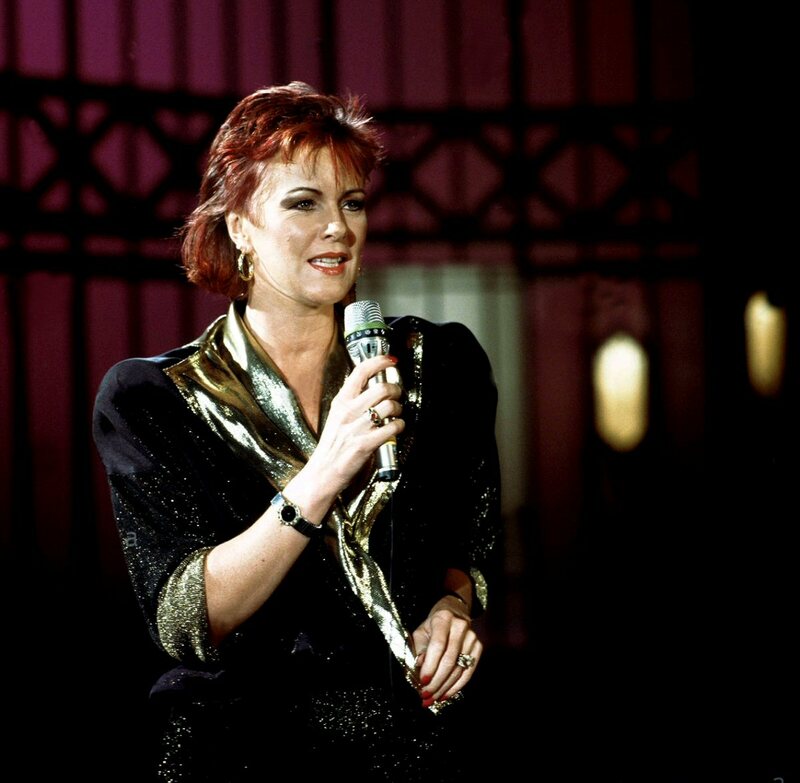 The two first songs were performed live. 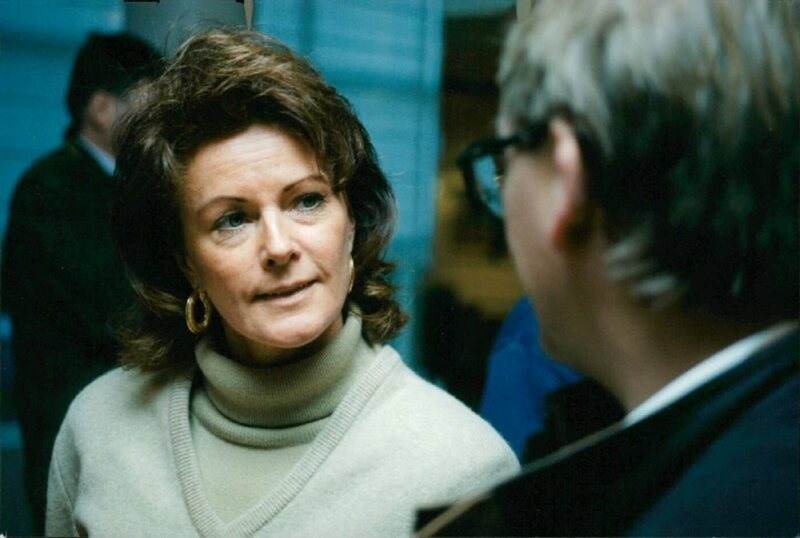 Frida made one more TV appearance in front of Norwegian TV cameras shortly before Christmas. 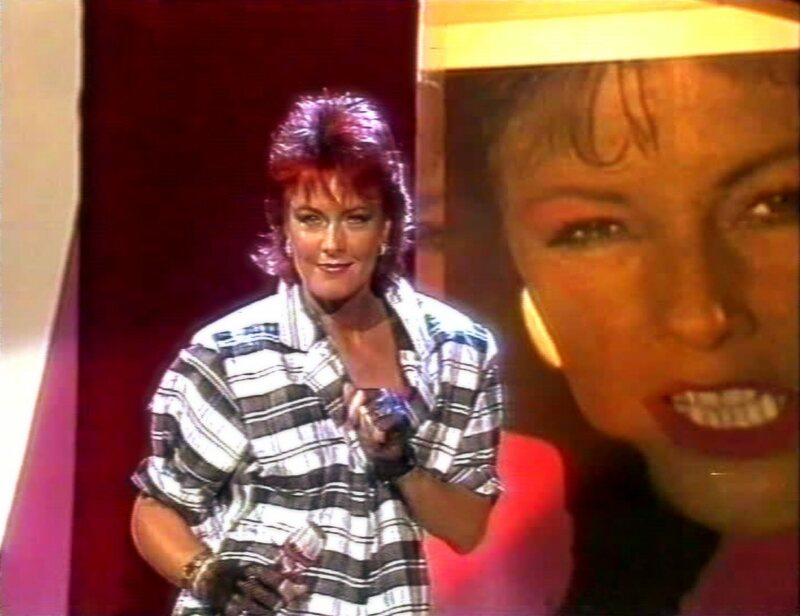 She performed "Shine" and "Come To Me" as well as she gave a short interview for the show hosts. 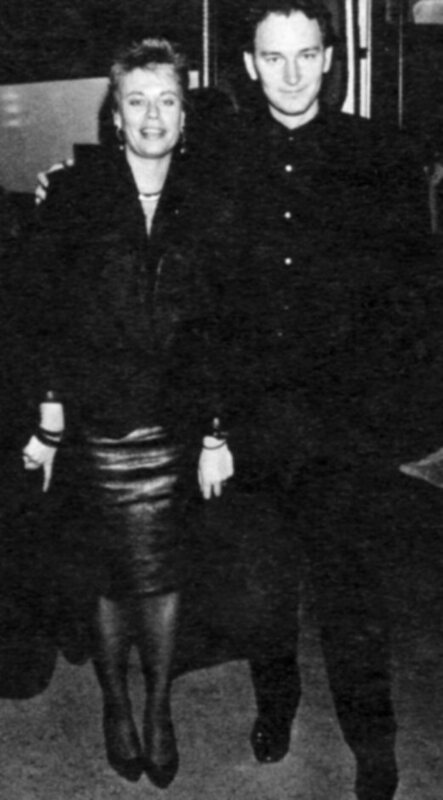 The year 1985 was relatively quiet for Frida. 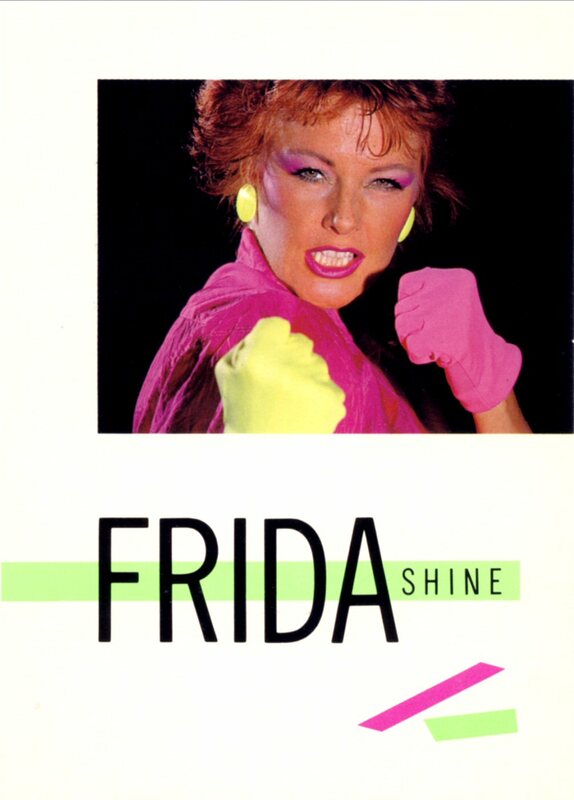 After the intensive "Shine" period Frida decided to withdrawn from the music business. The album "Shine" did not become that success that Frida had been waiting for. 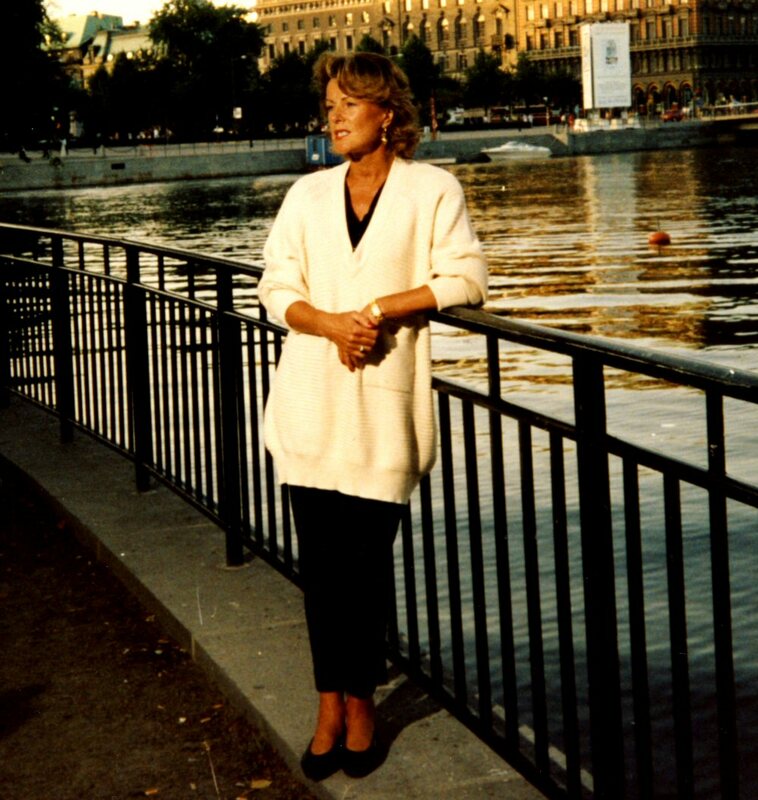 She enjoyed life and travelled a lot. 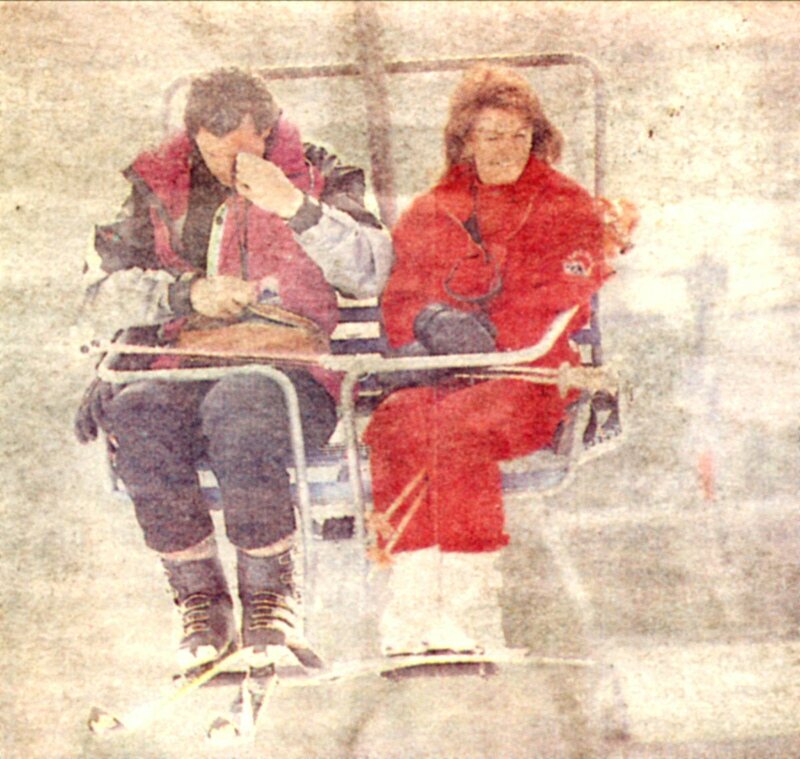 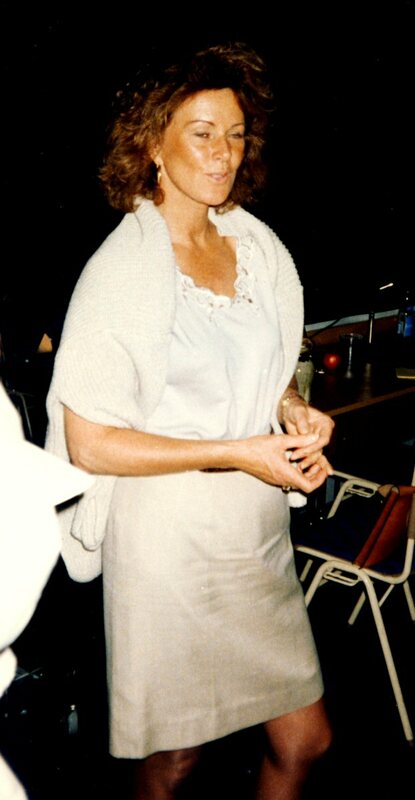 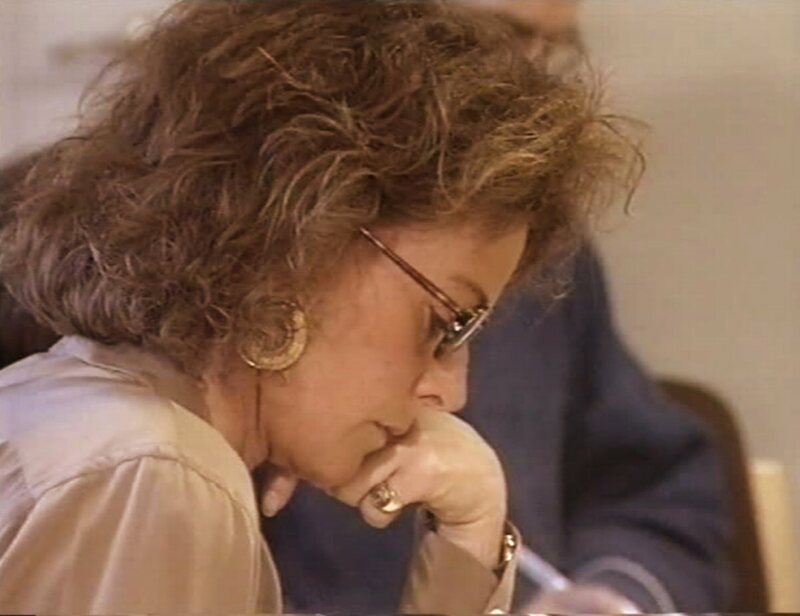 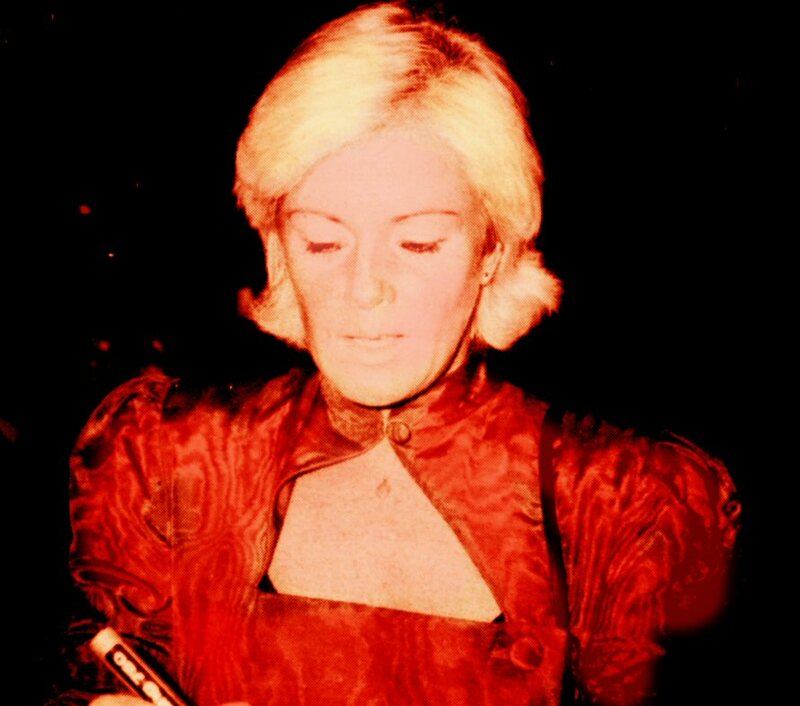 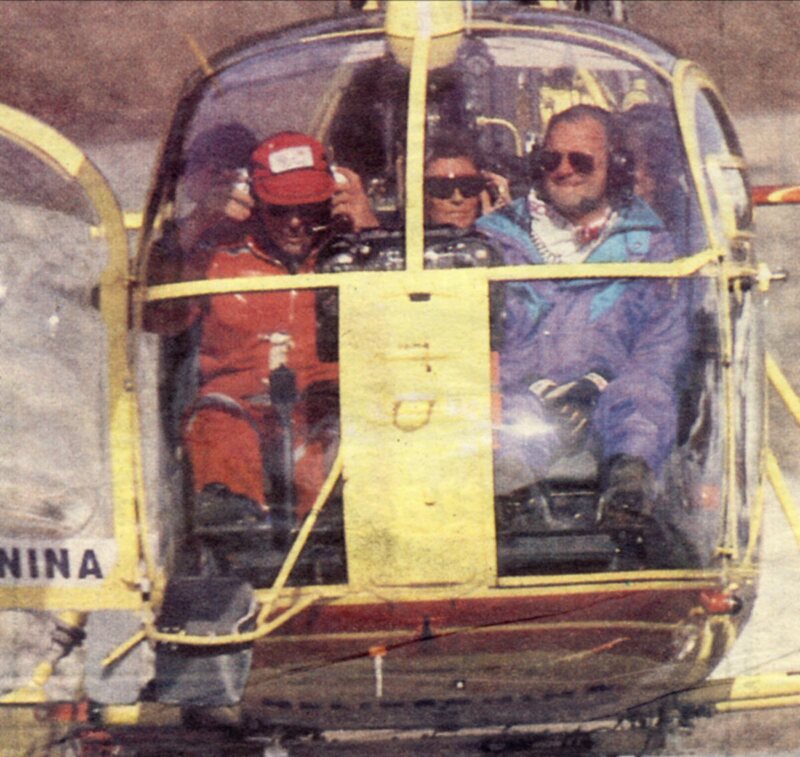 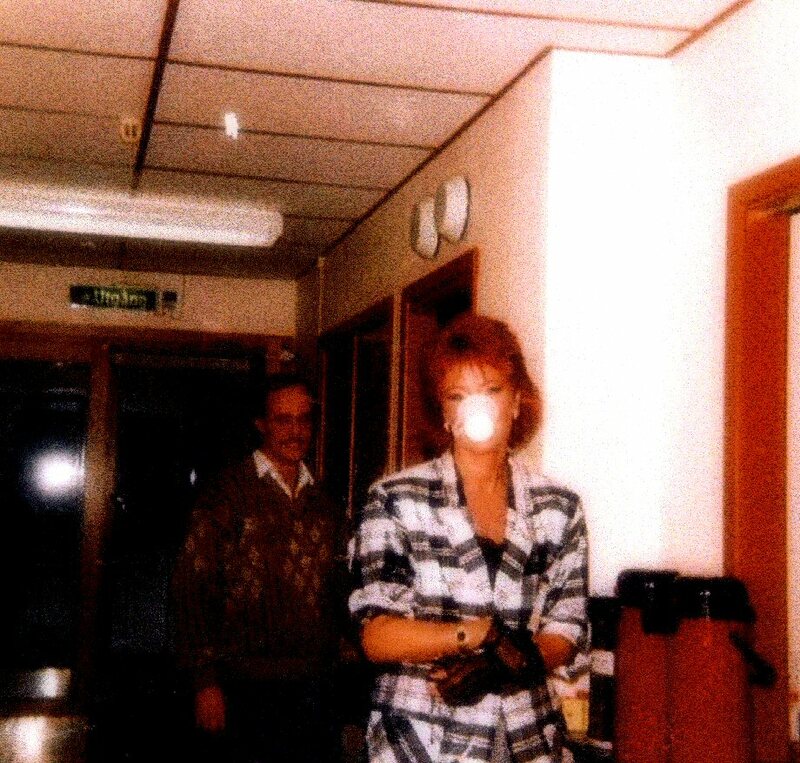 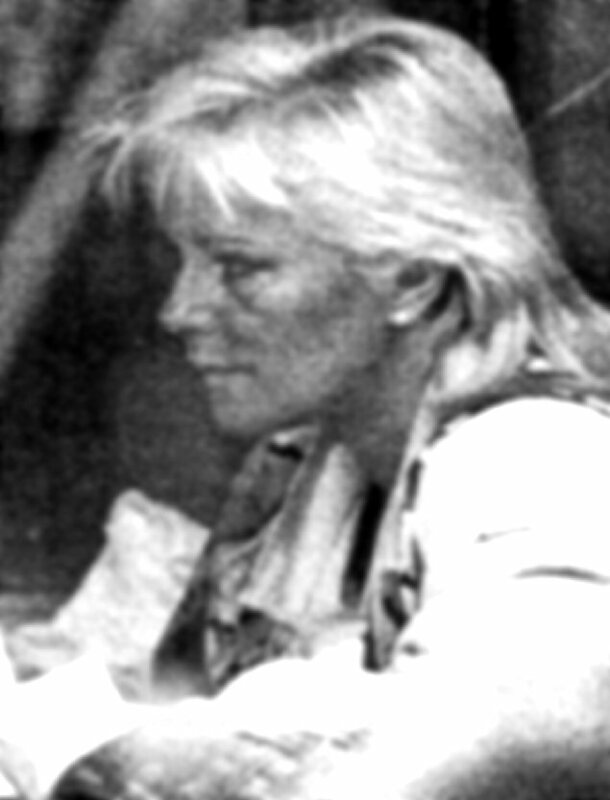 She was caught by cameras at several places in the spring and summer 1985. 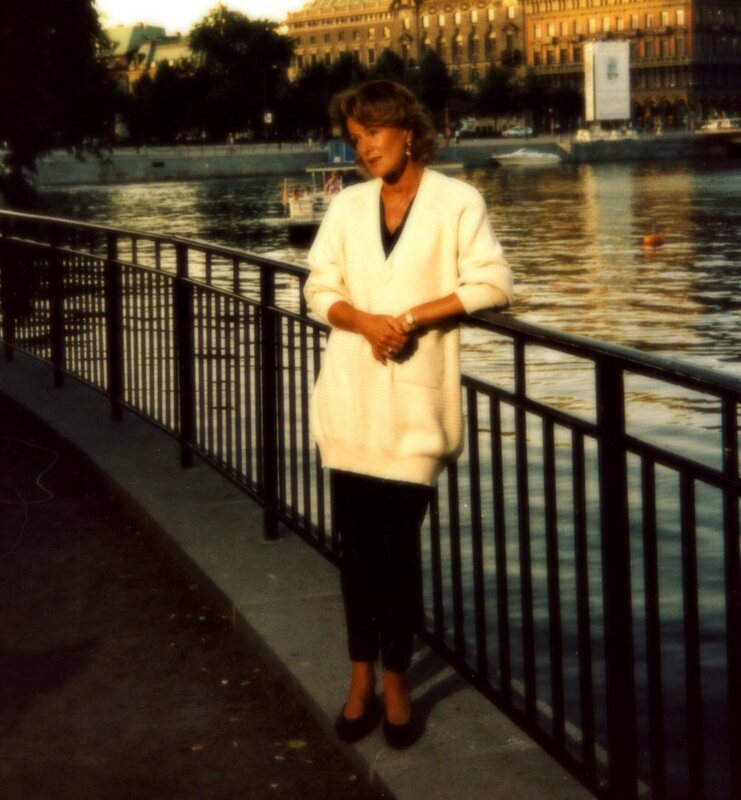 At the end of April she she visited Oslo - the capital of Norway. 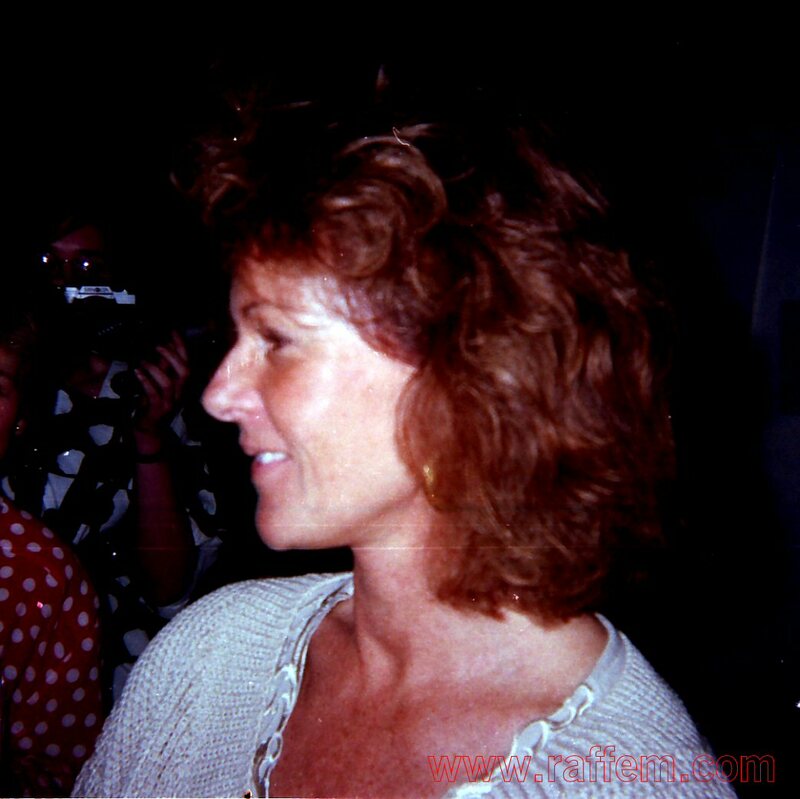 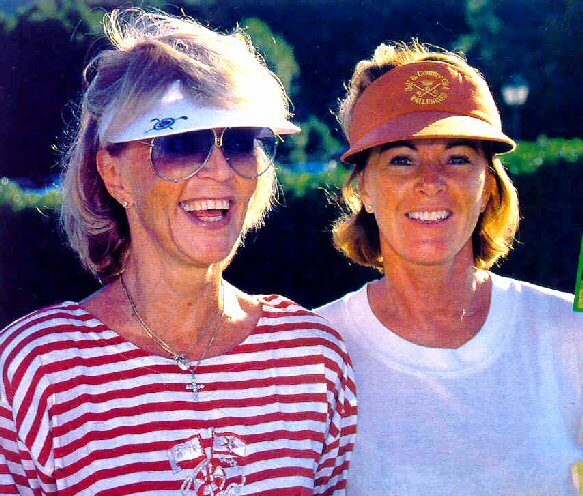 On June 8th, 1985 she was seen together with her friend Charlotte Klingspoor in Gothenburg in Sweden on the Nya Ullevi stadium where the US star Bruce Springsteen had his concert. 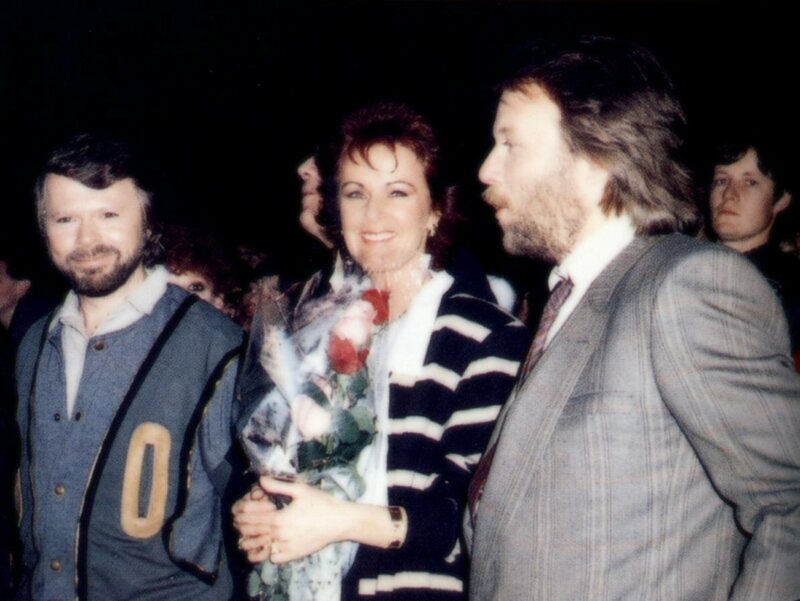 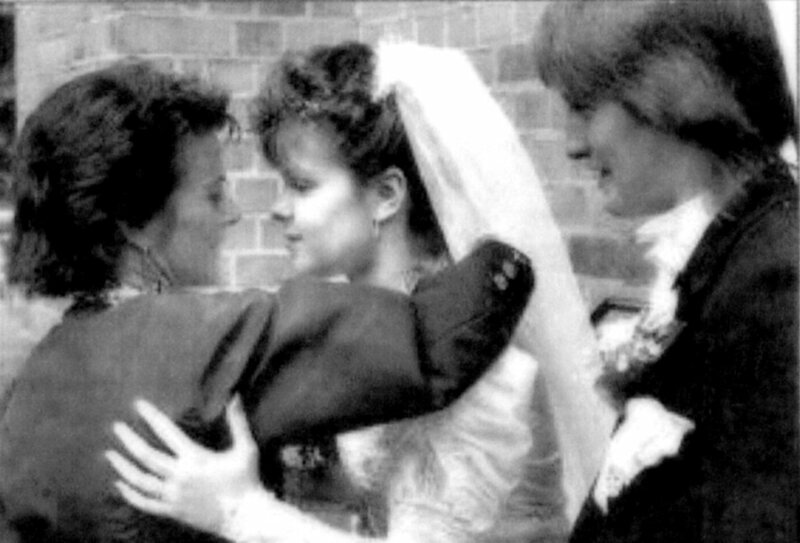 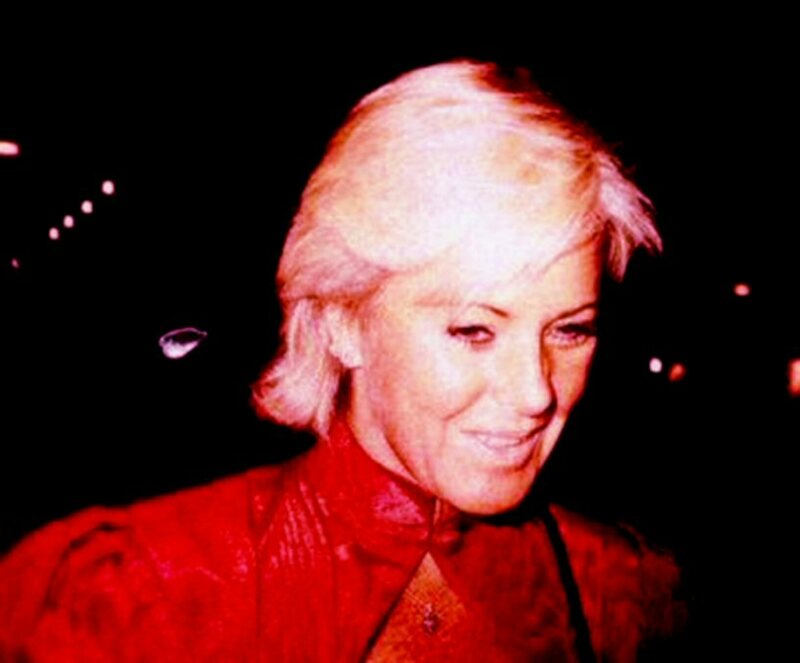 On October 5th, 1985 Frida, Stig and Görel were in London to see the musical "Les Miserables". 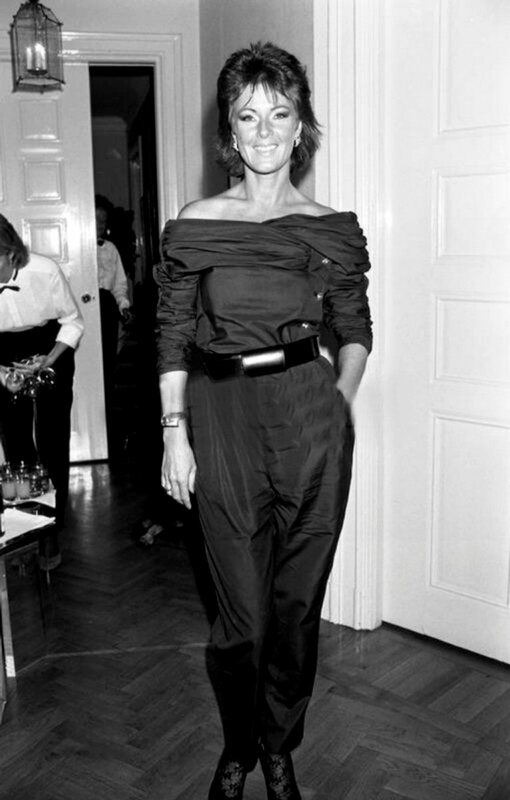 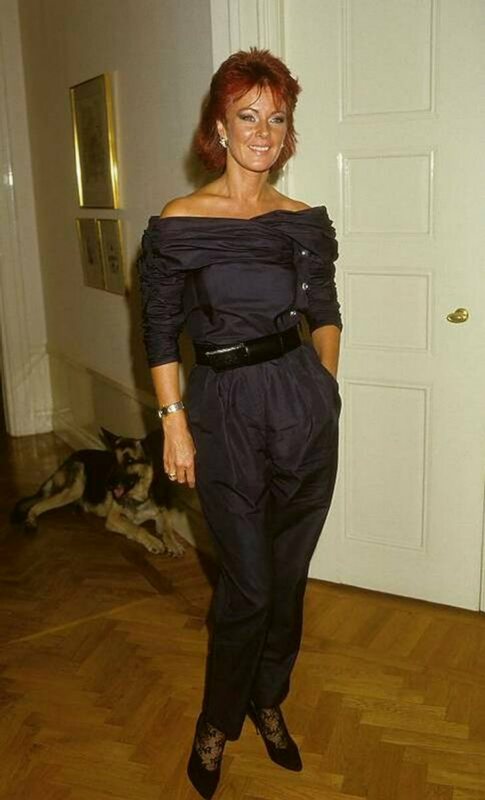 On November 15th, 1985 Frida celebrated her 40th birthday in Paris. 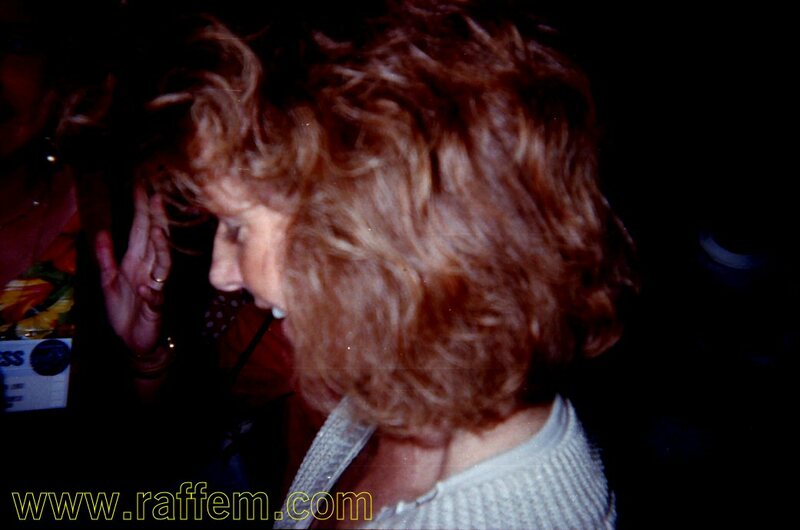 The celebration lasted for two days - Friday November 15th and Saturday November 16th. 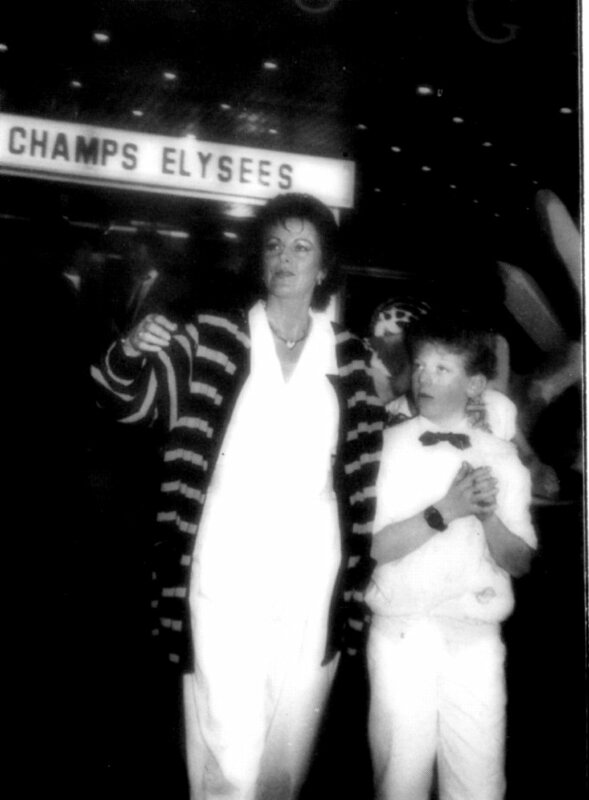 All guests arrived on Friday morning and a special buss picked them up at the airport and drove to a hotel in Montmartre in Paris. 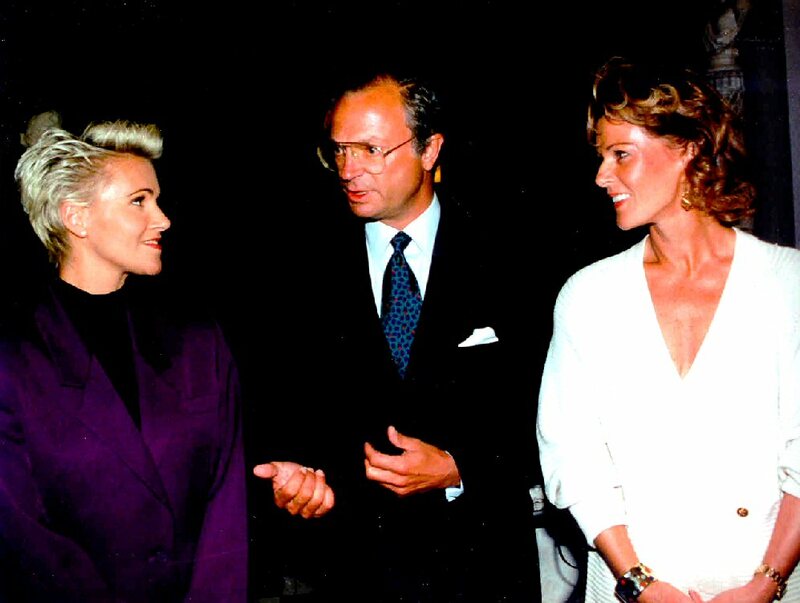 Among the guests from Sweden there were: Marie and Tomas Ledin, Görel Hanser and Claes af Geijerstam. 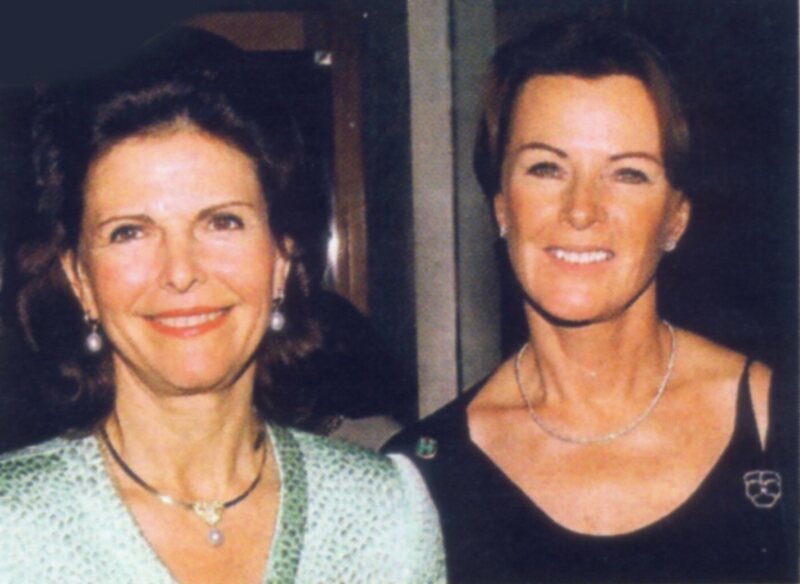 Frida's daughter Lotta came from London where she studied by that time. 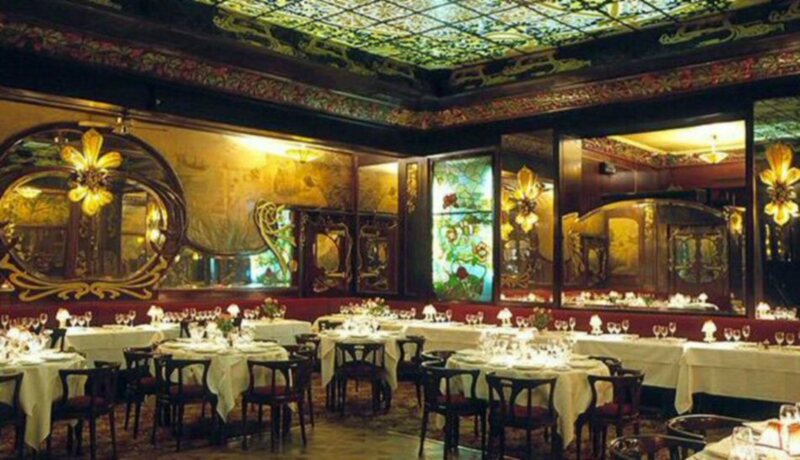 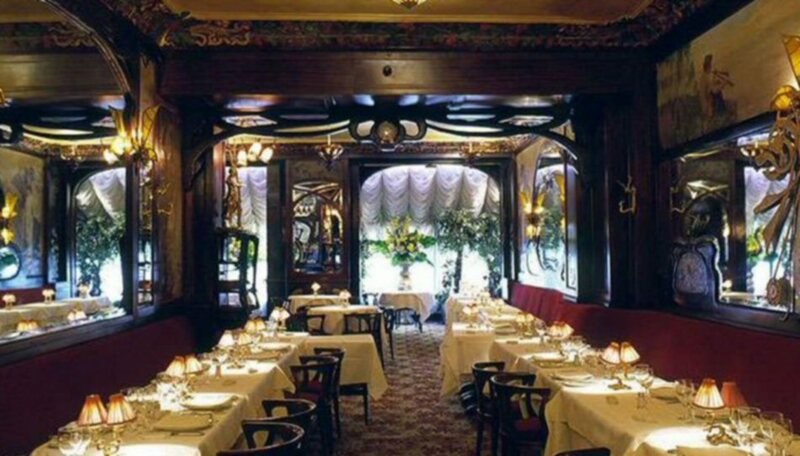 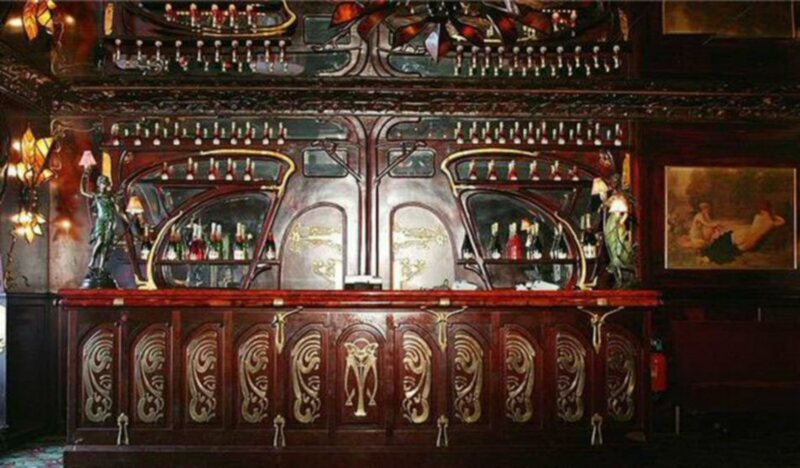 The first evening Frida was celebrated at the night club "Chez Castel" and the second night at "Maxim". 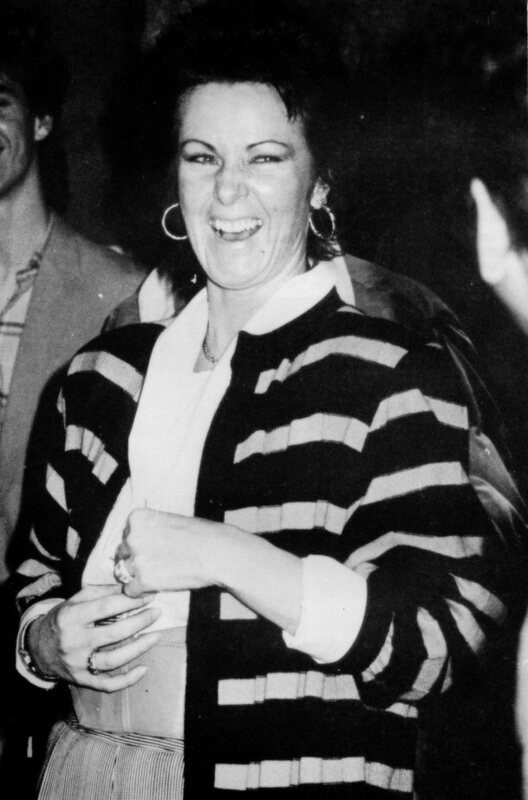 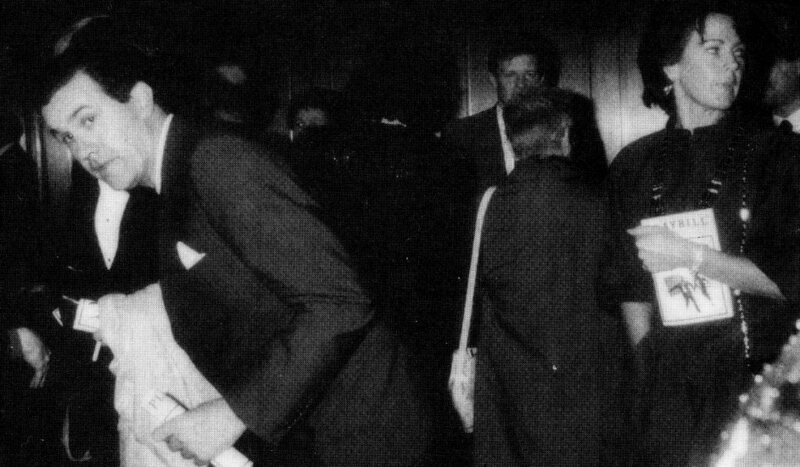 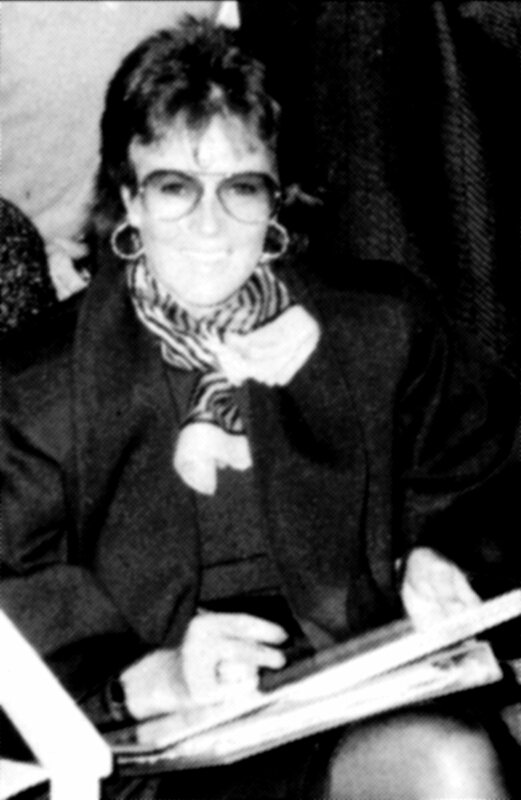 On May 14, 1986 Frida attended the UK premiere of the musical "Chess" in London. 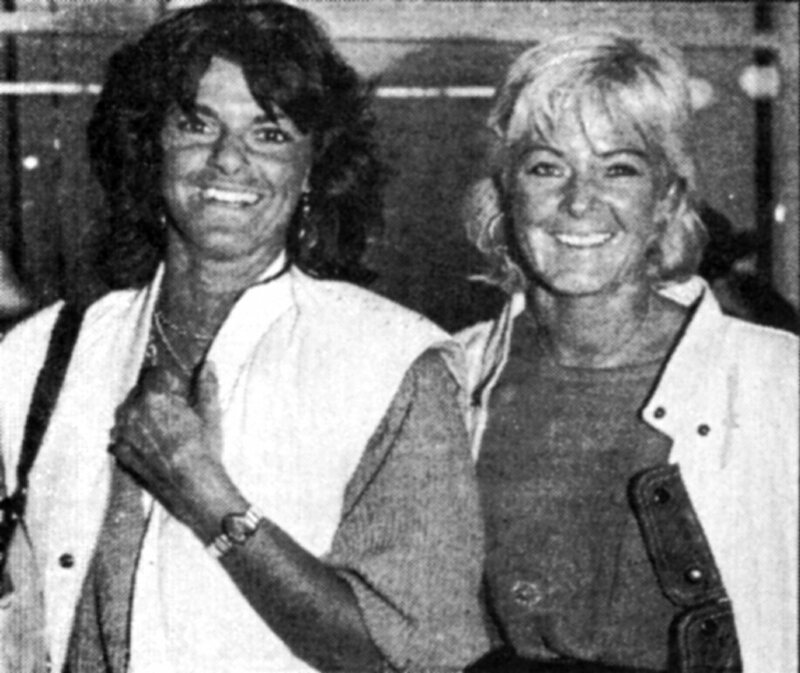 The Swedish pop group Ratata invited Anni-Frid to participate on one of the tracks for their new album "Mellan dröm och verklighet" (Between dream and reality). 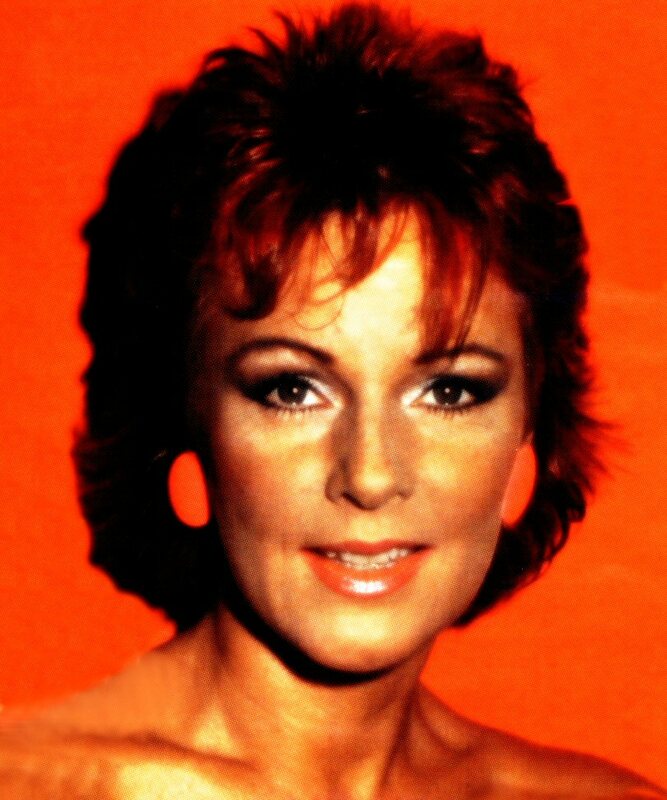 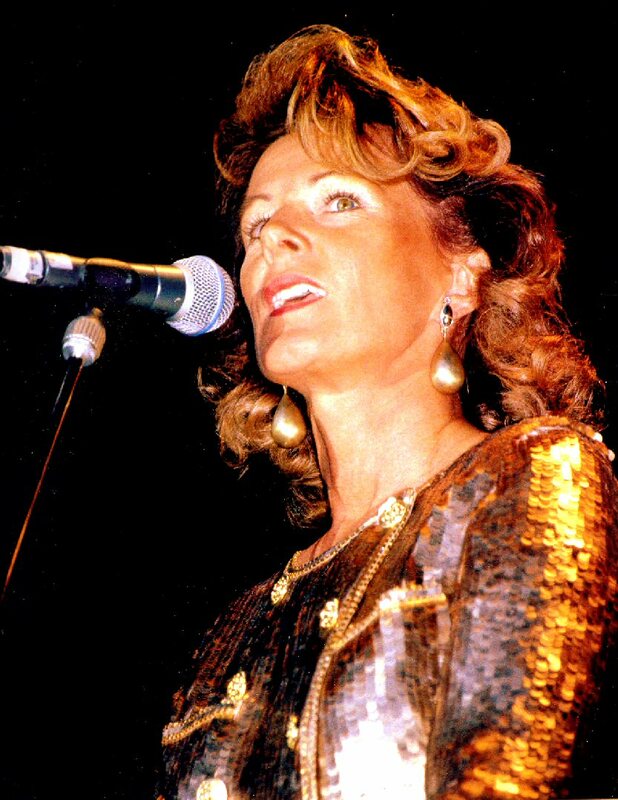 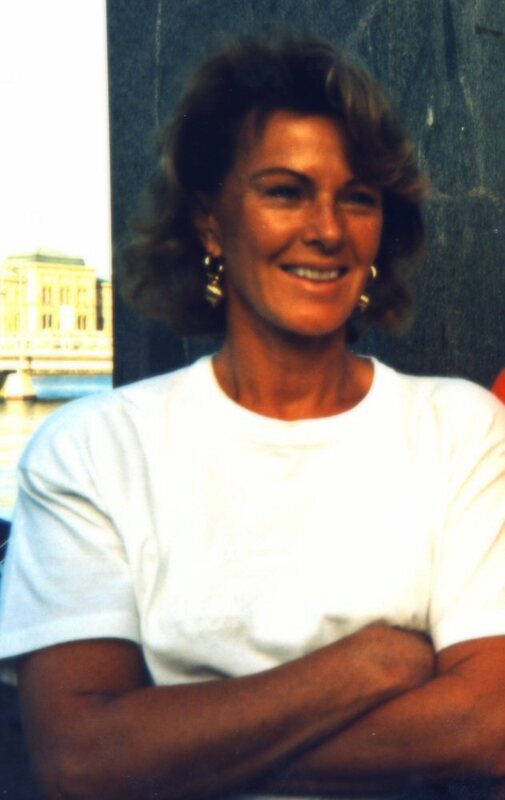 Anni-Frid accepted the invitation and Swedish and English versions of the song "Så länge vi har varann" were recorded. 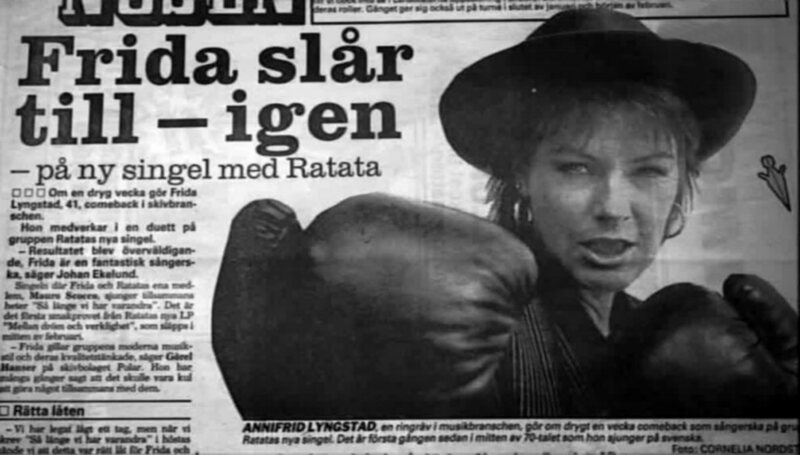 The single was released on January 20th, 1987 and it became a big hit in Sweden. 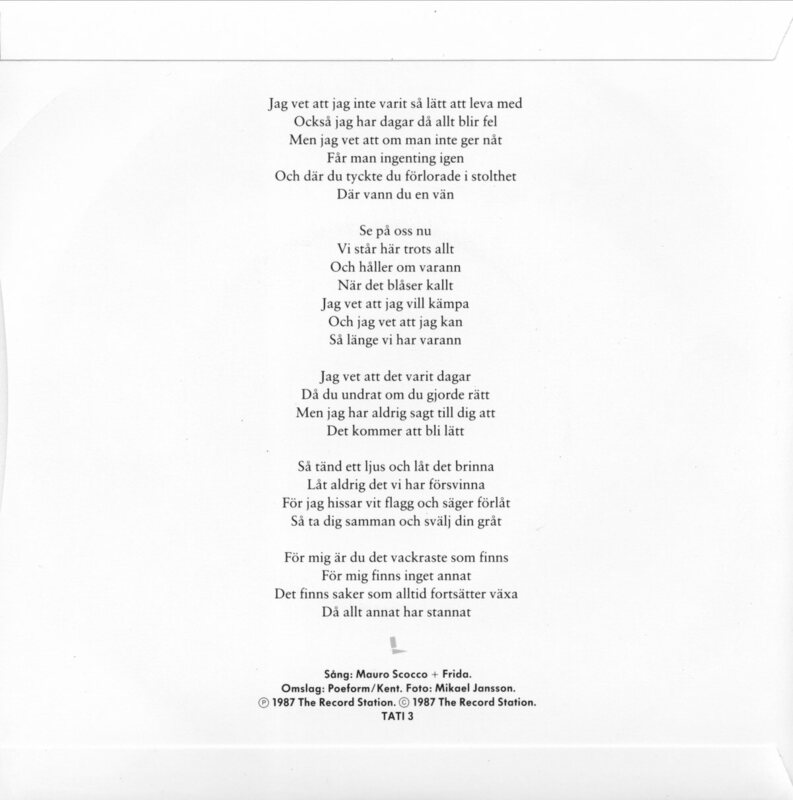 The English version of the song was released as a B-side of the SP "Om du var här" released on June 3rd, 1987. 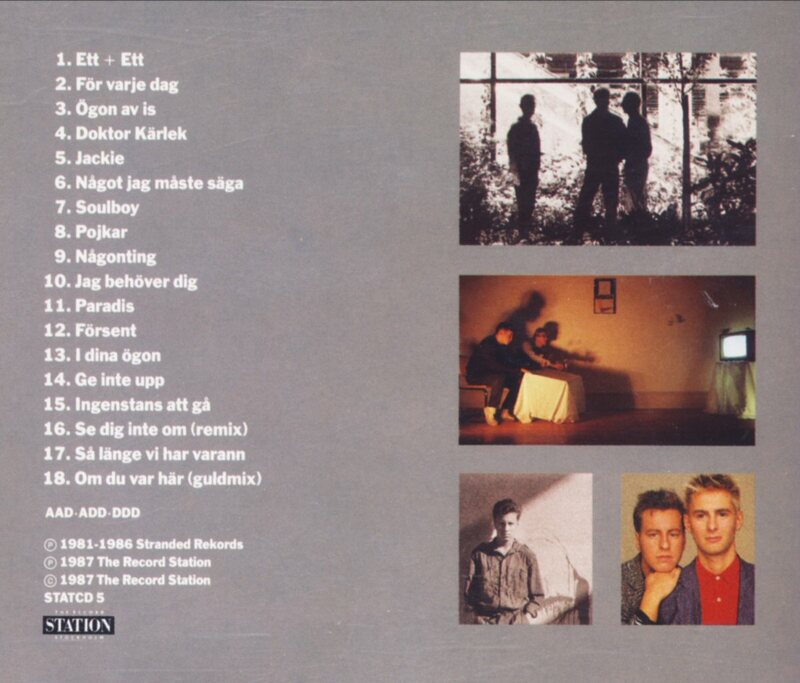 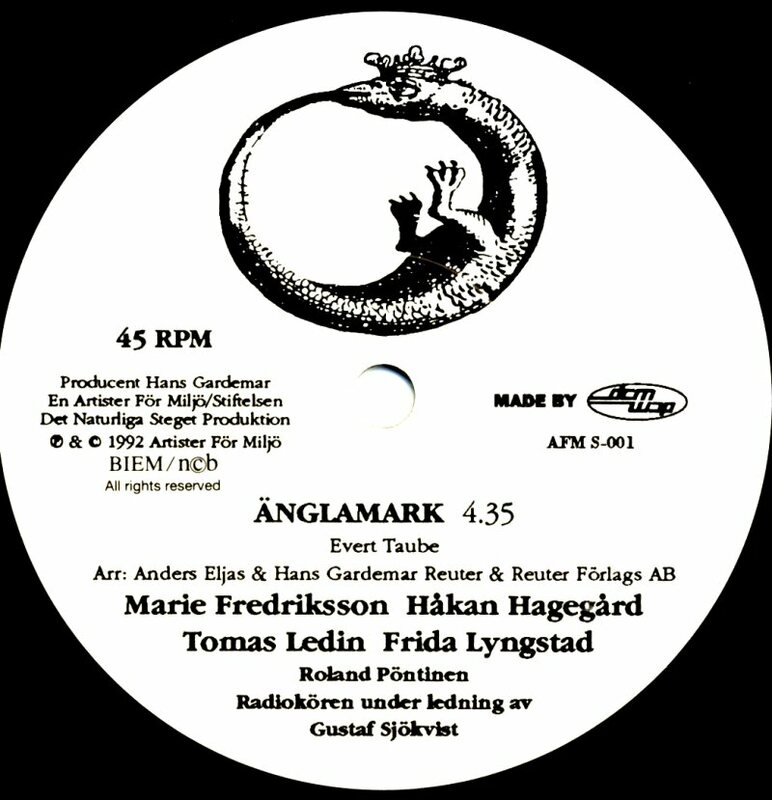 "Så länge vi har varann" was even available on LP & CD "Mellan dröm och verklighet" which was released on February 10th, 1987. 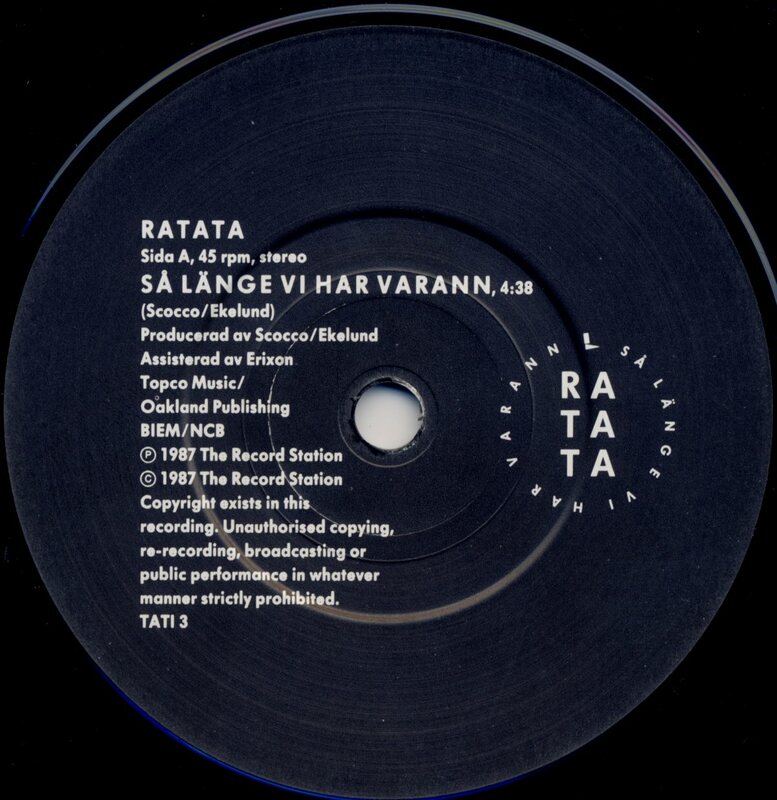 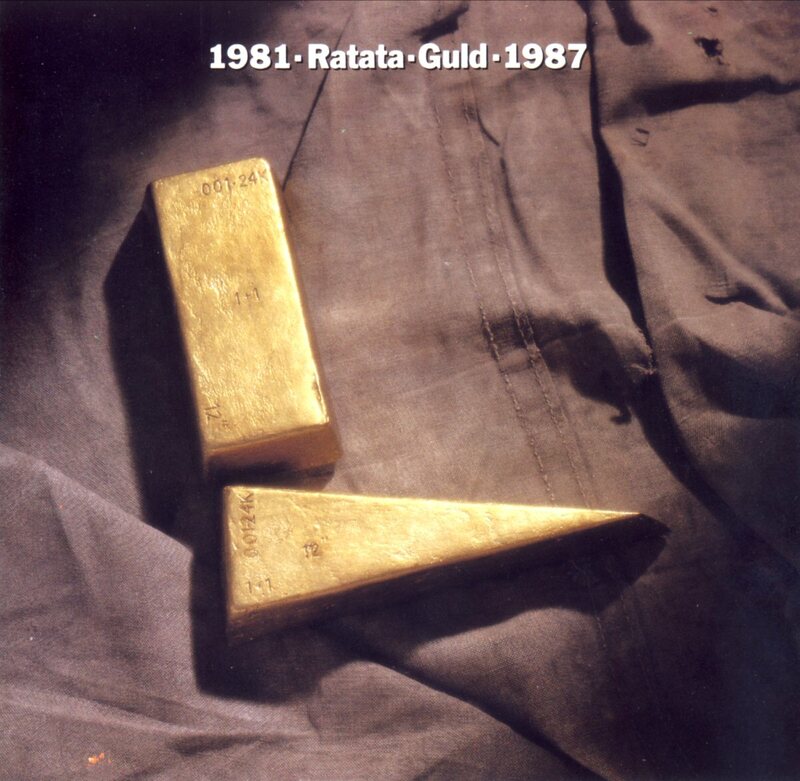 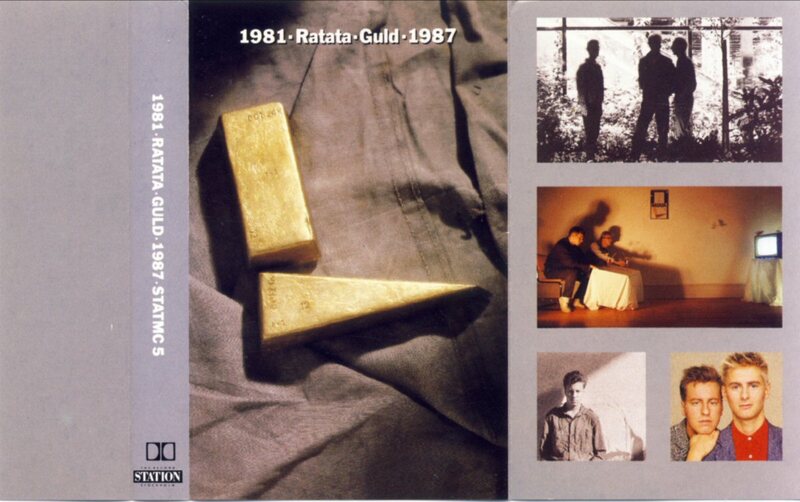 Later in 1987 a compilation album "Ratata Guld 1981-1987" was released and "Så länge vi har varann" appeared even there. 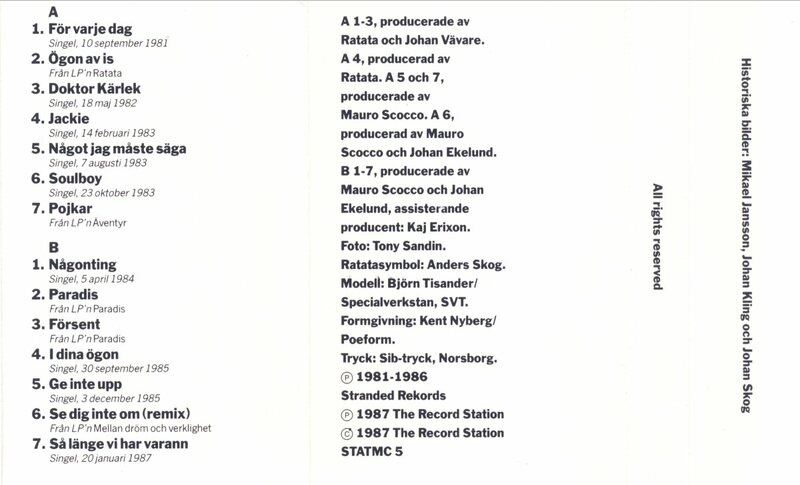 "Så länge vi har varann" was the opening track on the 1987 Swedish compilation CD "Love tracks 2"
The song was even promoted with a new video featuring Frida and Mauro Scocco. 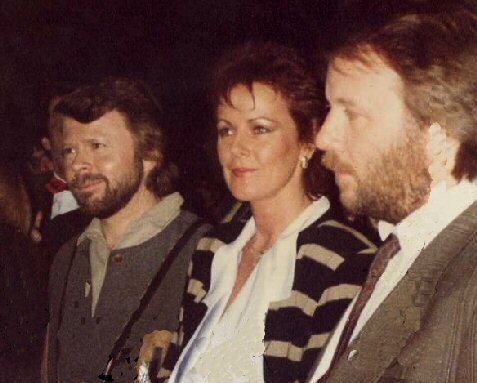 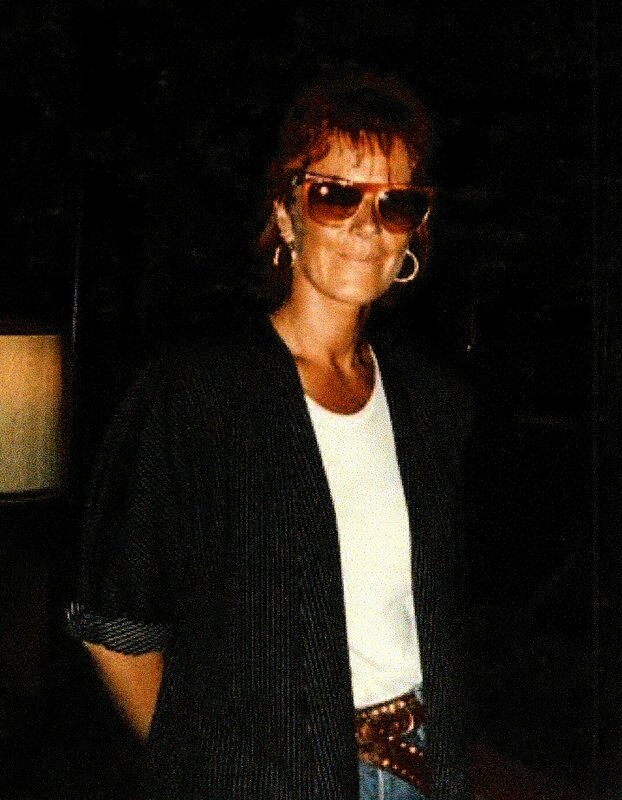 In autumn 1987 Frida participated in the recording session for the title song for Benny Andersson's new LP. 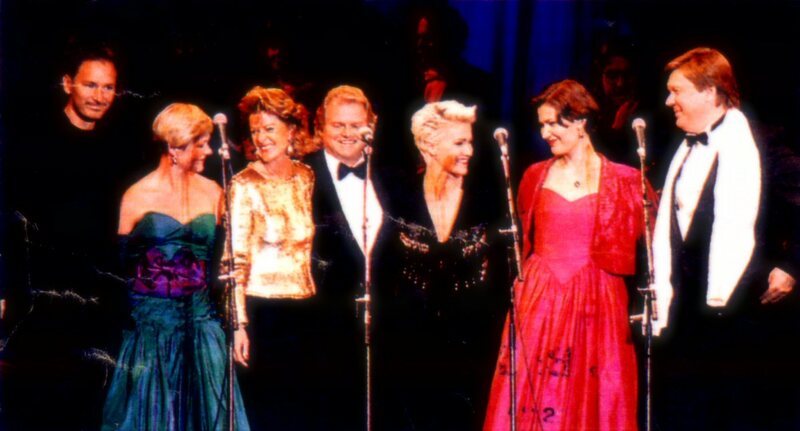 Benny invited 21 female Swedish singers for this session in Berwaldhallen in Stockholm. 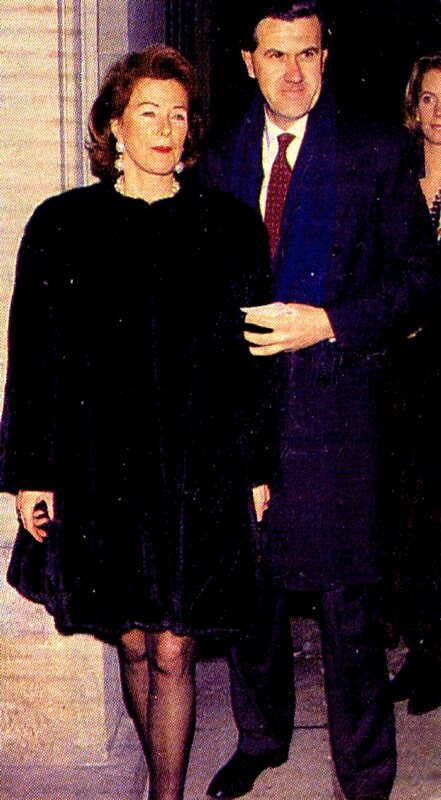 On April 28, 1988 Frida and Ruzzo attended the premiere of "Chess" on Broadway. 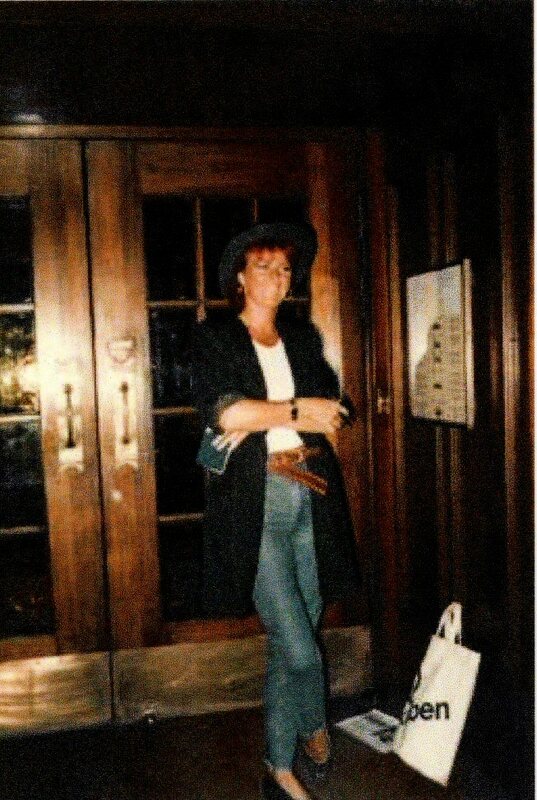 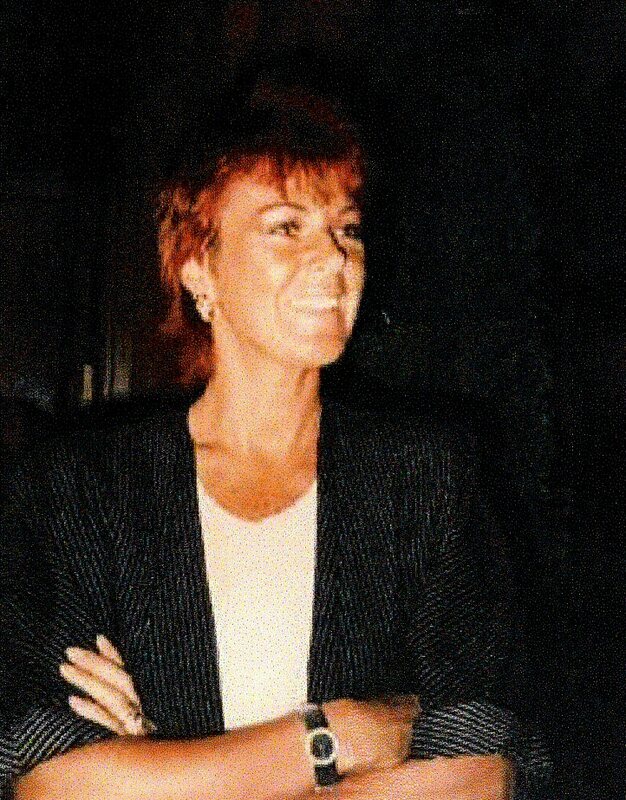 In May 1989 Frida was caught on the photo outside the Mayfair hotel in London by a fan. 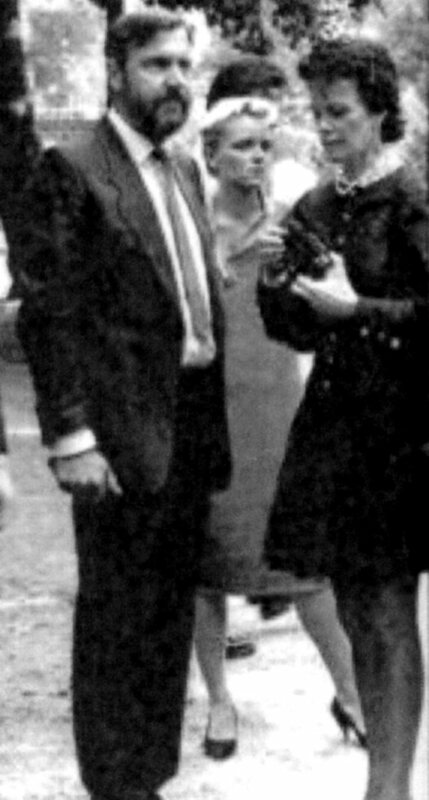 One of the rare photos from the period. 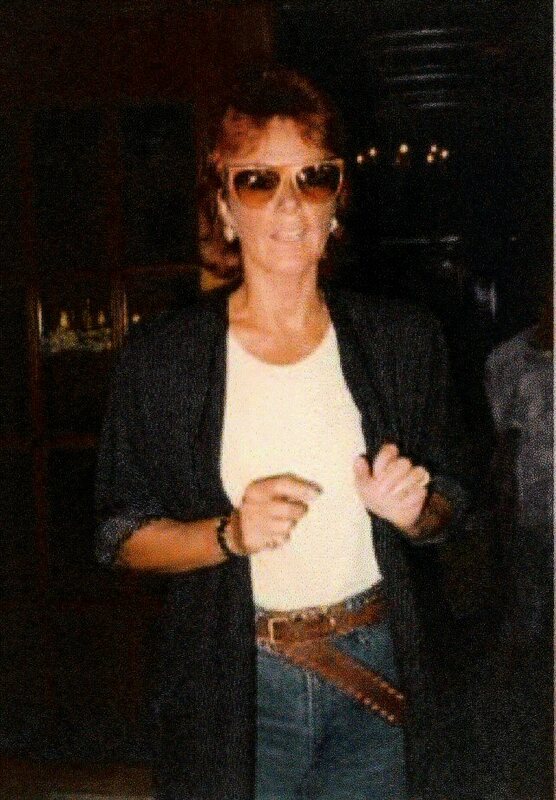 Even the other photo seems to be from about the same period of time. 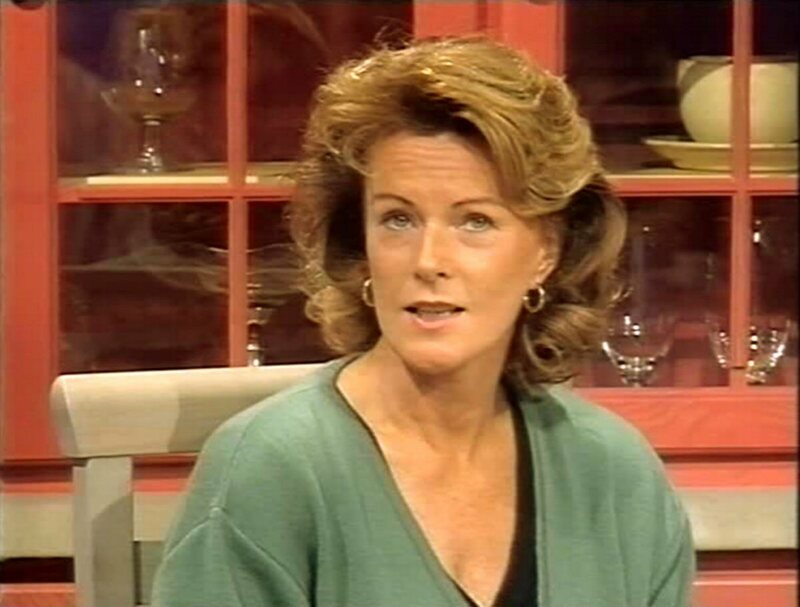 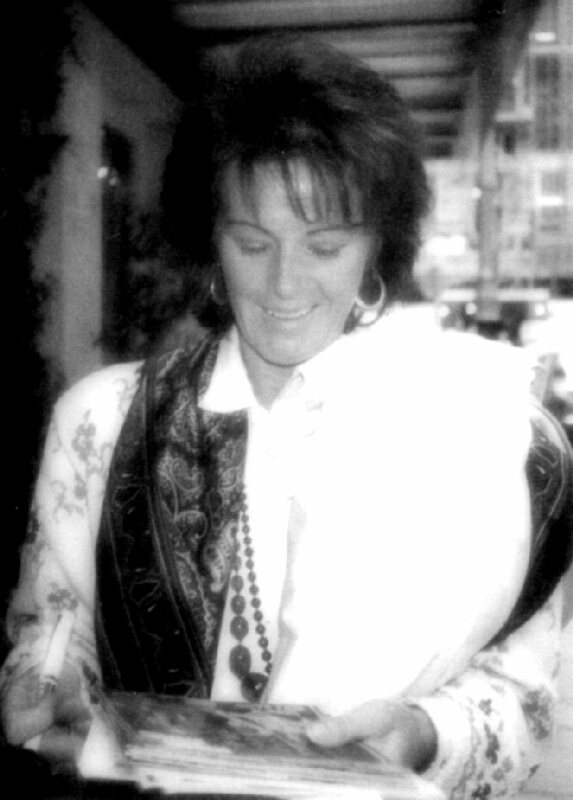 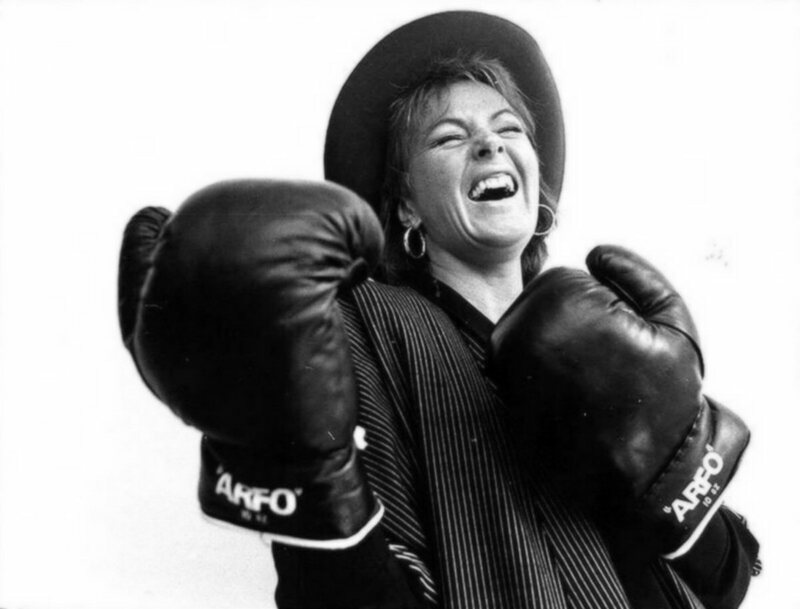 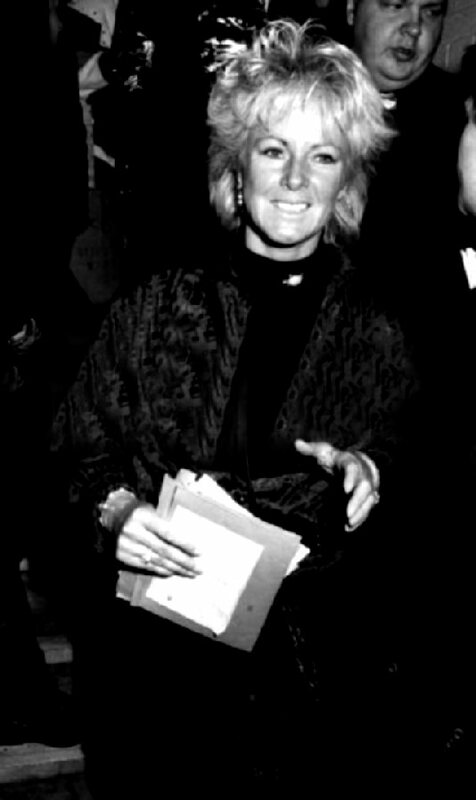 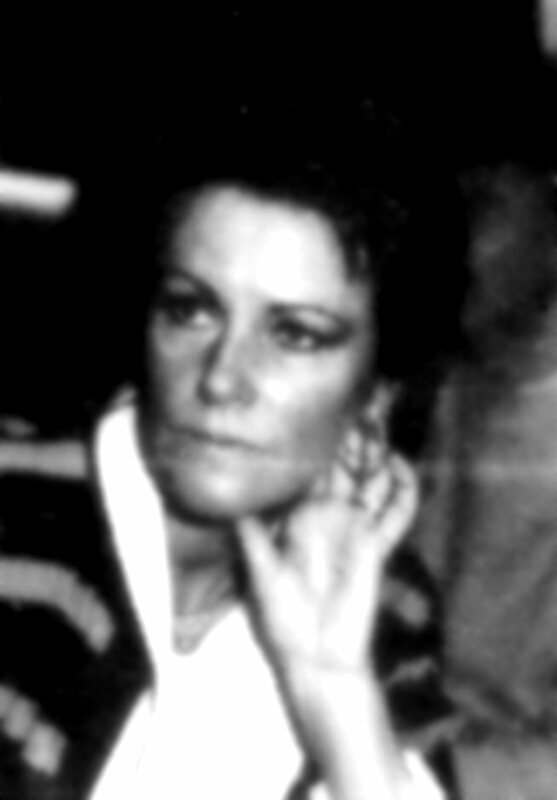 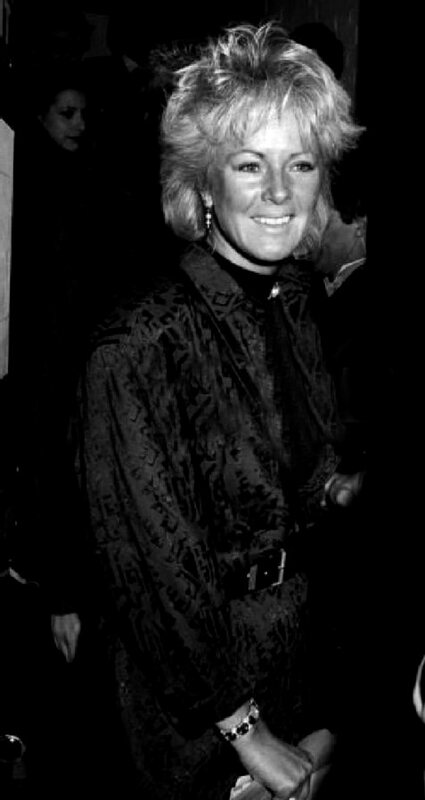 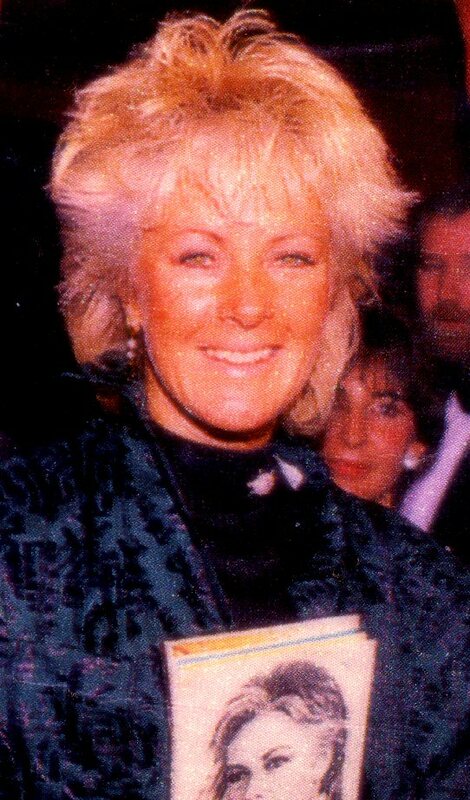 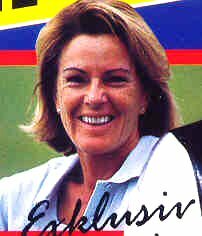 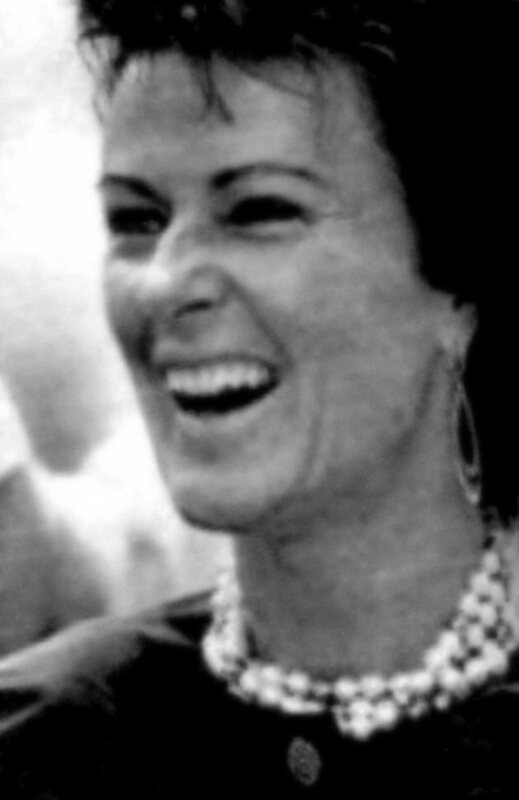 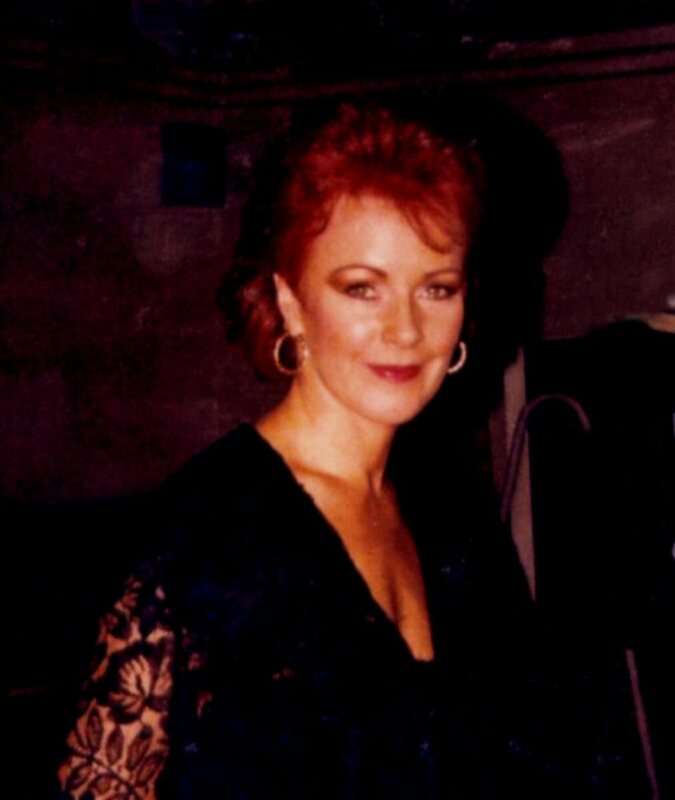 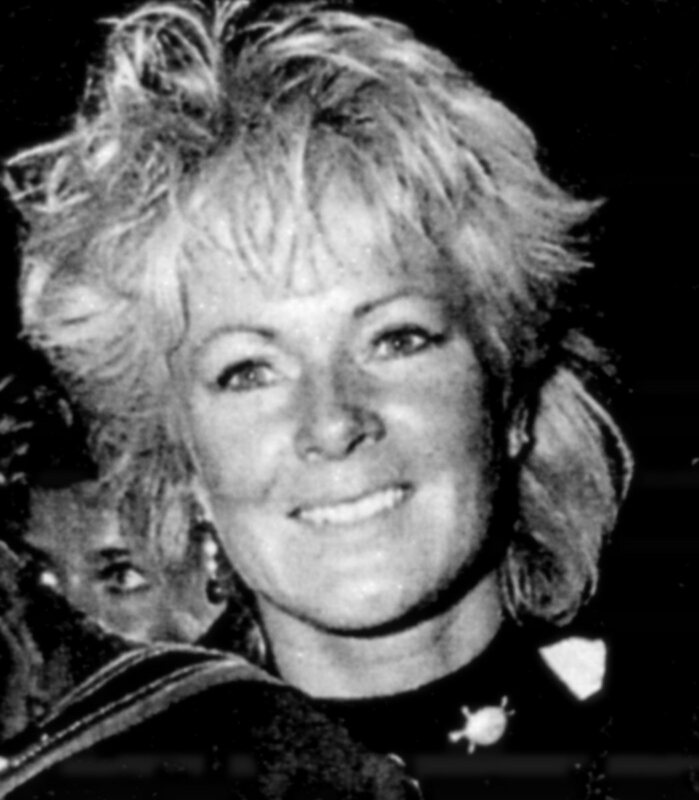 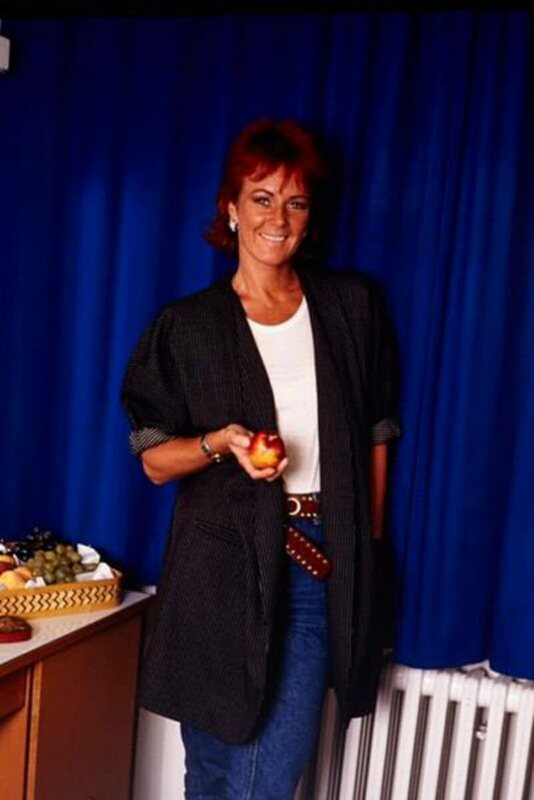 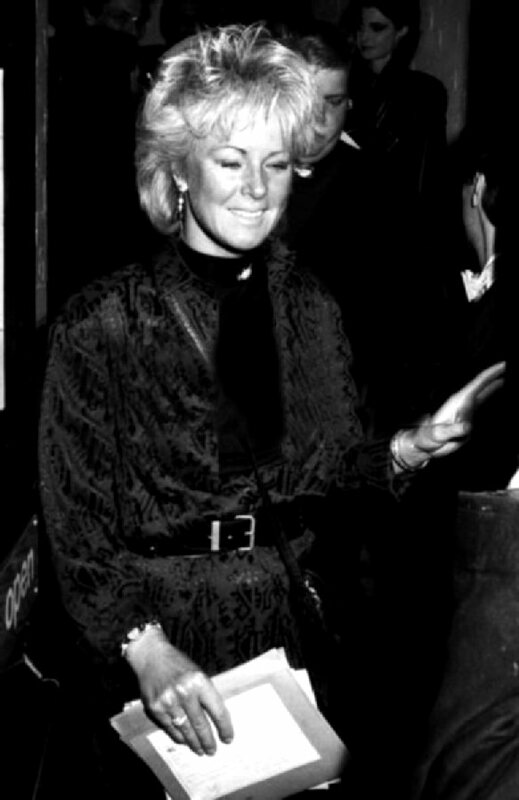 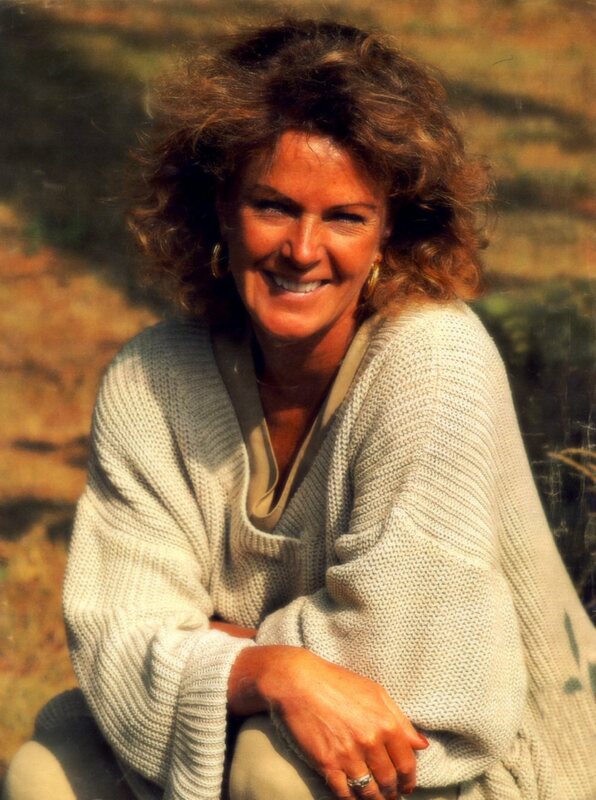 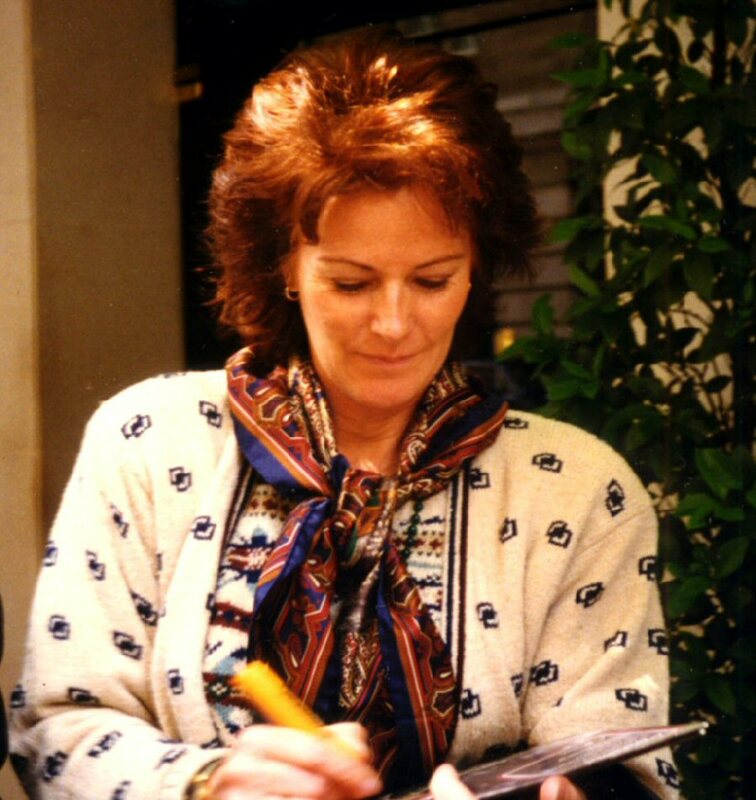 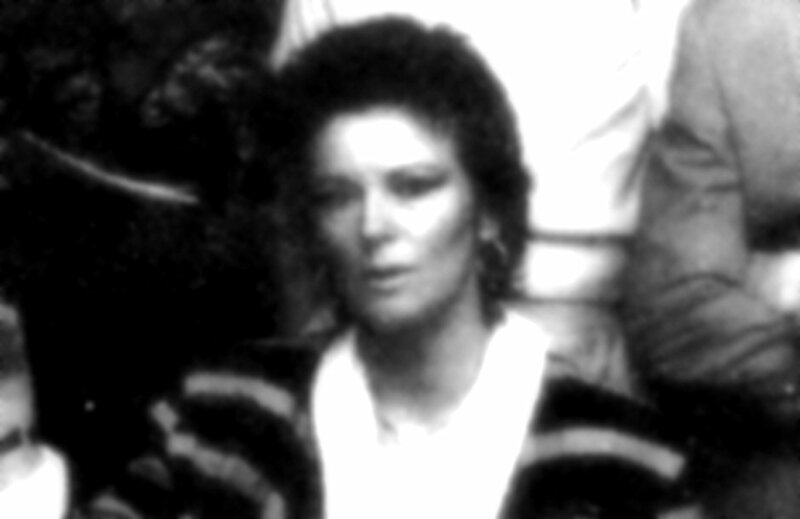 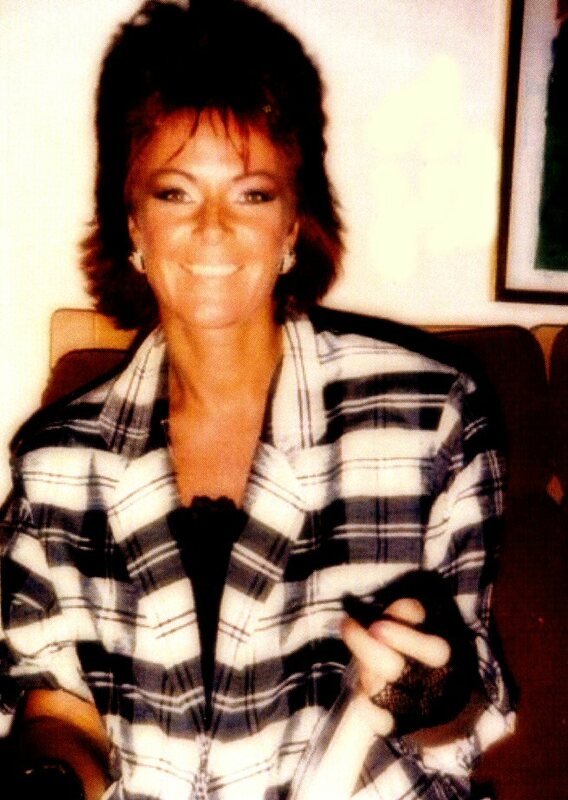 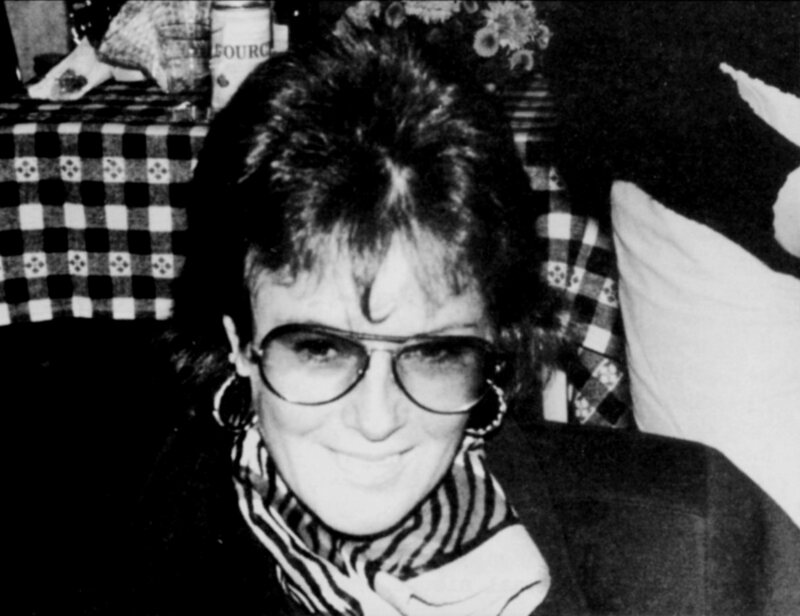 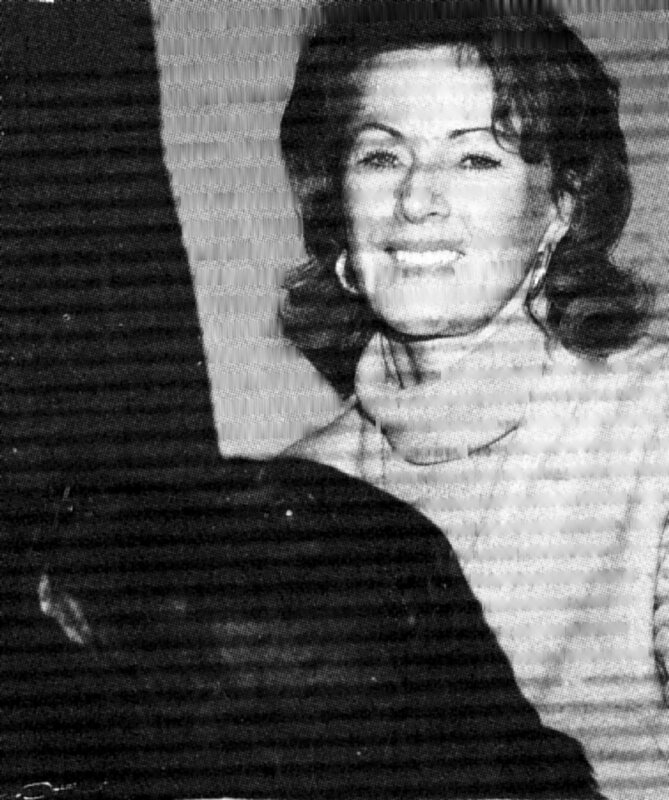 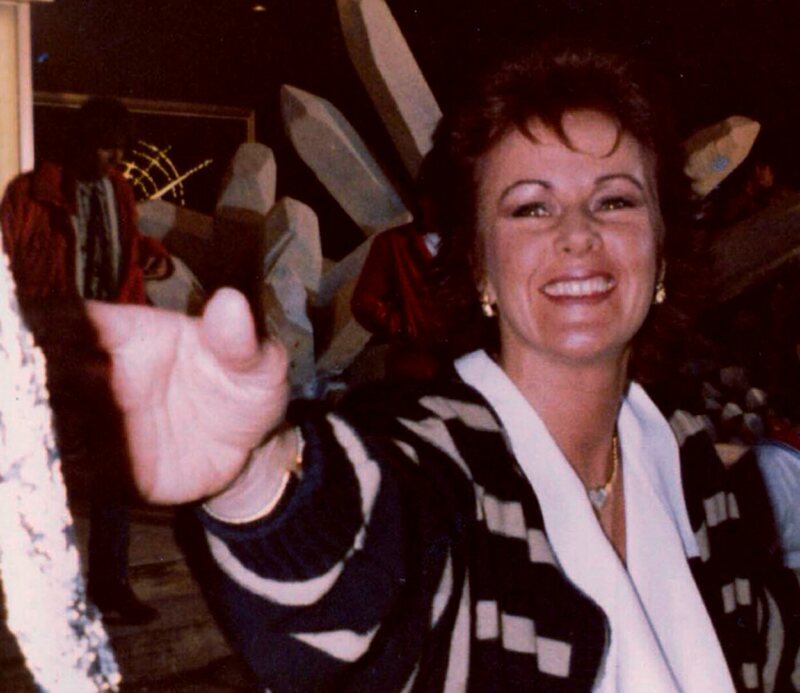 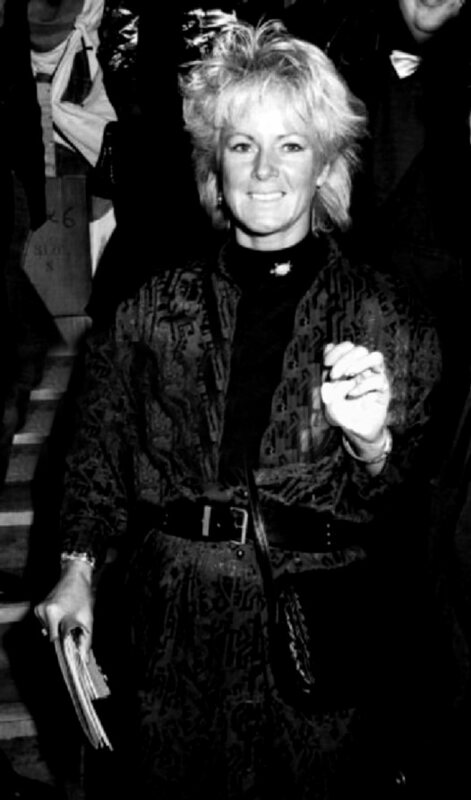 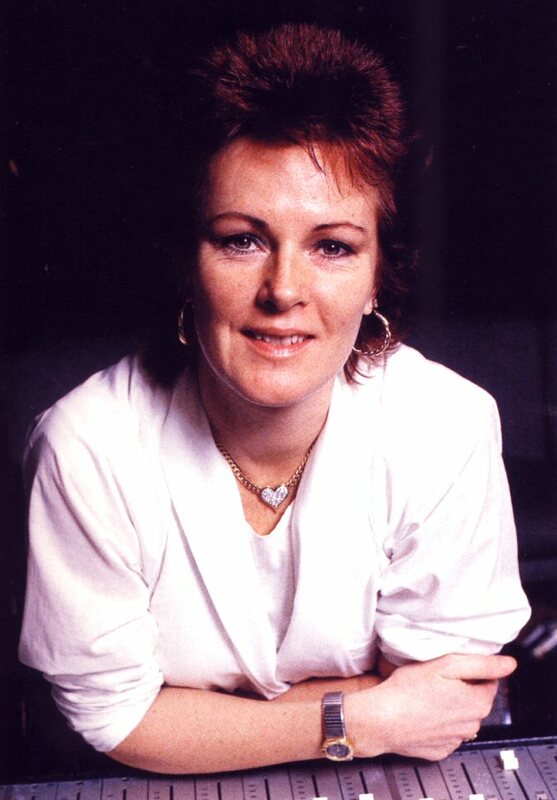 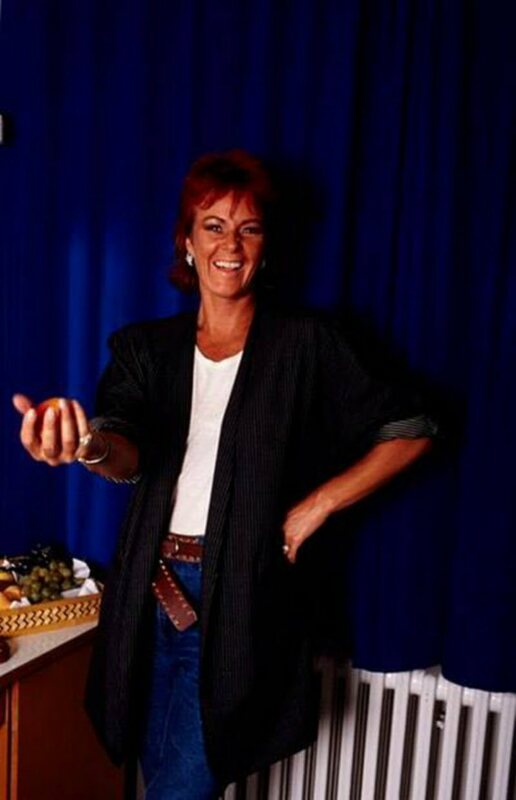 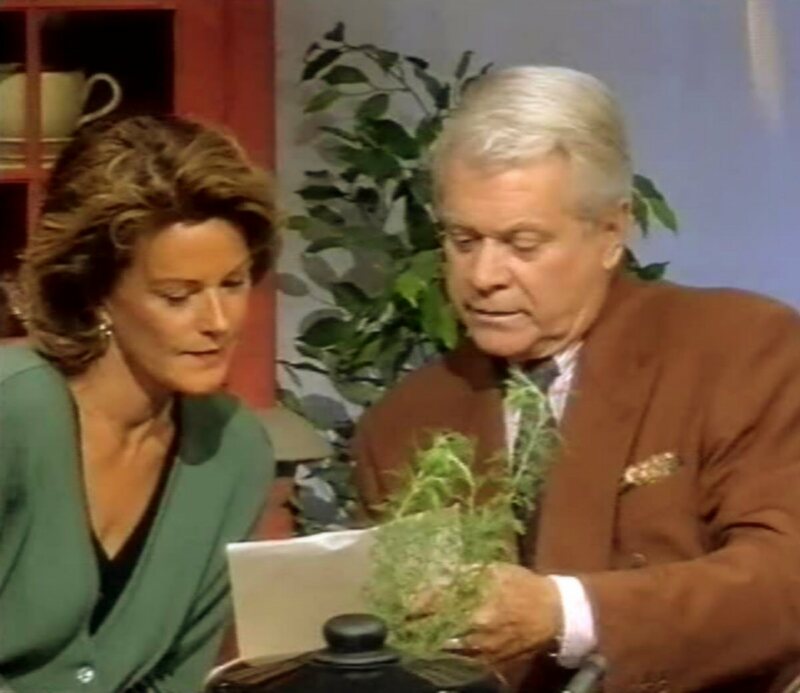 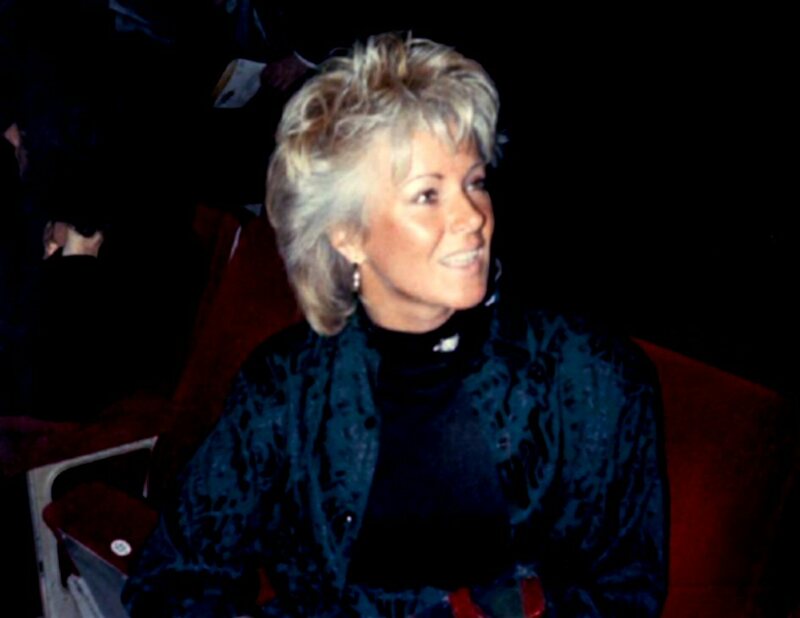 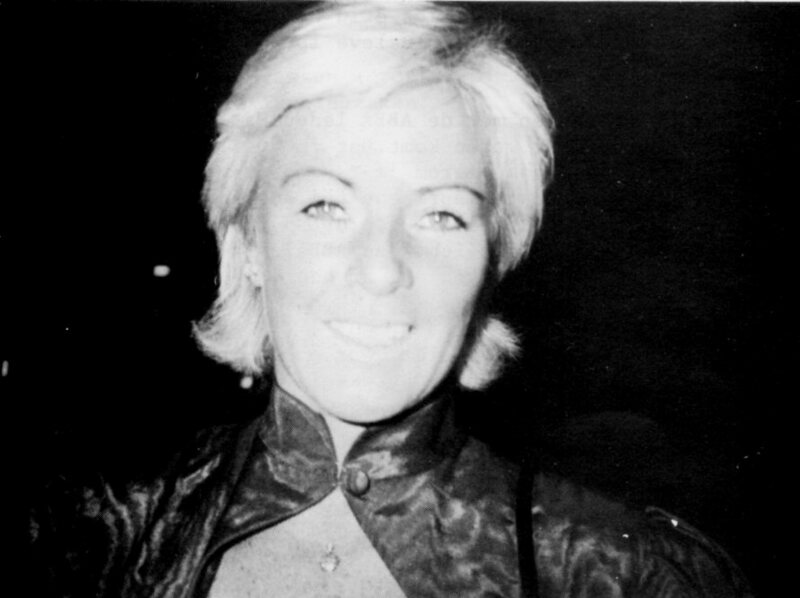 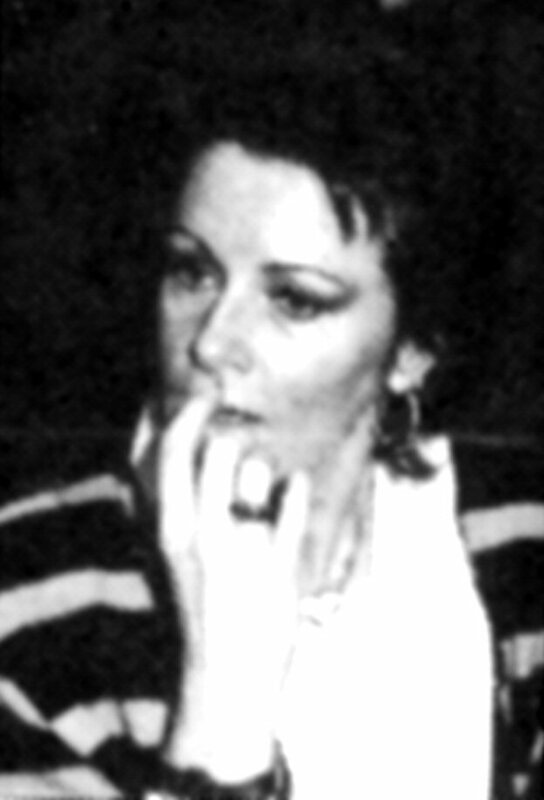 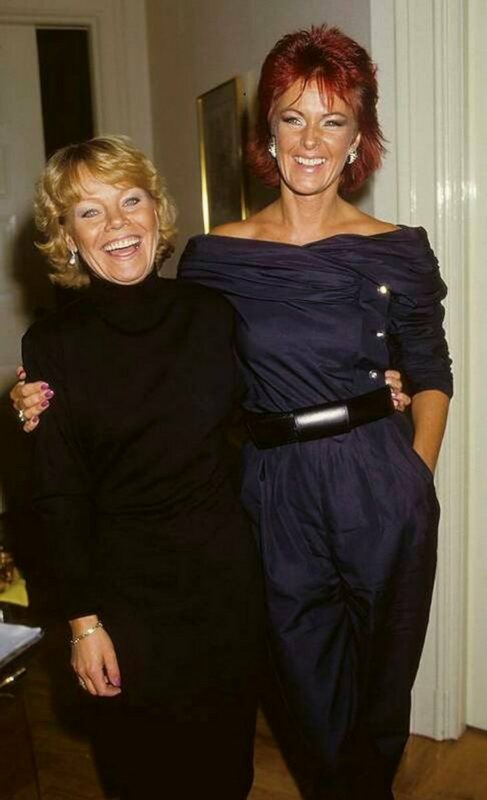 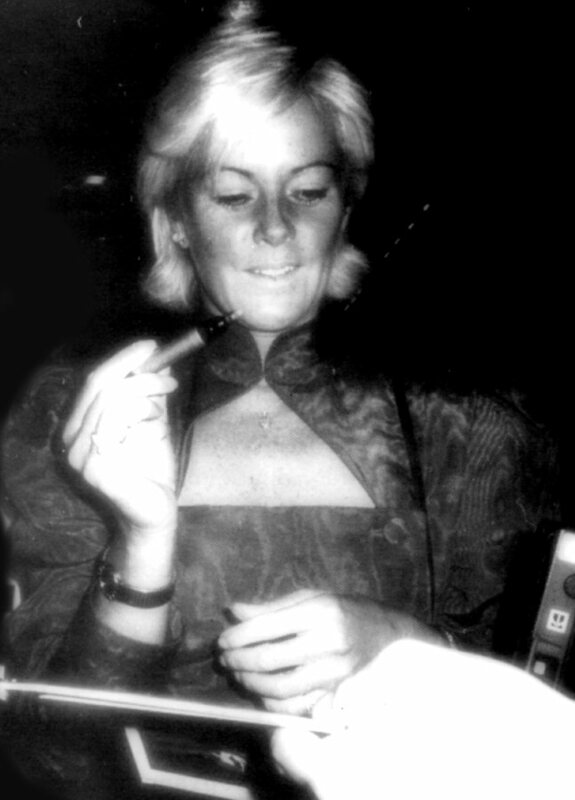 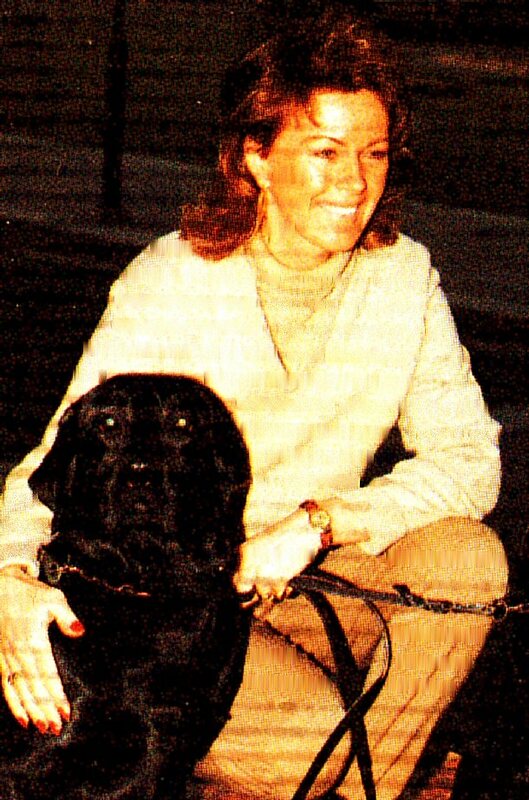 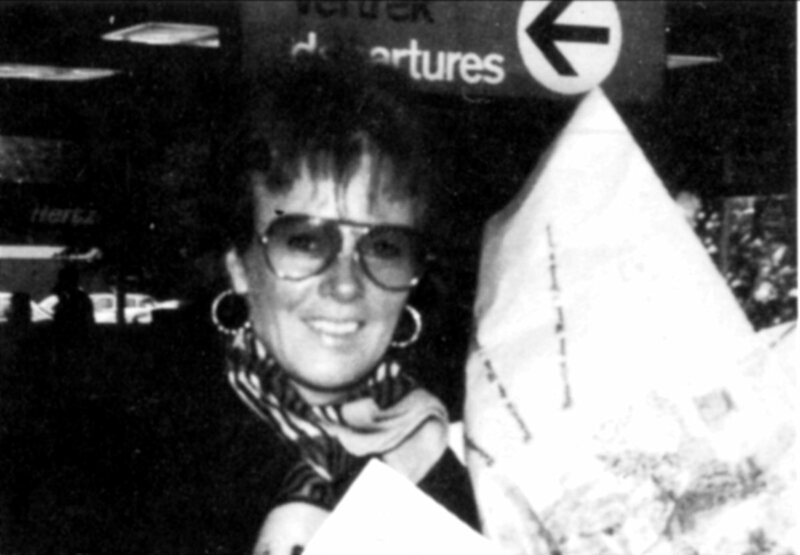 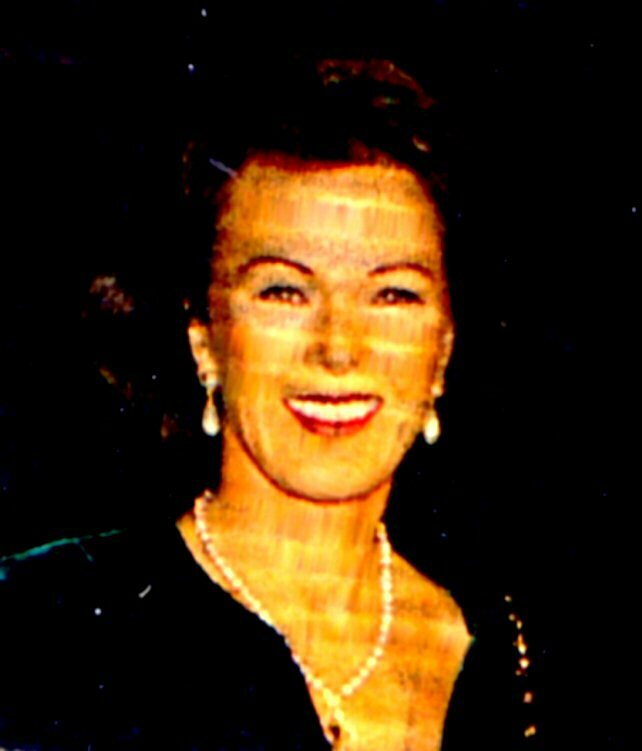 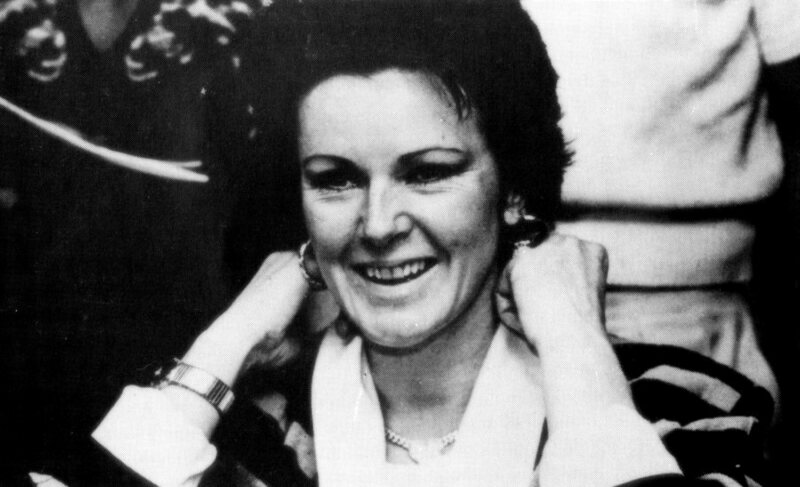 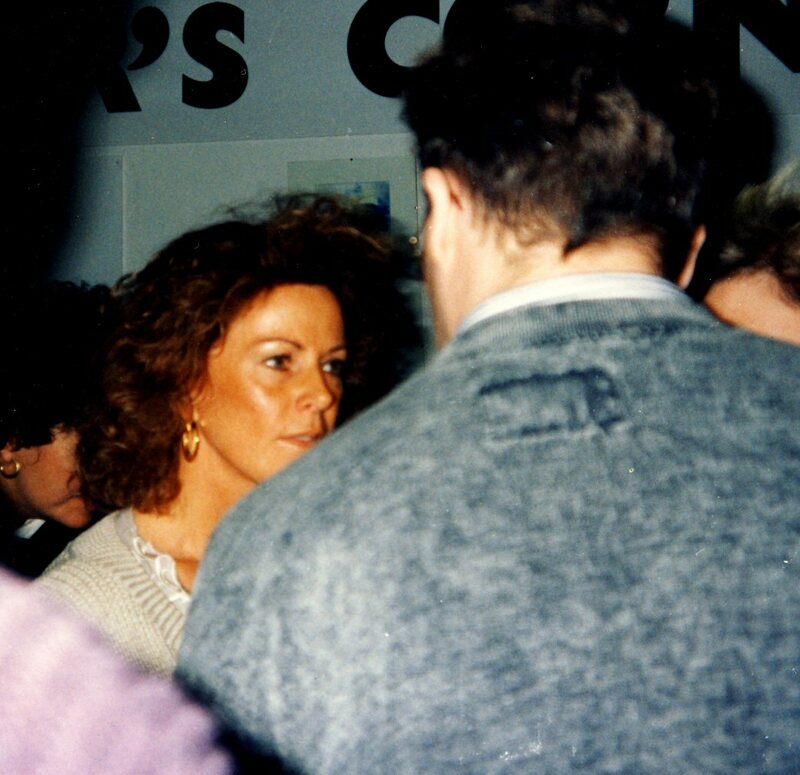 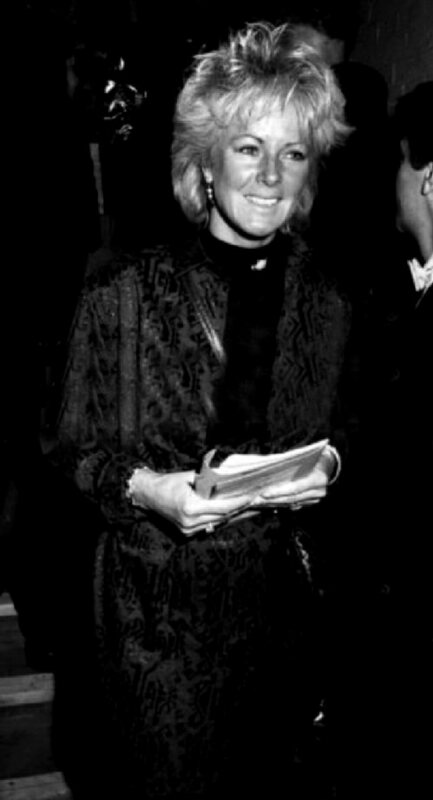 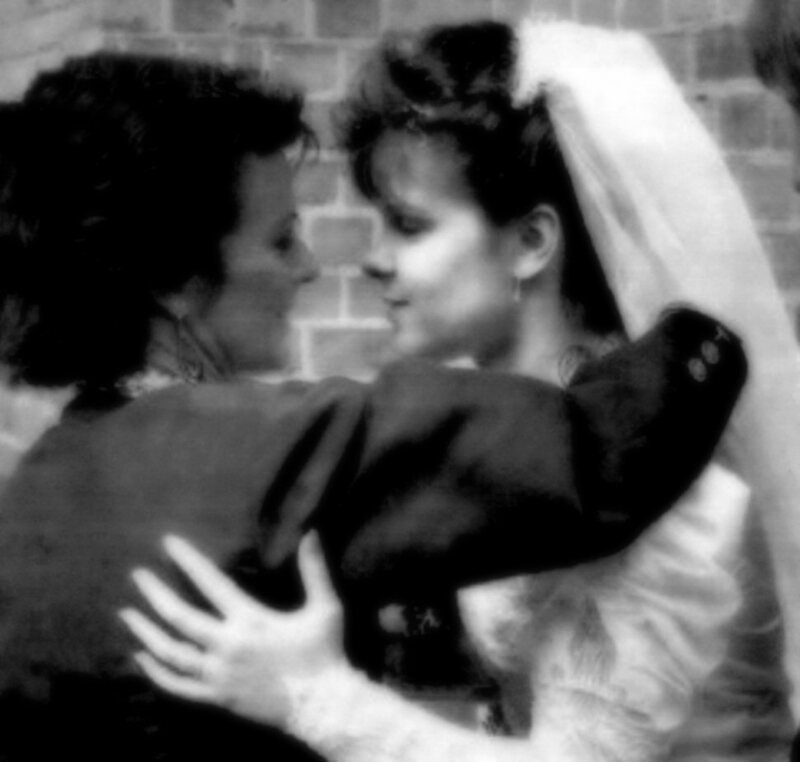 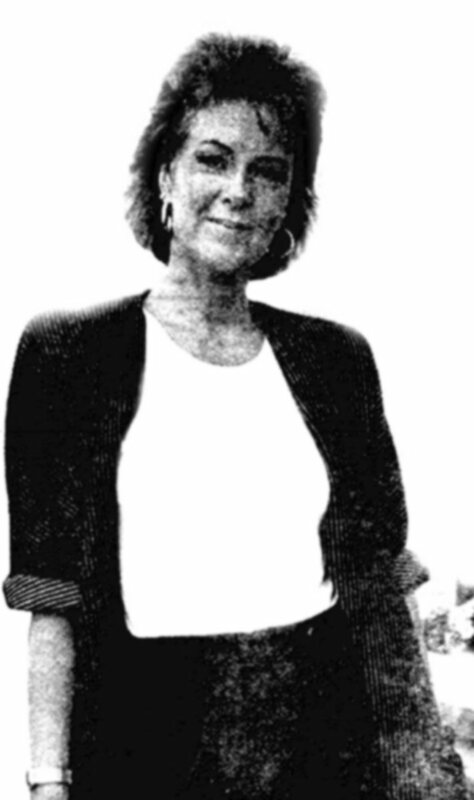 The Swedish TV journalist Stina Dabrowski invited Frida to her TV special at the beginning of December 1990. It was one of the rare appearances of Frida on Swedish TV at that time. 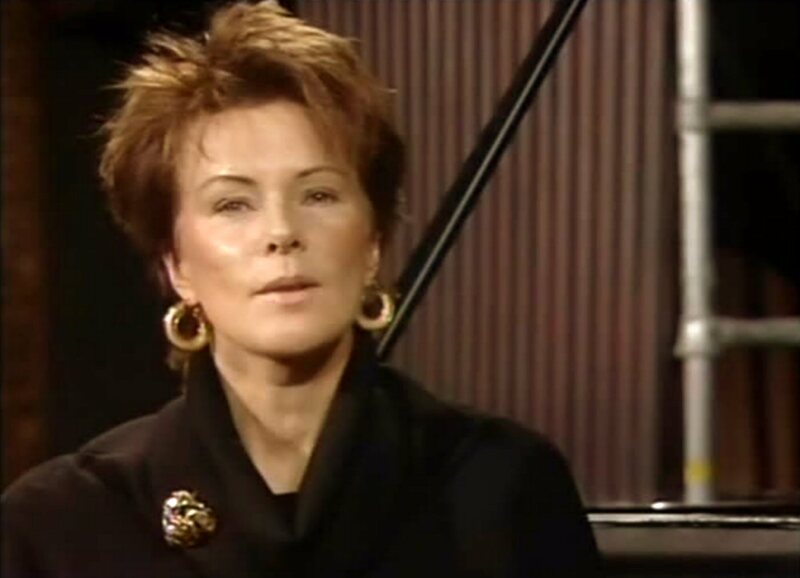 She was talking about her environmental engagement and she even answered some private questions. 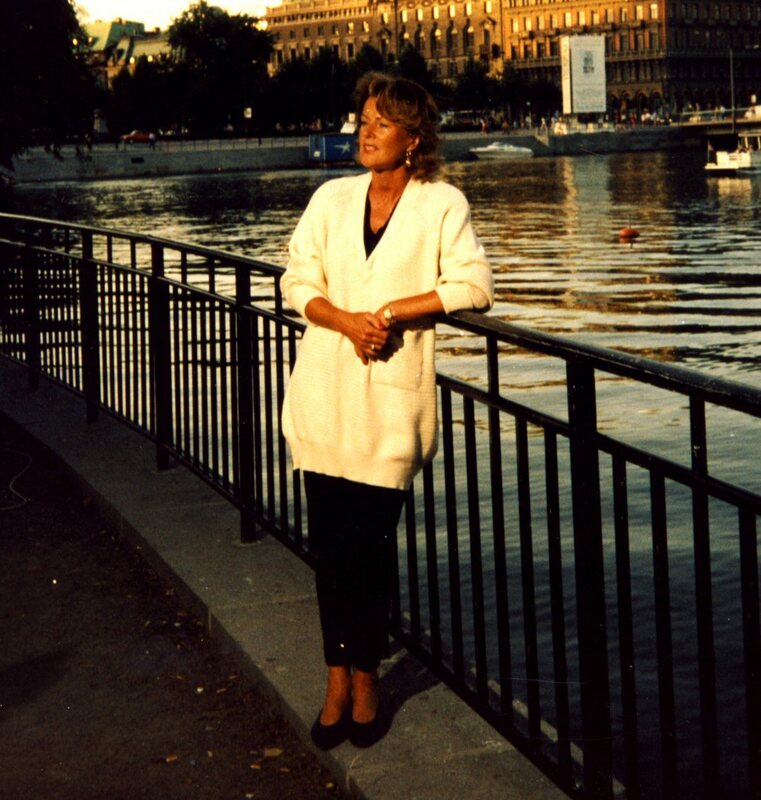 She did not want to speak about her singing career and nobody thought at that point that she would ever make a musical comeback 1,5 year later on stage in Stockholm and 5,5 years later with a new CD. 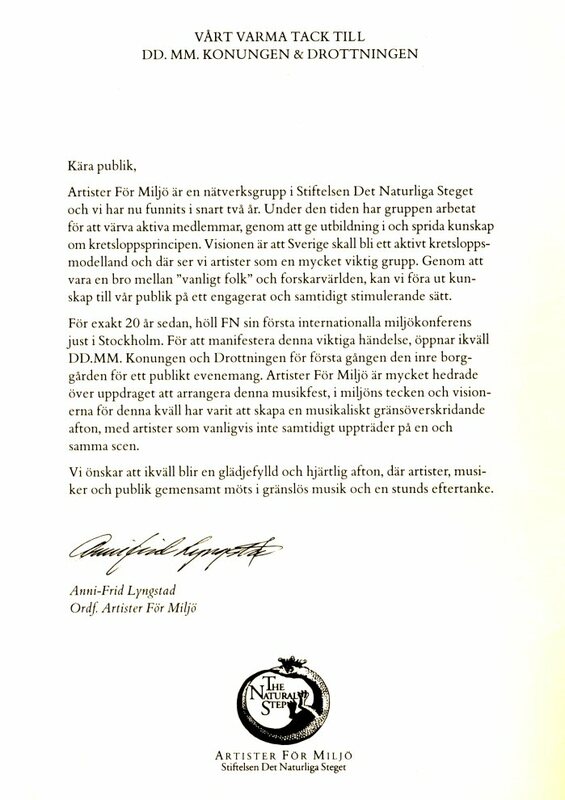 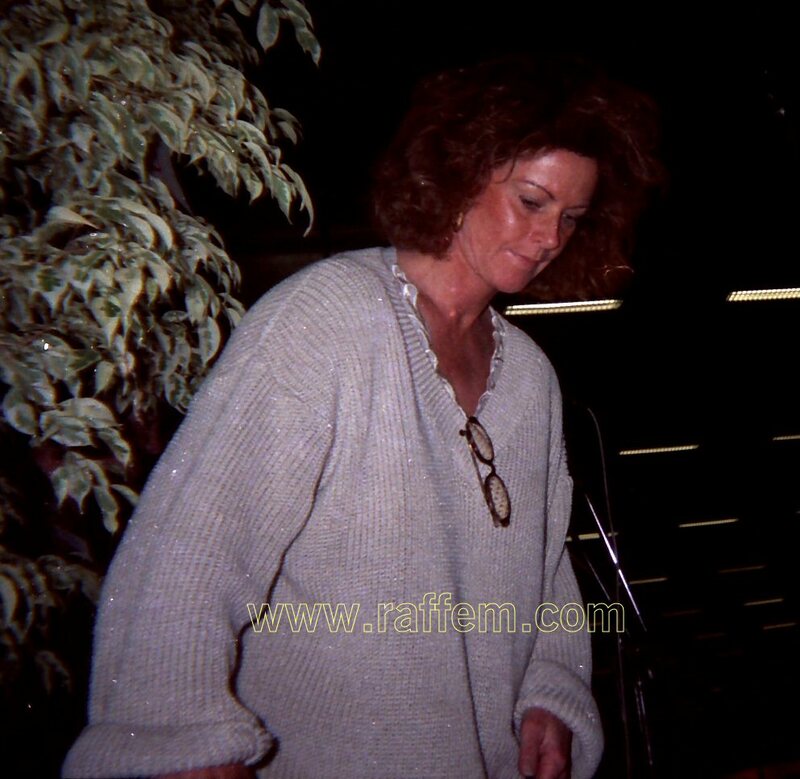 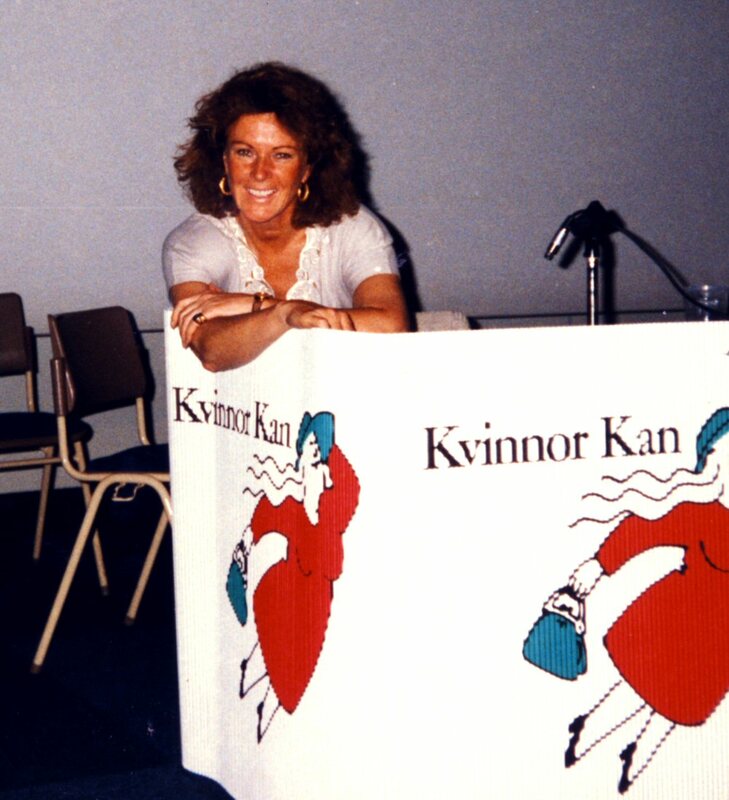 On May 14, 1992 Frida attended the fair "Kvinnor Kan" (Women can) in Älvsjö (Stockholm). 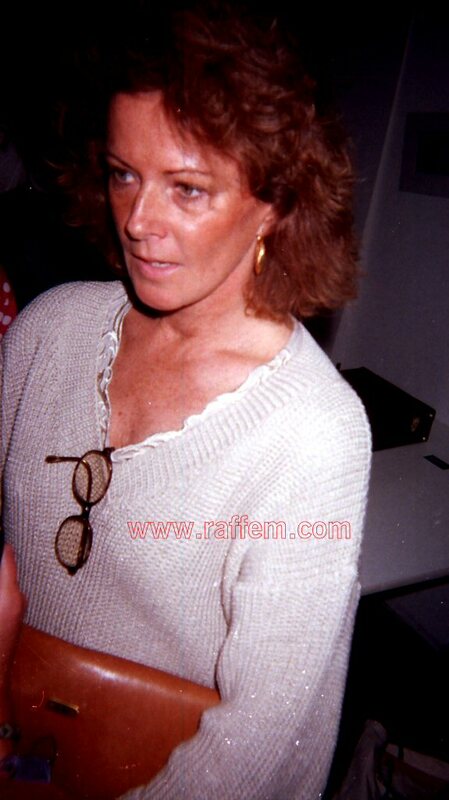 She was talking about environment. 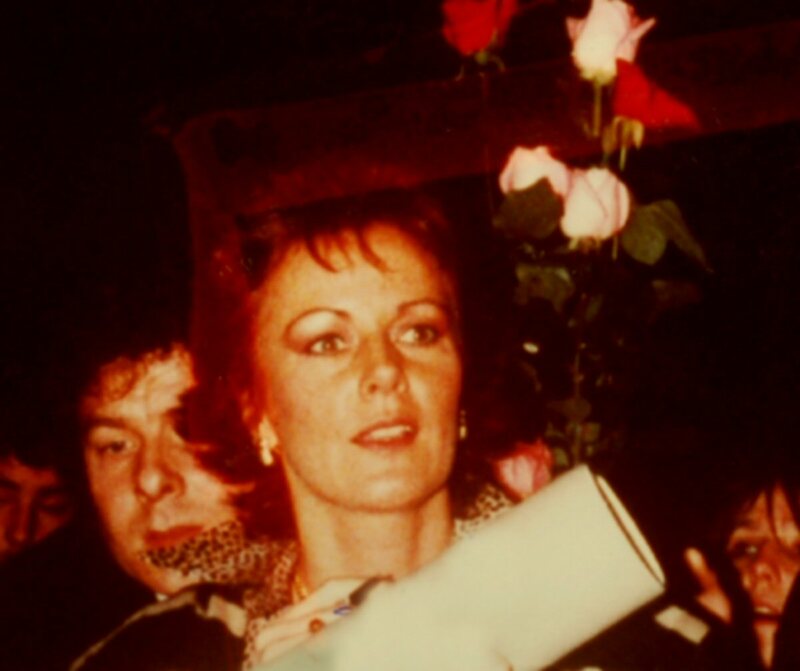 The presence of Frida on the fair was announced in newspapers (Dagens Nyheter & Svenska Dagbladet) some days before and that's why a lot of ABBA fans were there. 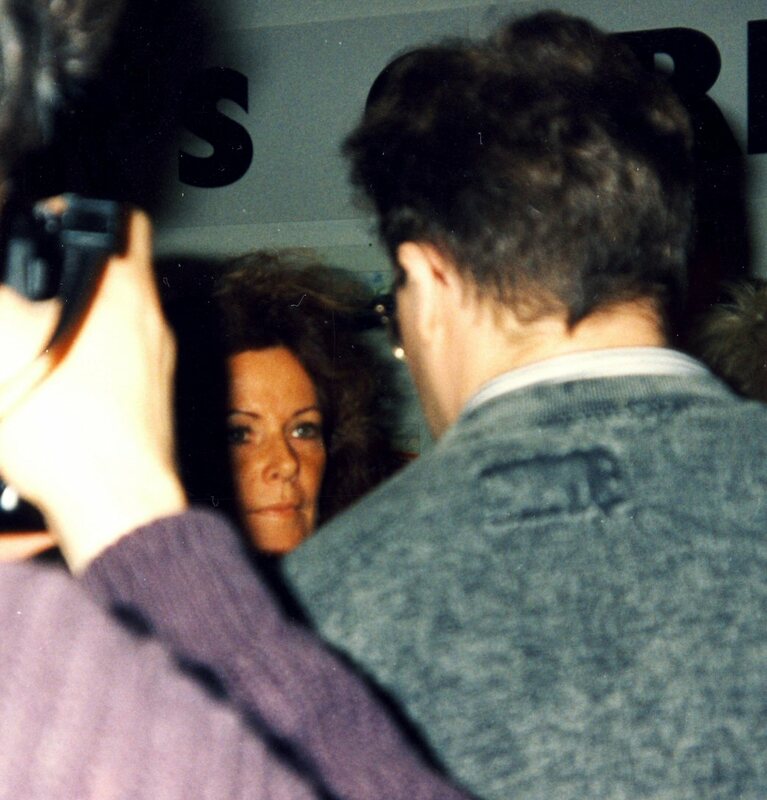 I managed to take pictures and ask one ABBA related question after the press conference at 1.40 pm. Frida gave some short interviews for local radio stations and answered some of our questions. 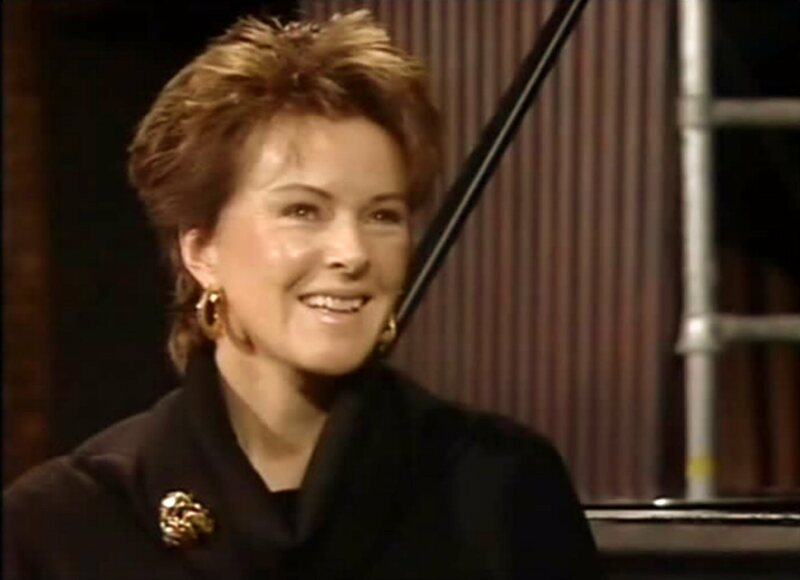 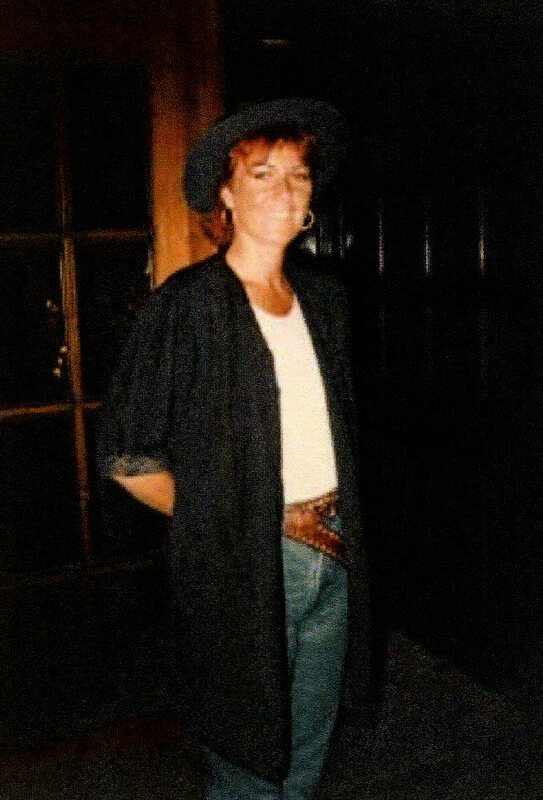 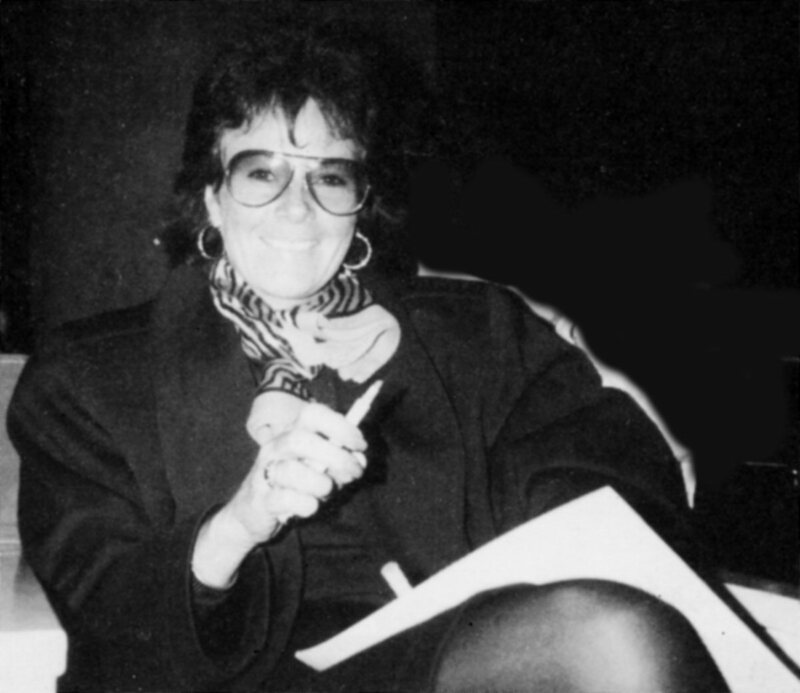 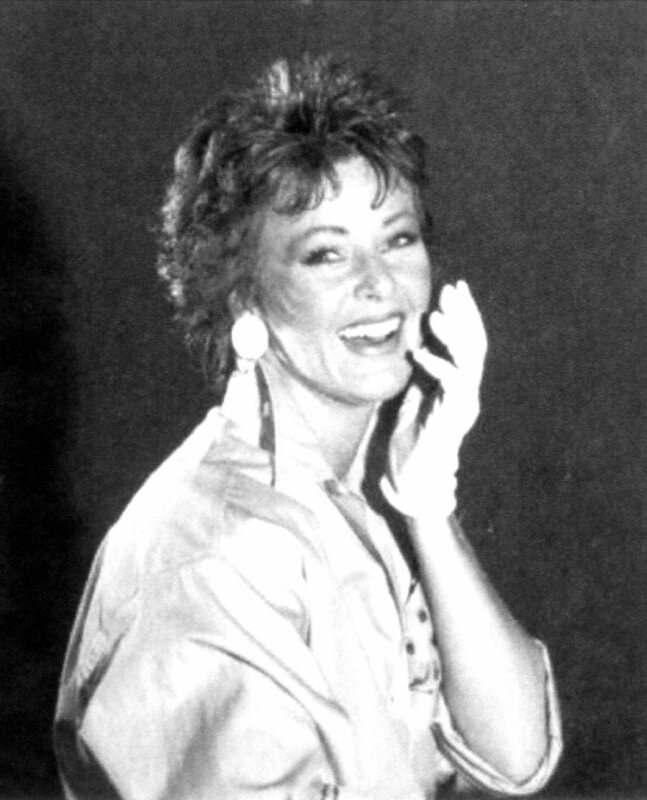 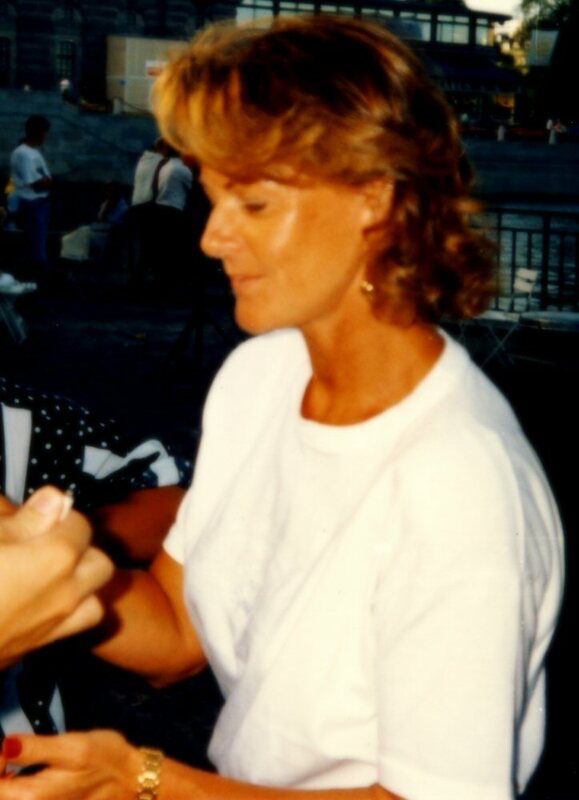 Frida was interviewed by Swedish newspapers and magazines between May and August in connection to the forthcoming gala show on the Stockholm castle in August 1992. 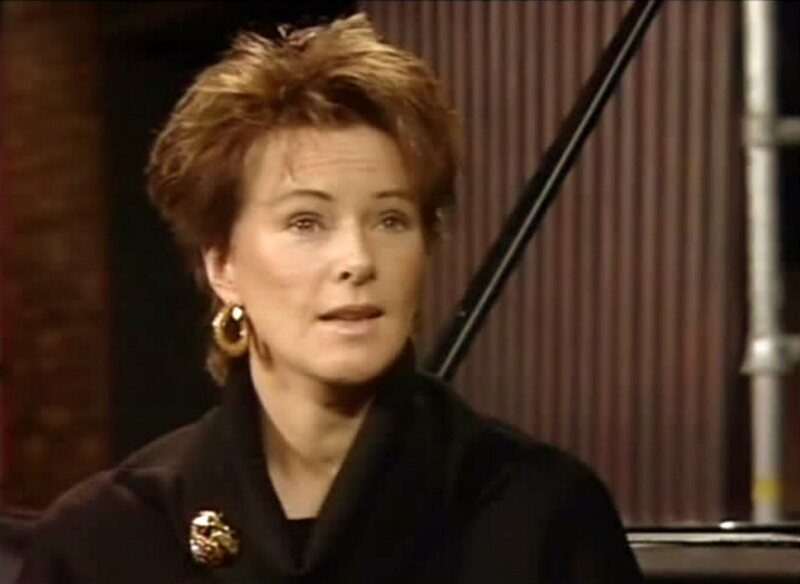 A couple of days before the gala "Artister för miljö" Frida appeared on Swedish TV where she was interviewed by Sissy Elfwing. 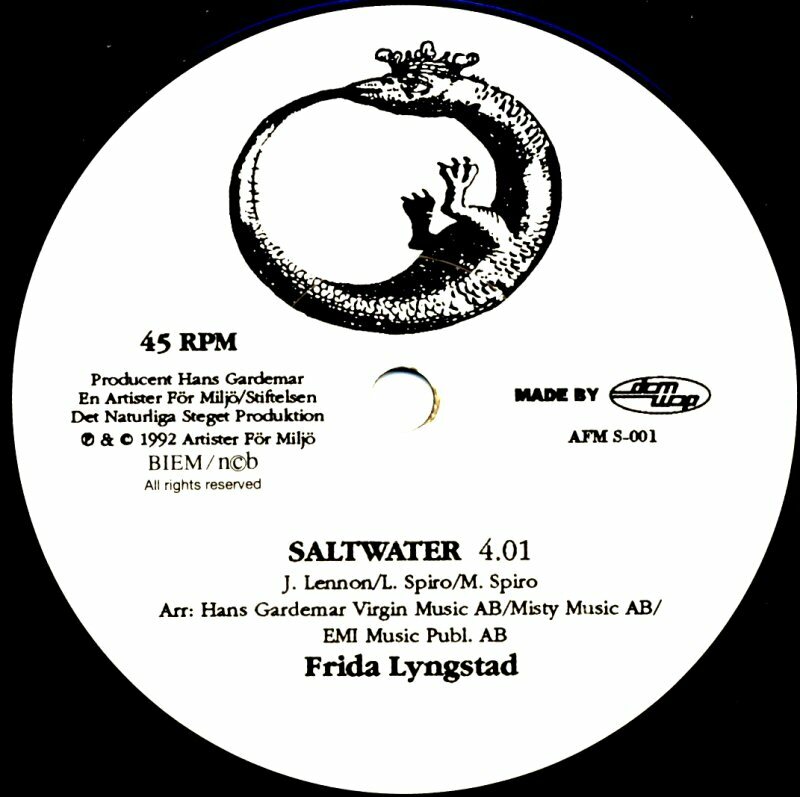 Frida performed her new song "Saltwater". 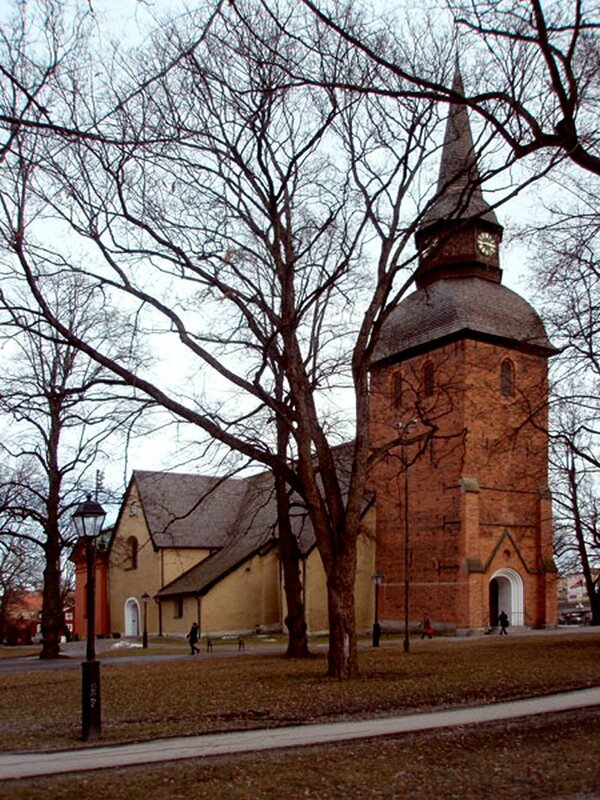 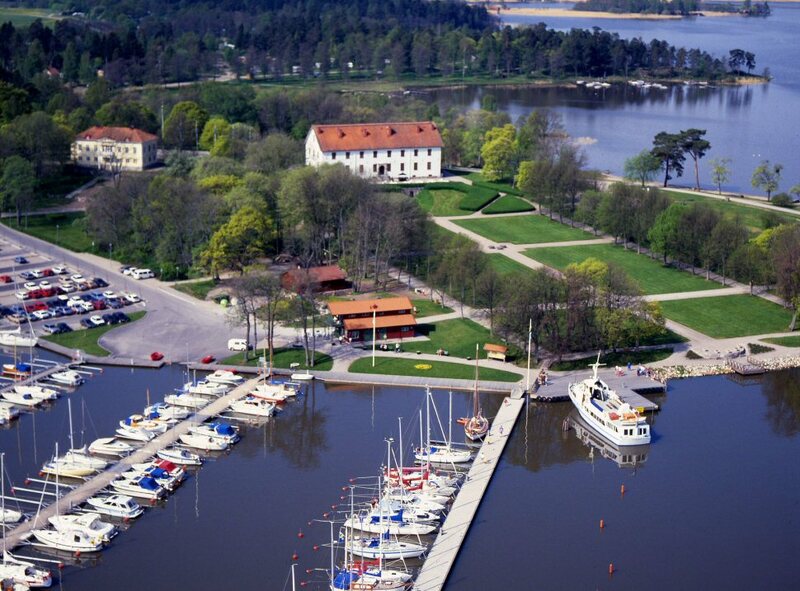 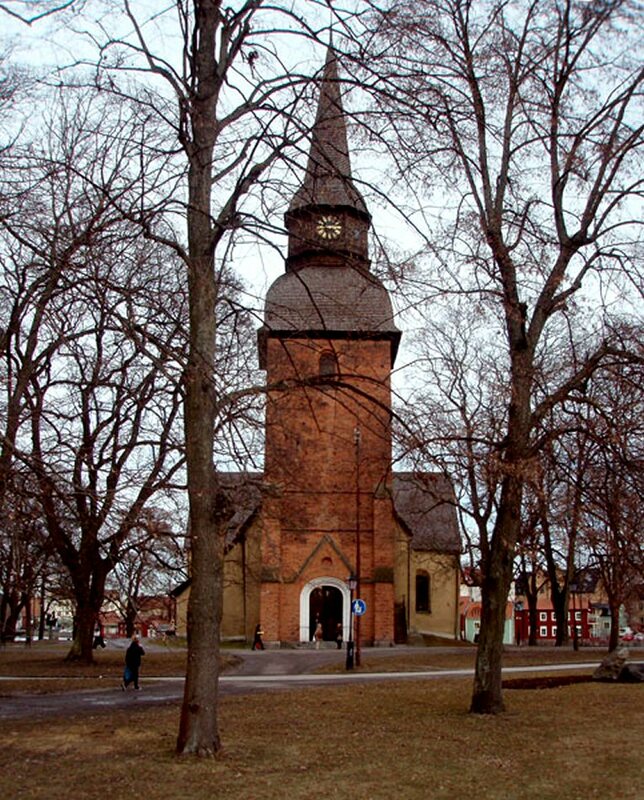 The programme was recorded on the island Helgeandsholmen outside the Museum of Medieval Stockholm. 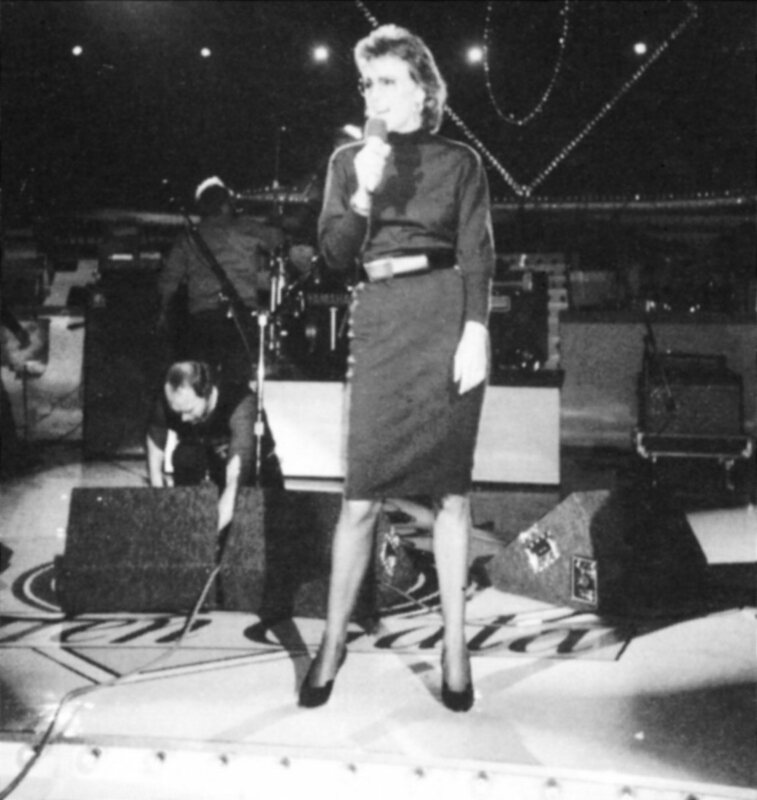 After 5 years of silence as a singer Frida was back on stage on August 14, 1992. 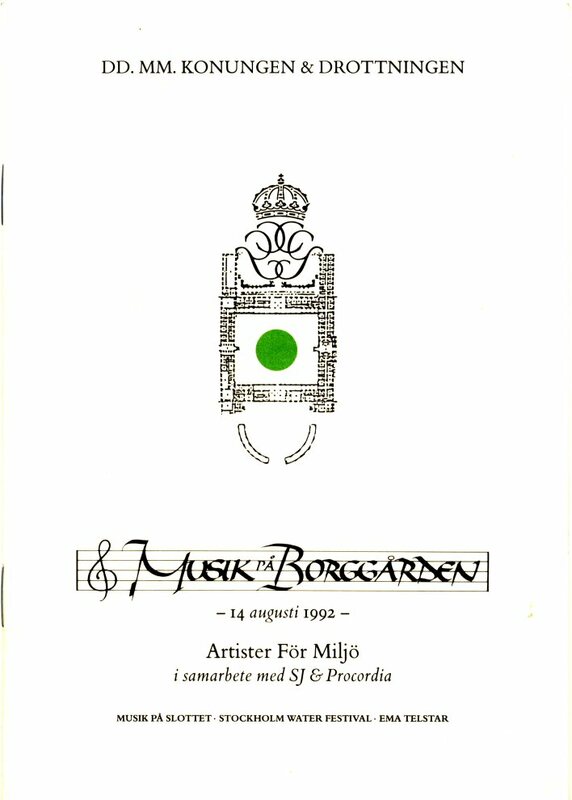 She was one of the organizers of the gala "Artister för Miljö". 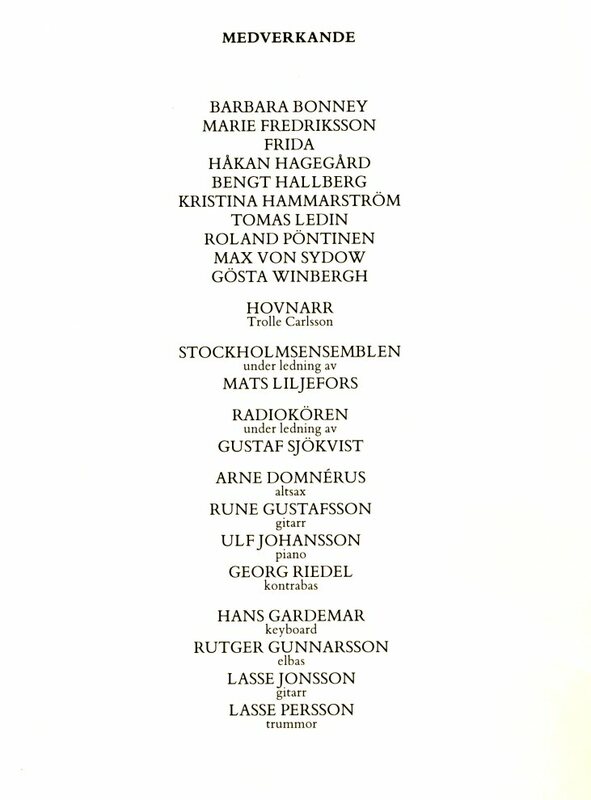 The most famous artists were invited to the gala that was held on the Stockholm castle. 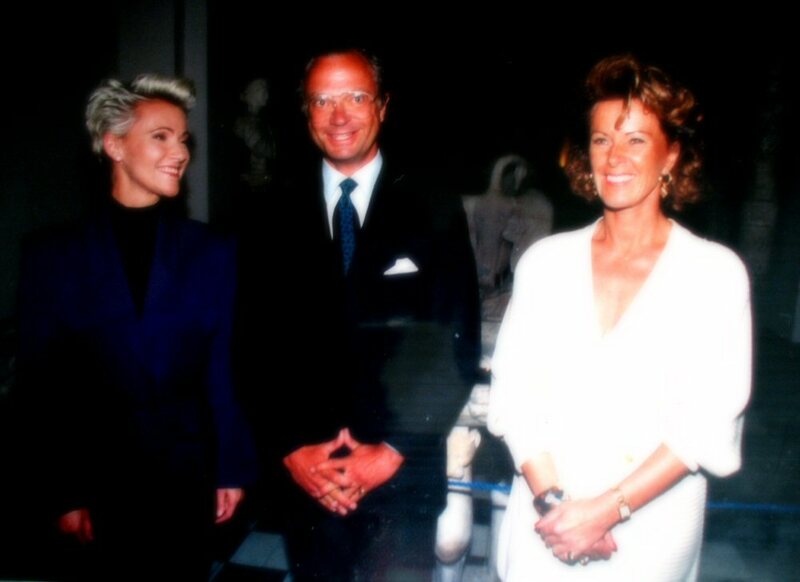 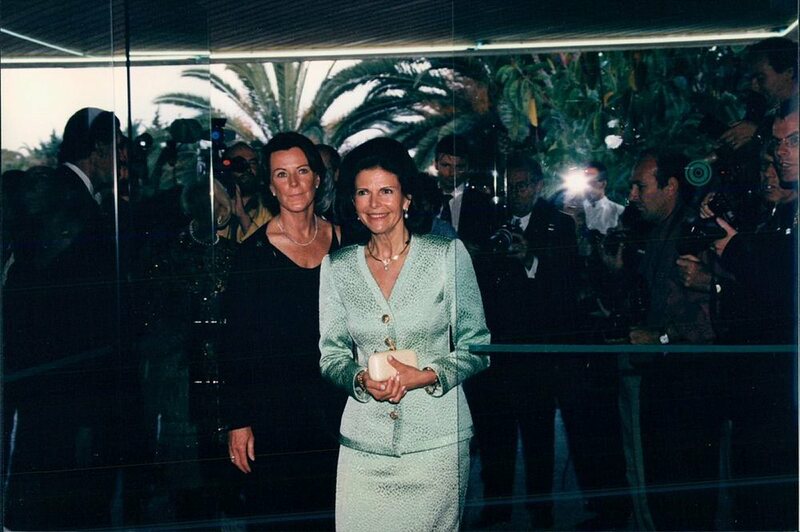 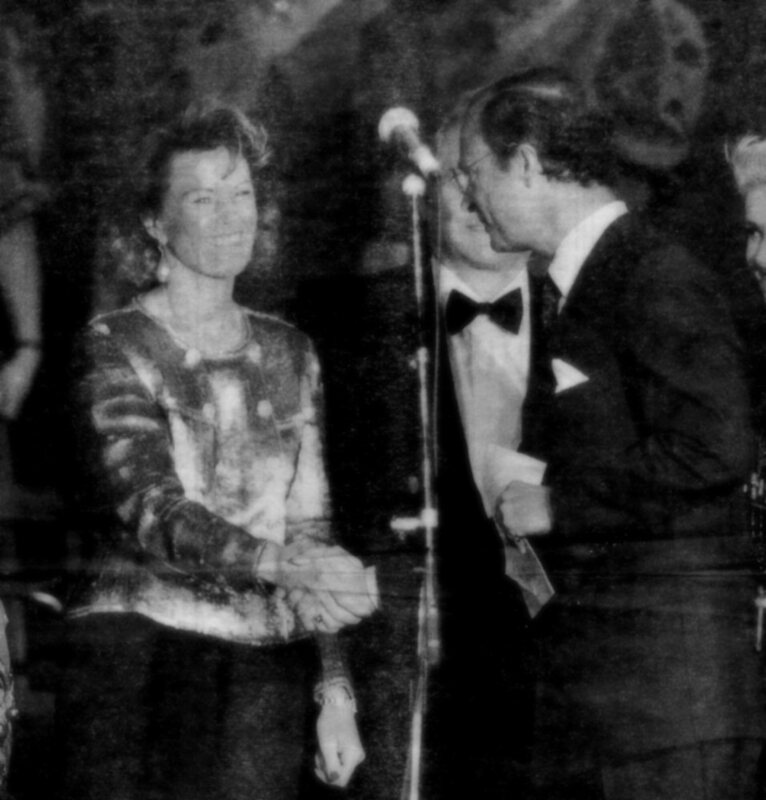 The King and the Queen of Sweden were special guests that evening. 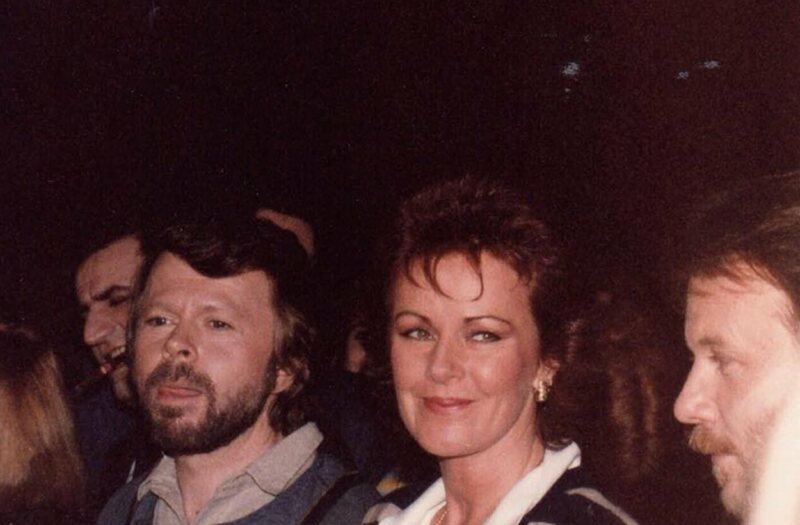 Lots of ABBA fans arrived from all over the world to see Frida performing live again. 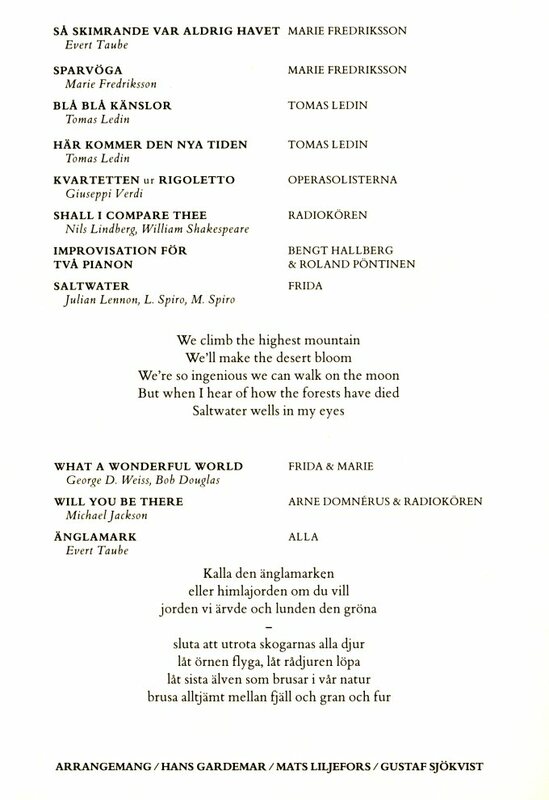 Frida sang "Saltwater" (originally performed by Julian Lennon), "What a Wonderful World" together with Marie Fredriksson of Roxette and "Änglamark" an old Swedish classic song together with all artists performing during this evening. 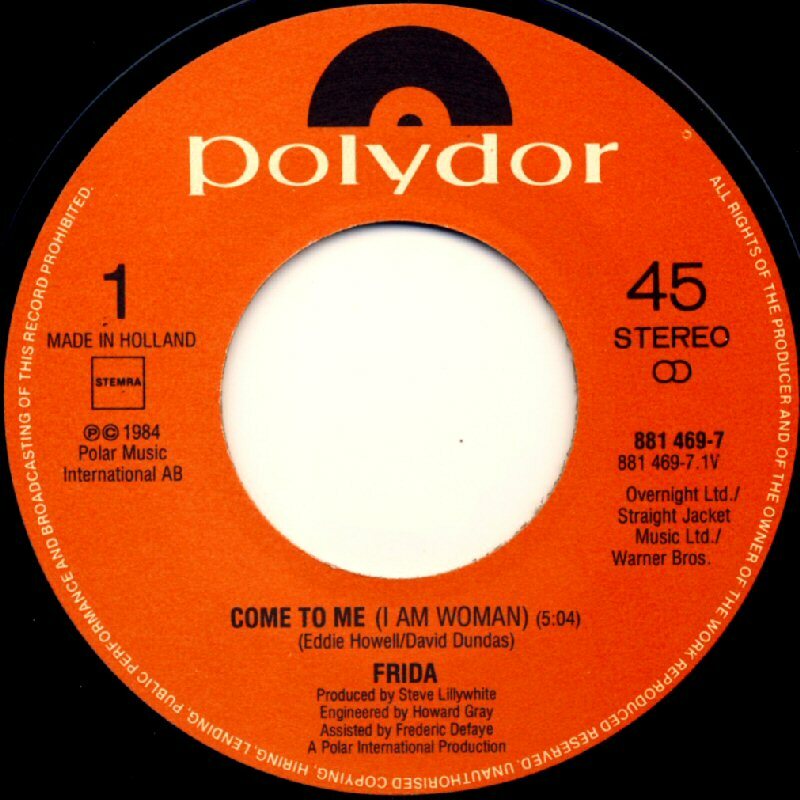 Both songs performed by Frida during the concert were released on a new single/CD-single. 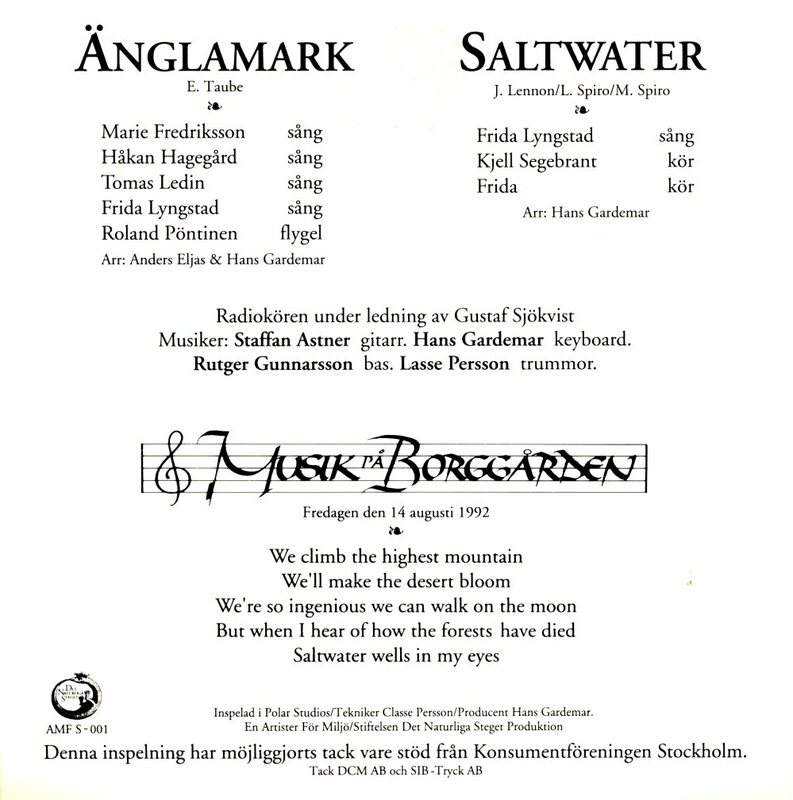 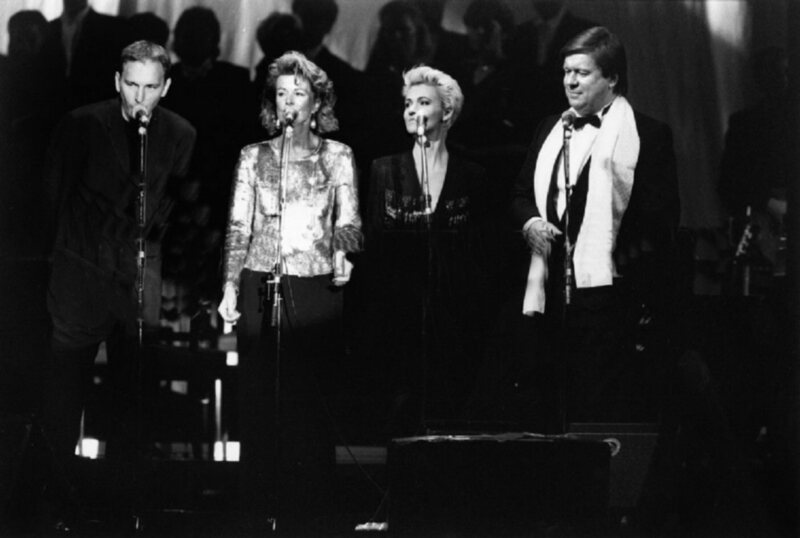 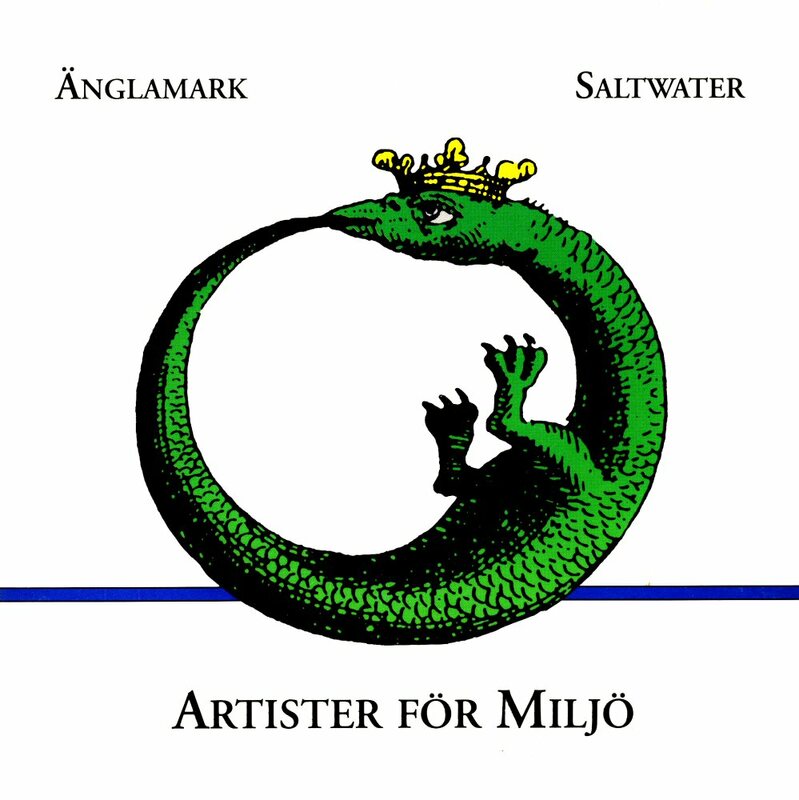 It contained "Änglamark" performed by Frida, Marie, Tomas Ledin and Håkan Hagegård and "Saltwater" by Frida. 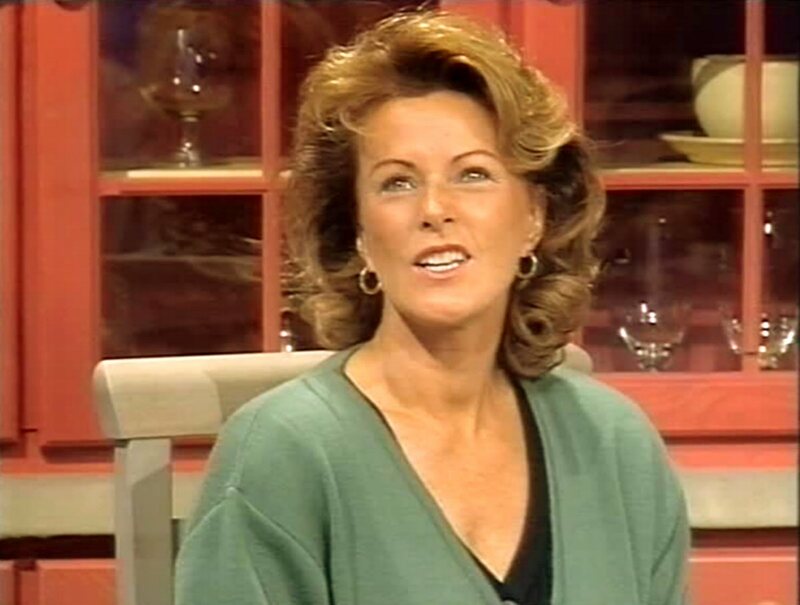 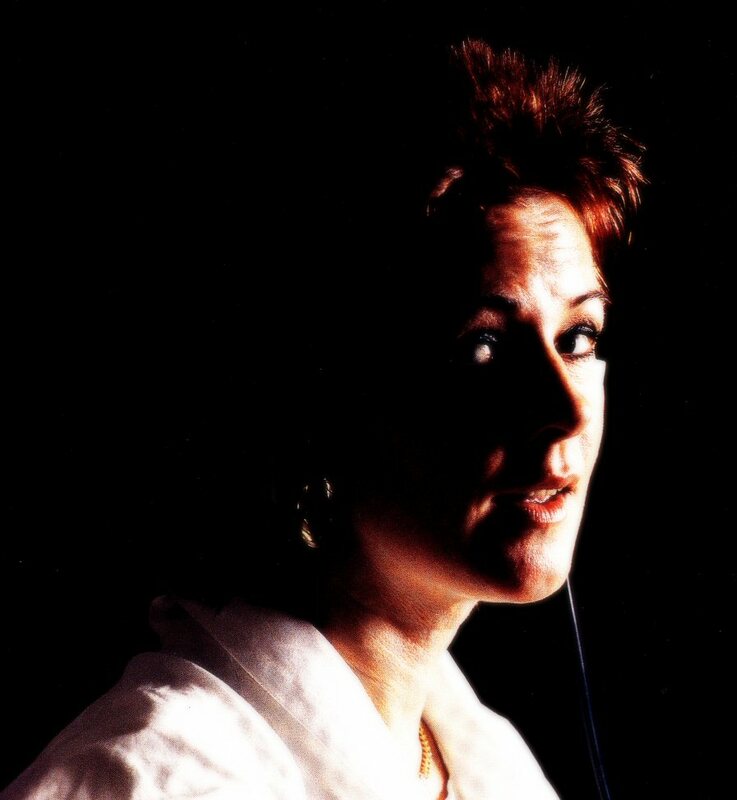 In August 1992 Frida made an exclusive appearance on Swedish TV in the matine show "Solsta Café". 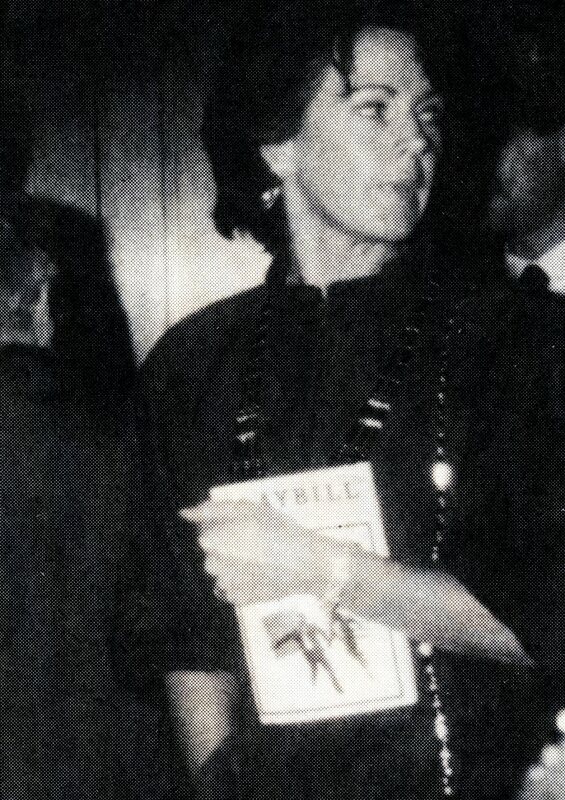 Frida was talking about her life and her interest in environment. 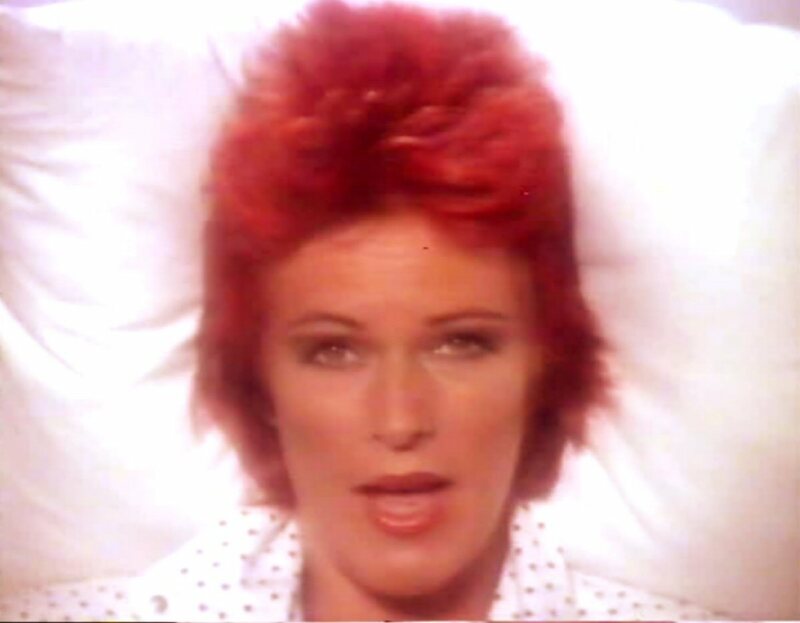 She even remembered the years before ABBA. 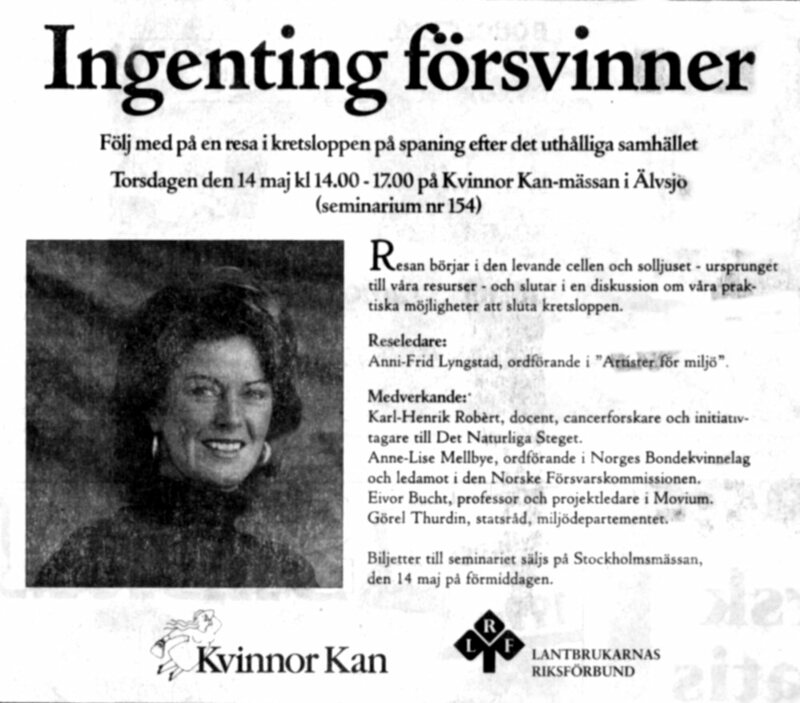 "Kvinna Nu" (Woman Now) in the summer of 1993 published a reportage about Frida and her engagement in environmental issues. 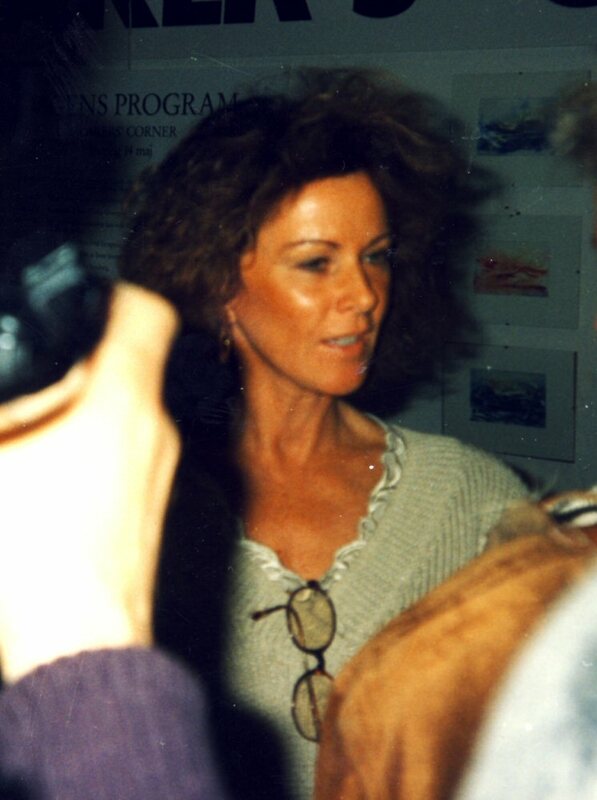 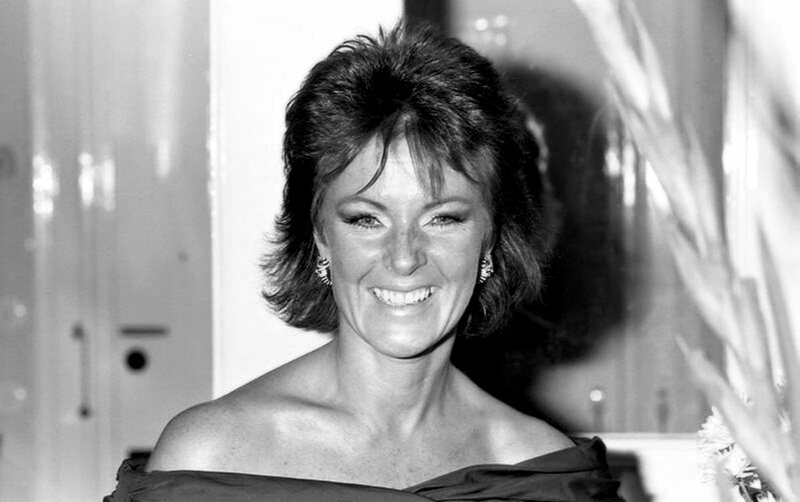 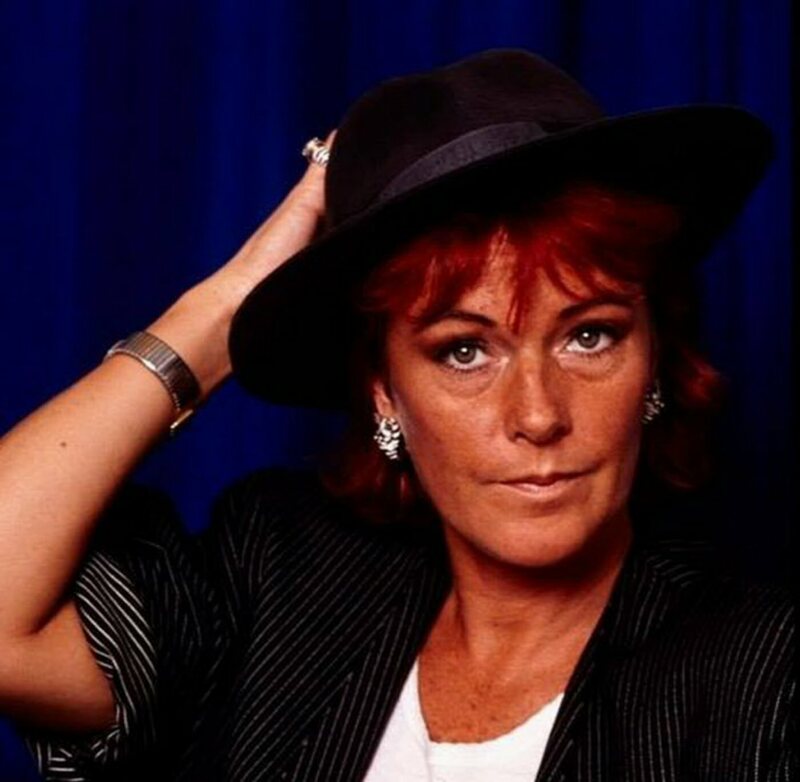 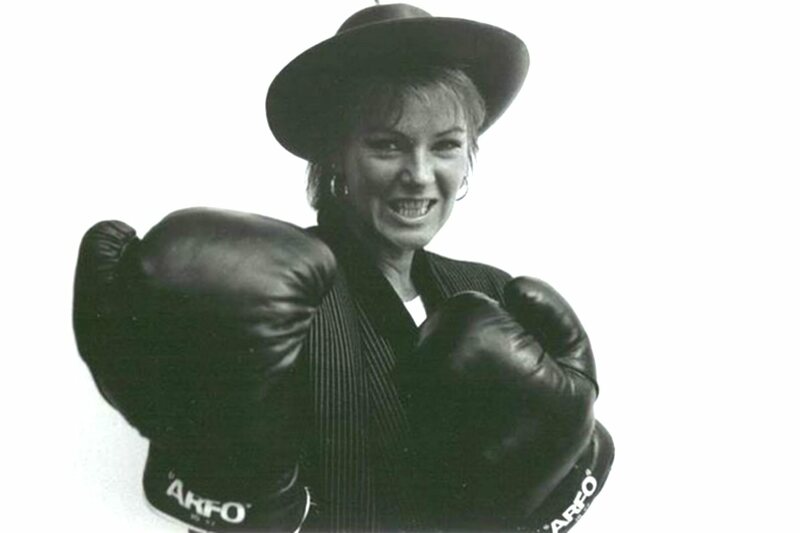 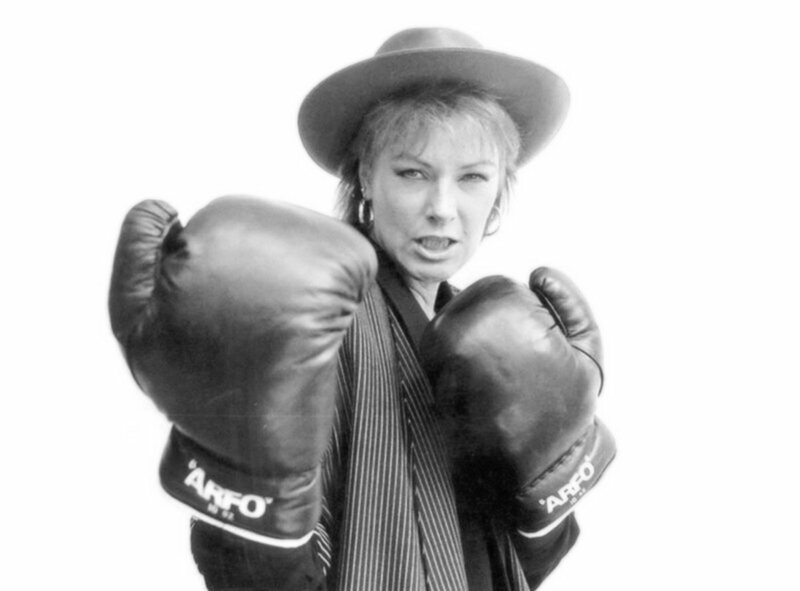 The former ABBA star was very active in her organization "Artister för miljö" (Artists for environment). 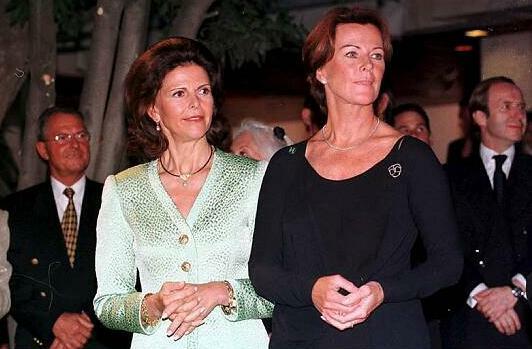 Everybody hoped that ABBA would do a comeback that day. 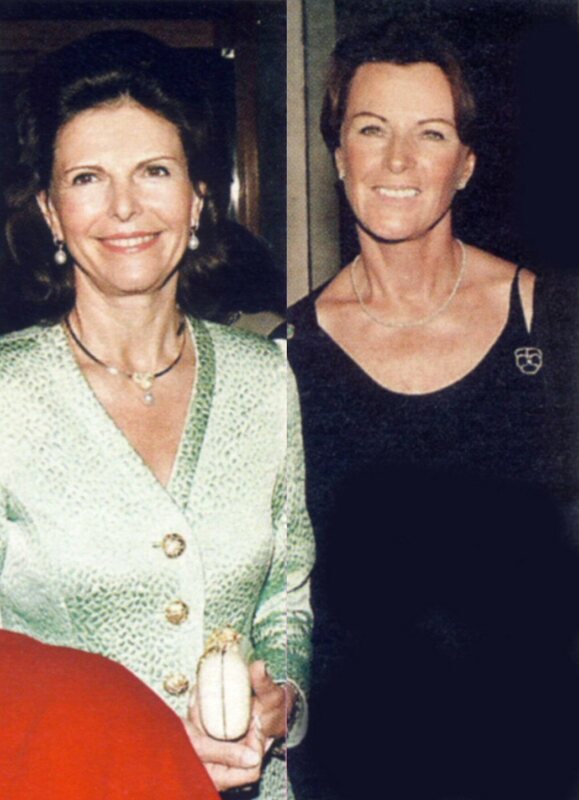 The Queen Silvia of Sweden turned 50 and she was celebrated by almost all biggest Swedish artists on the gala held at the Opera house in Stockholm. 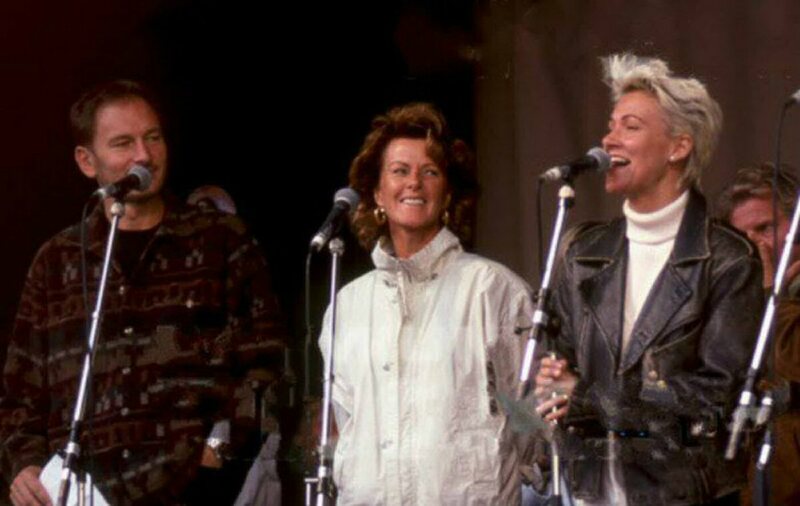 But ABBA did not appear on stage this evening. 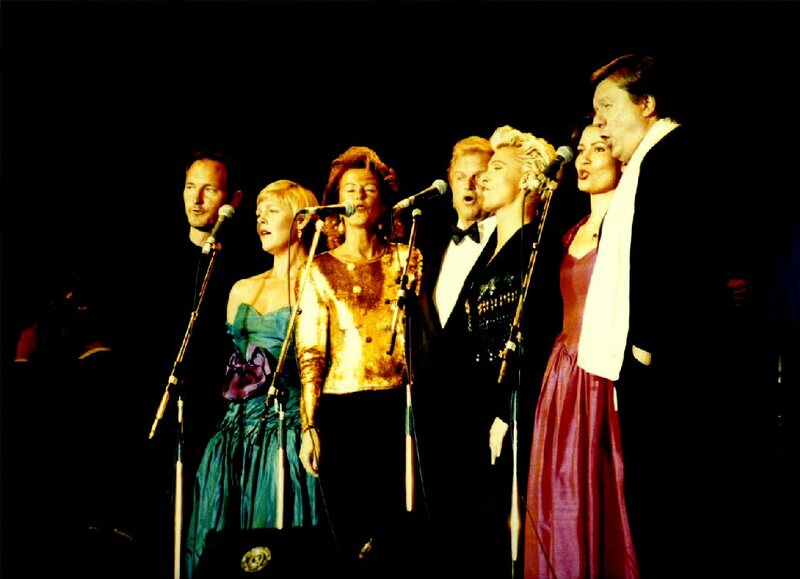 Instead the Queen and the public enjoyed the ABBA old hit "Dancing Queen" performed by Frida and The Real Group a capella. 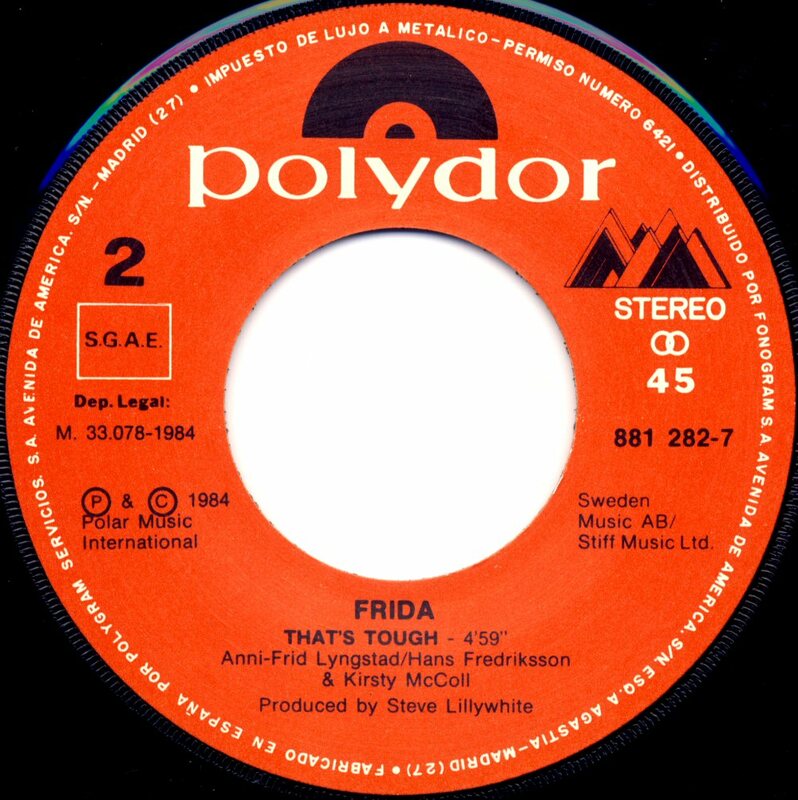 The song performed by Frida and The Real Group was released on the group's new album. 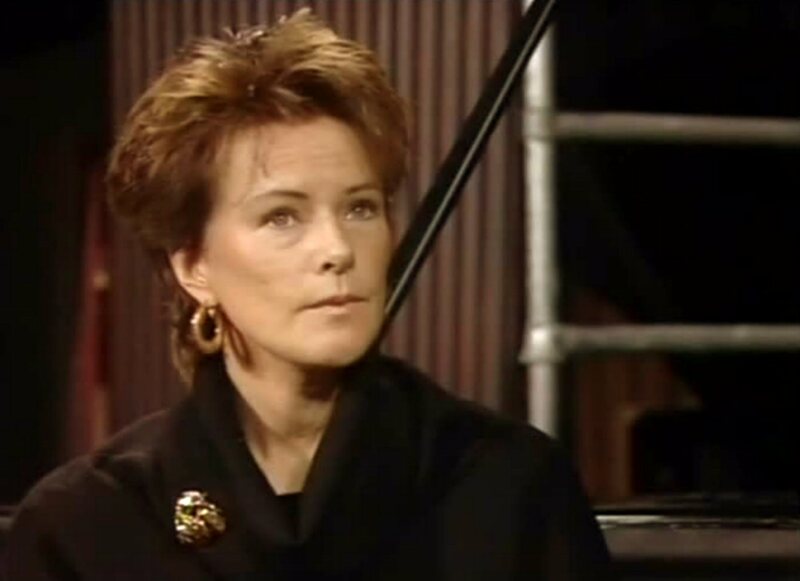 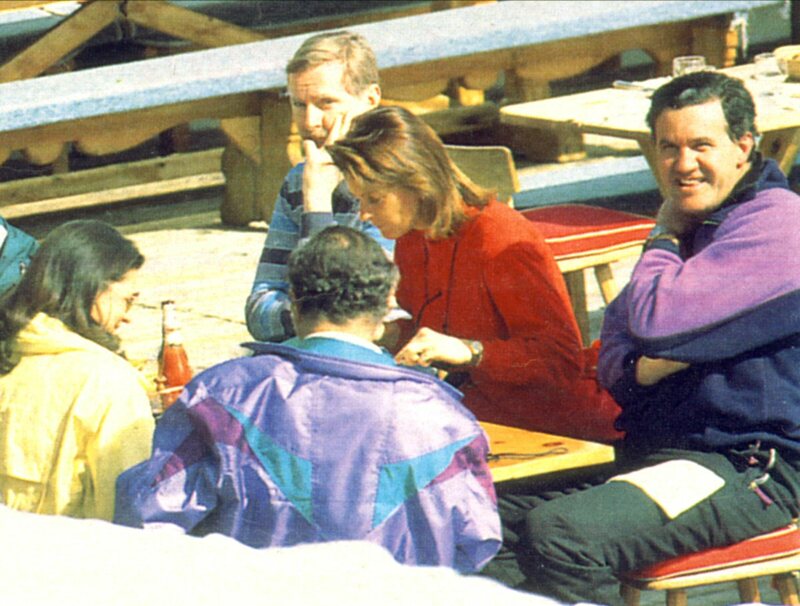 In 1994 Frida gave several interviews to Swedish press. 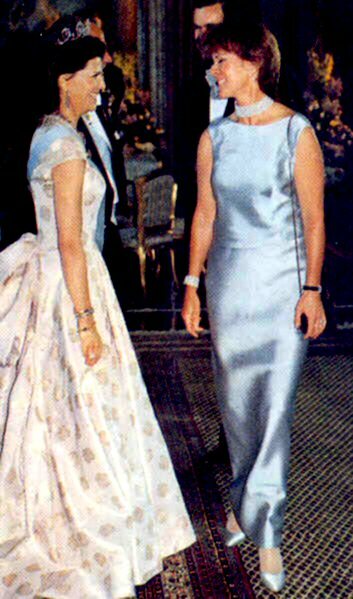 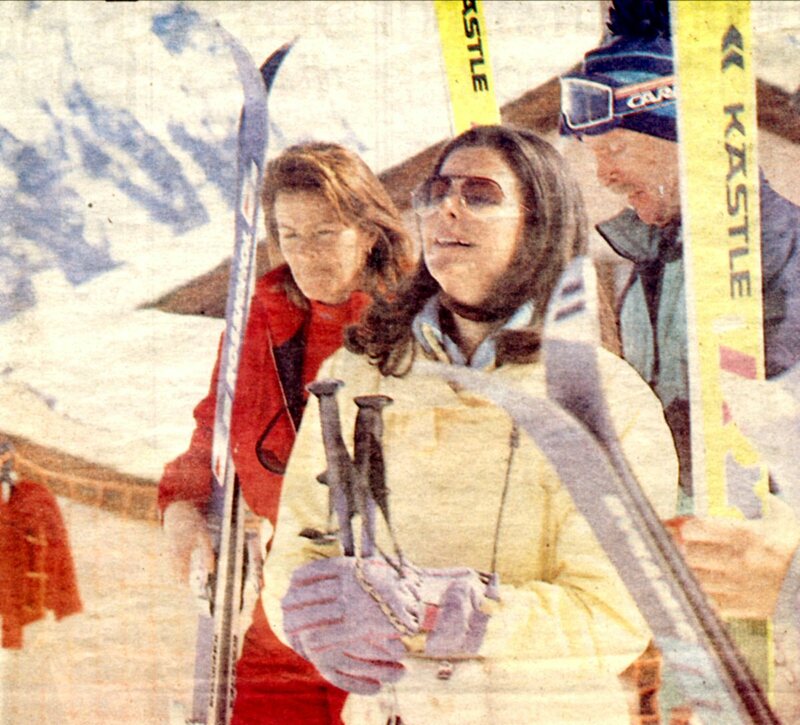 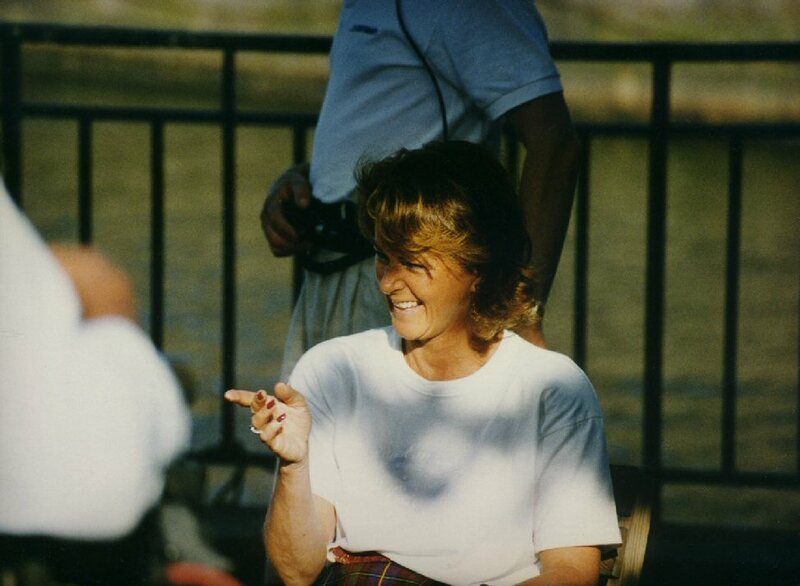 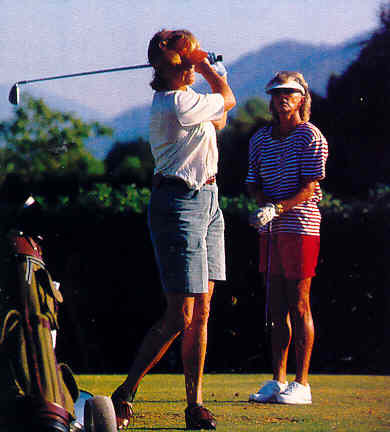 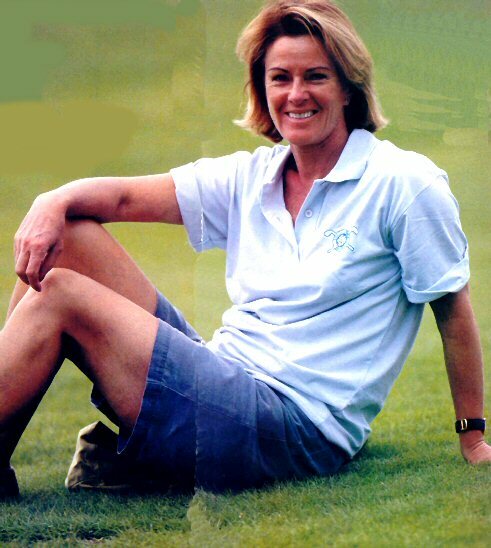 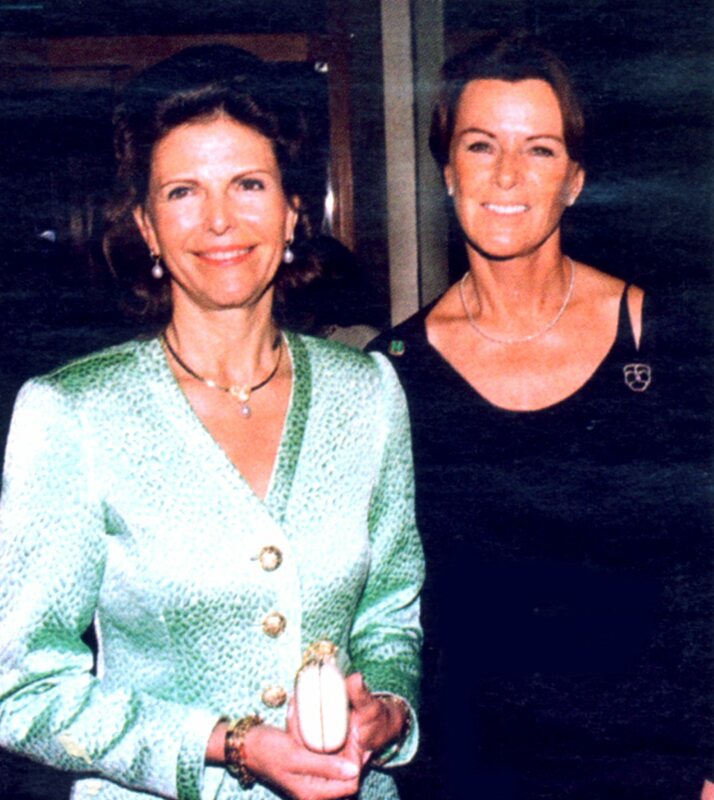 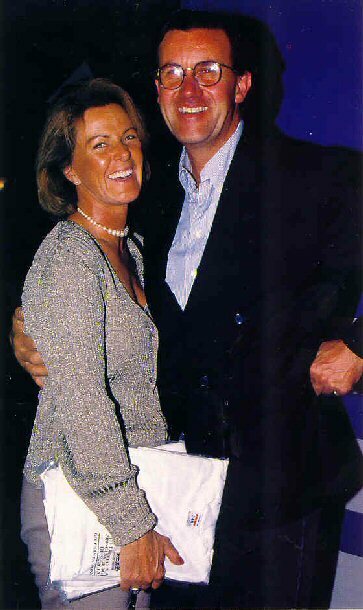 Happily married with Ruzzo Reuss she enjoyed her new hobby - golf together with sister to the Swedish King Carl Gustaf - the princess Birgitta. 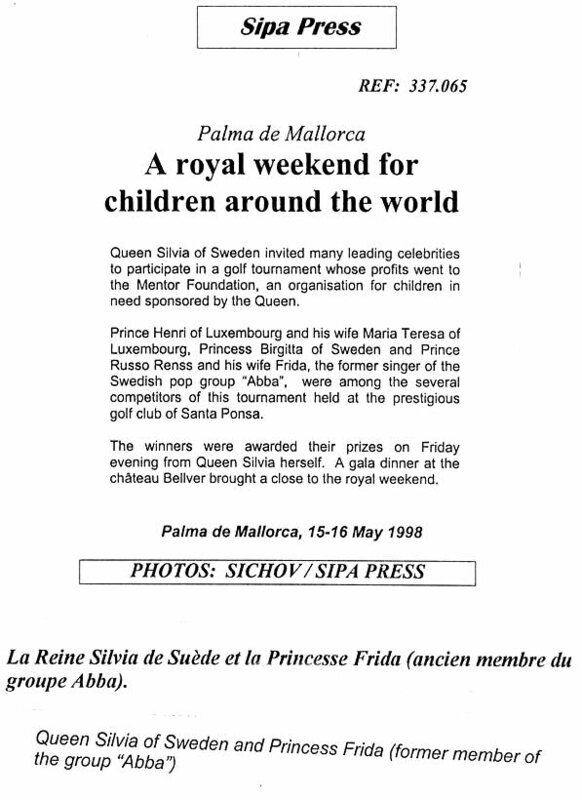 On May 15-16, 1998 the royal weekend for children around the world took place in Palma de Mallorca. 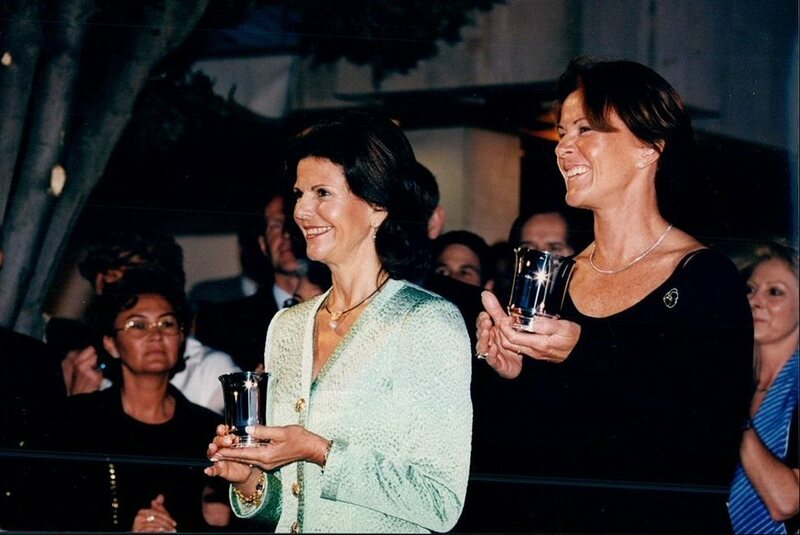 Queen Siklvia of Sweden invited many leading celebrities to participate in a golf tournament whose profits went to the Mentor Foundation, an organisation for children in need sponsored by the Queen. 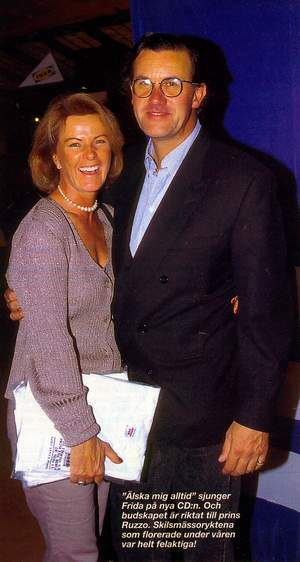 Prince Henri of Luxembourg and his wife Maria Teresa of Luxembourg, Princes Birgitta of Sweden and Prince Ruzzo Reuss and his wife Frida were among the several competitors of this tournament held at the prestigious golf club of Santa Ponsa. 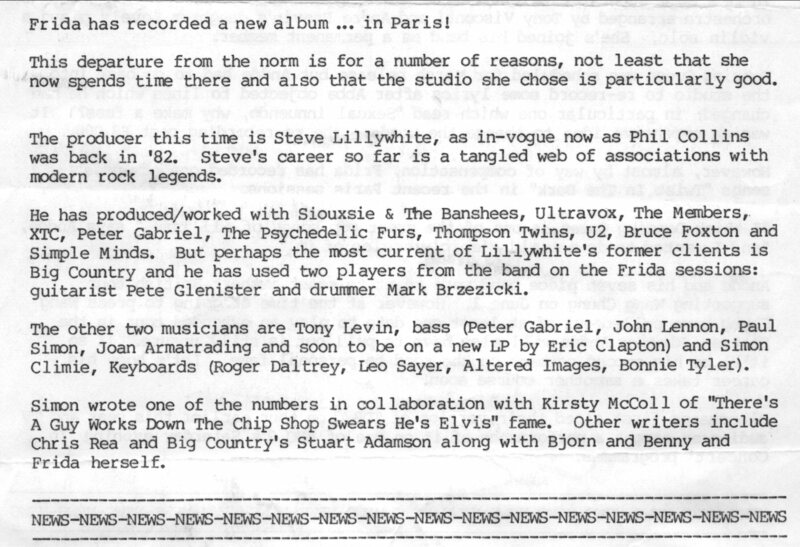 One more album was planned for release at the end of 1998 but it was never completed because of private reasons.